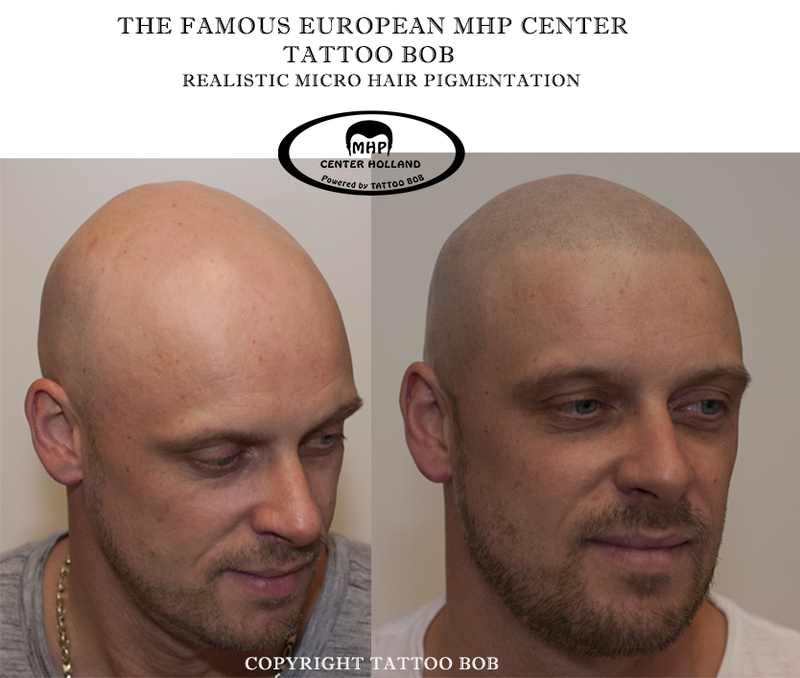 Besides for baldness, Micro Hair Pigmentation is also the solution for camouflaging scars resulting from a hair transplant. 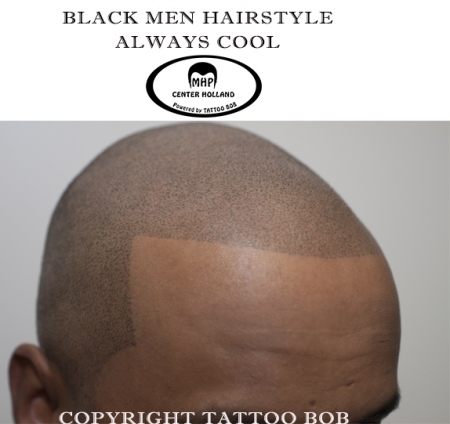 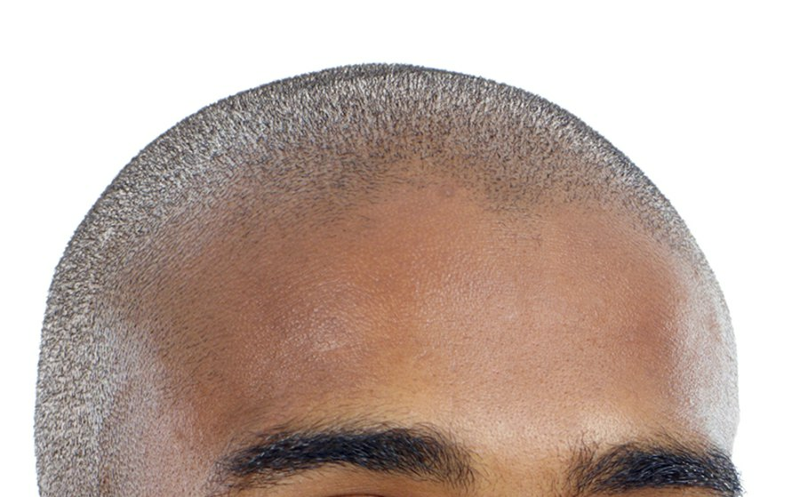 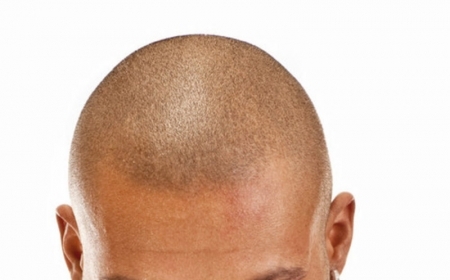 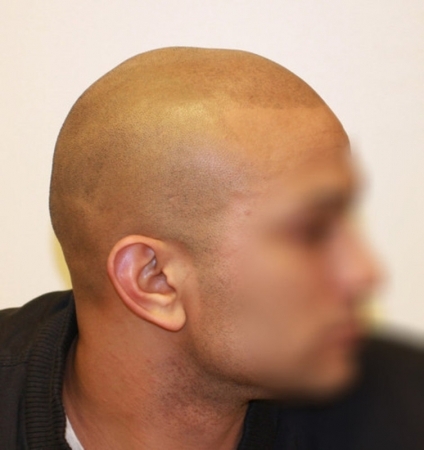 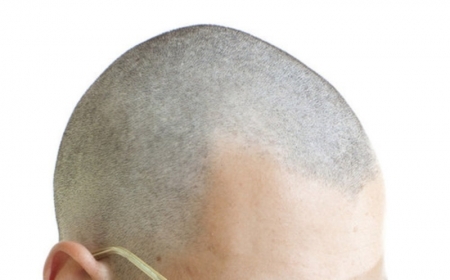 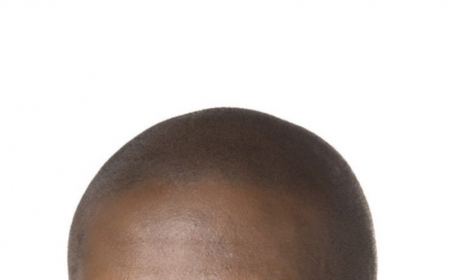 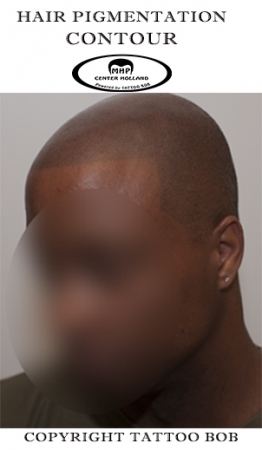 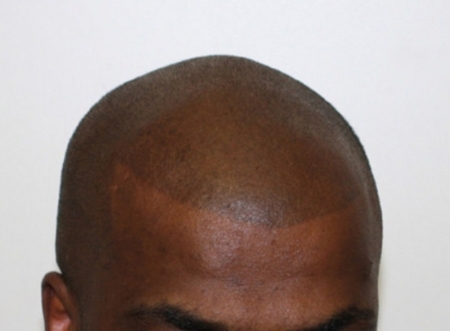 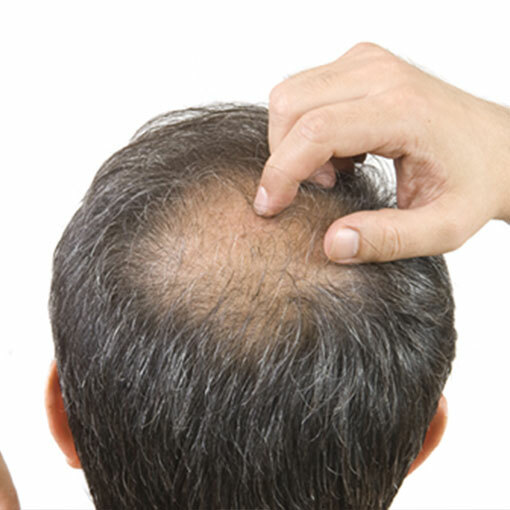 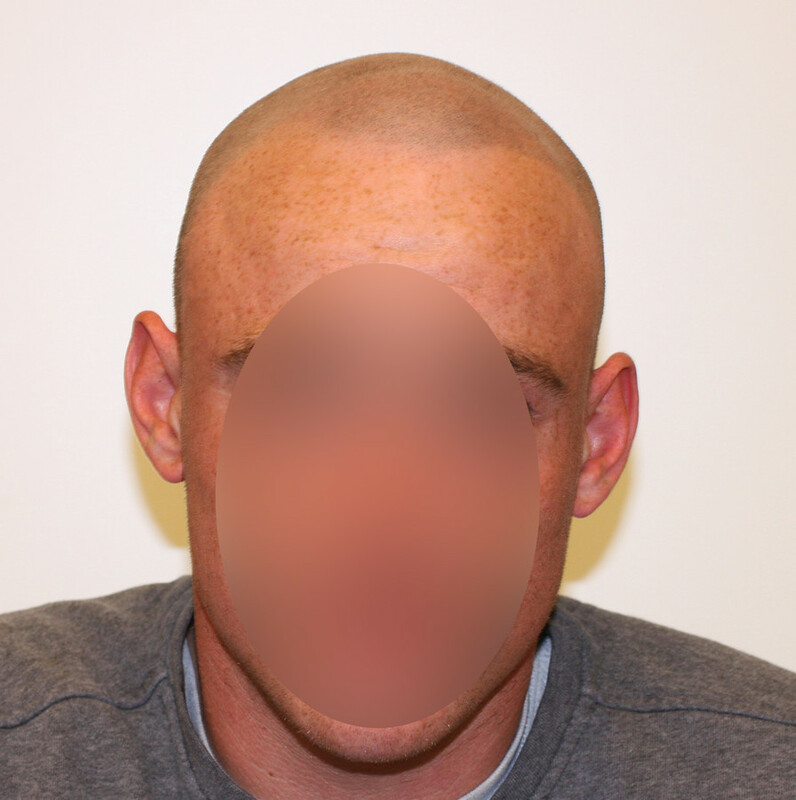 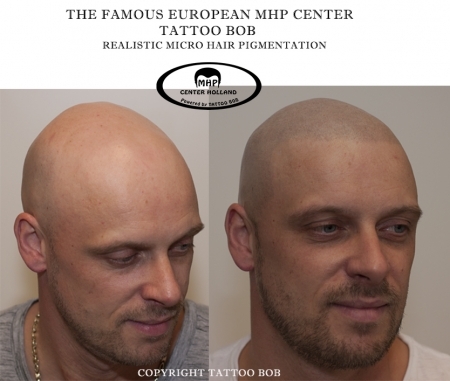 With Micro Hair Pigmentation stubbles are tattooed on the scalp. These stubbles are undistinguishable from real ones, provided they are tattooed by a real specialist. 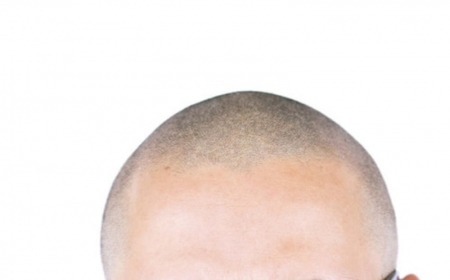 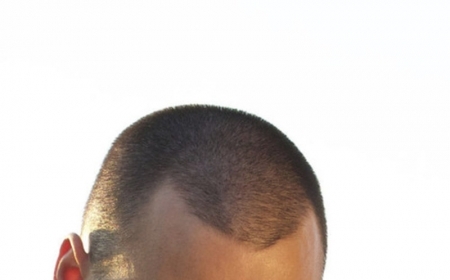 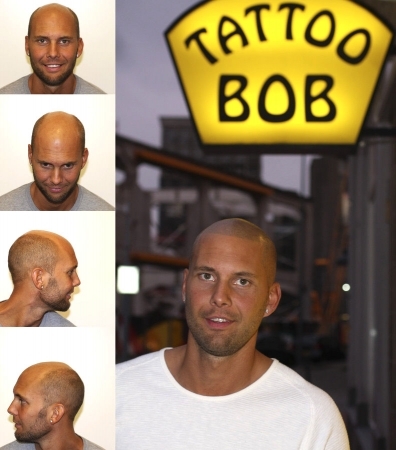 Because stubbles are tattooed on the (bare) scalp, this tattoo is also called the stubble tattoo. 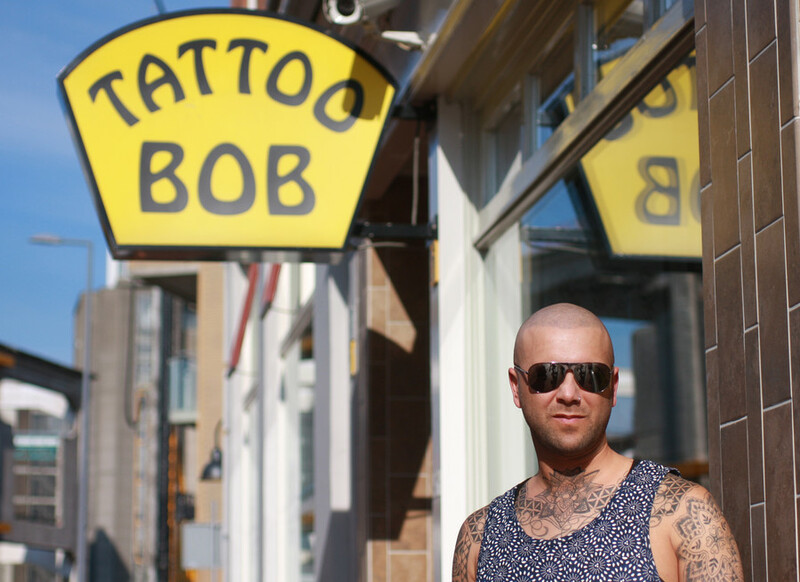 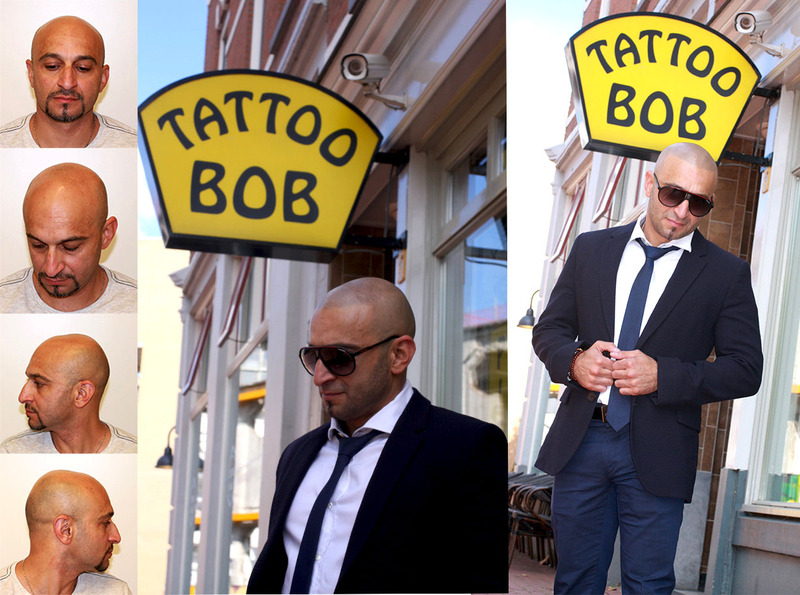 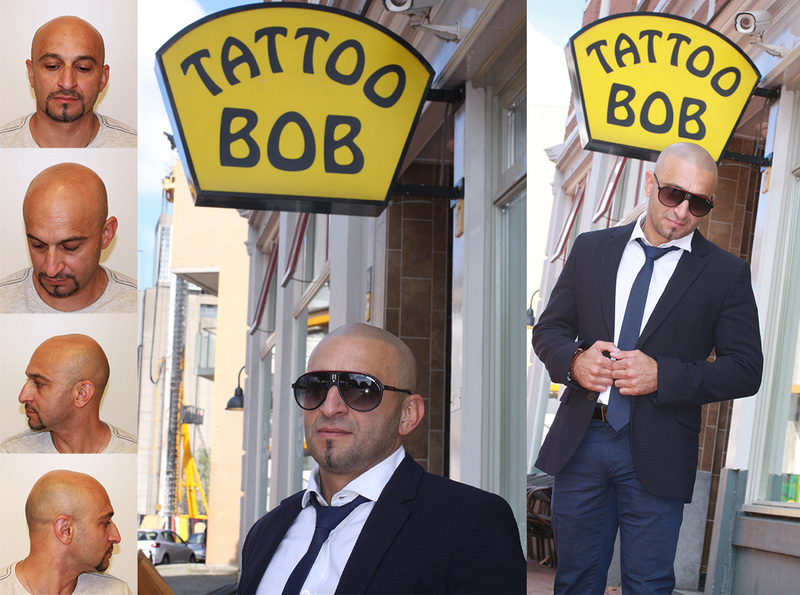 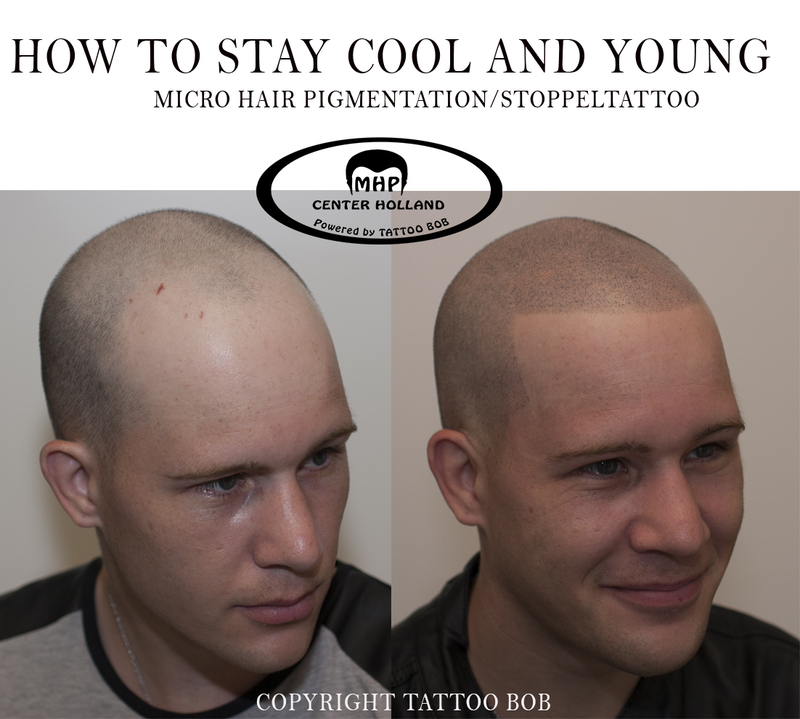 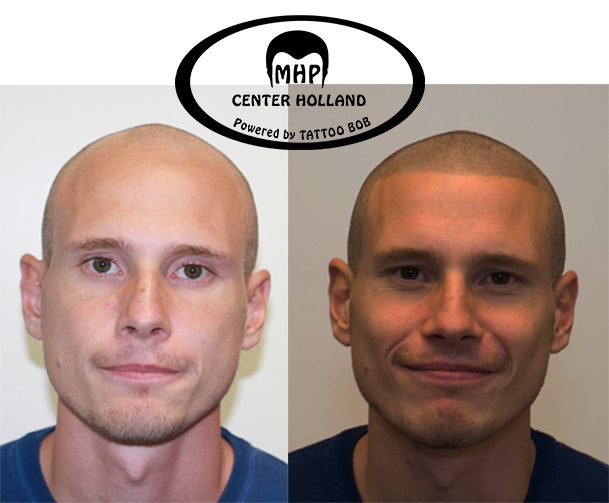 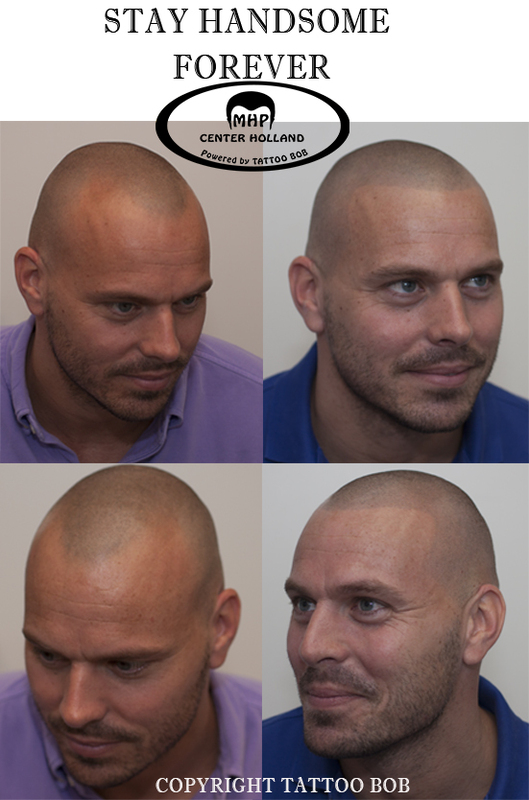 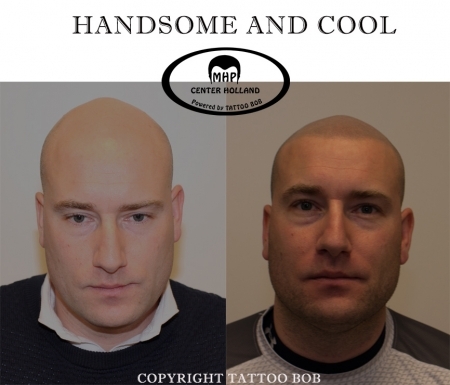 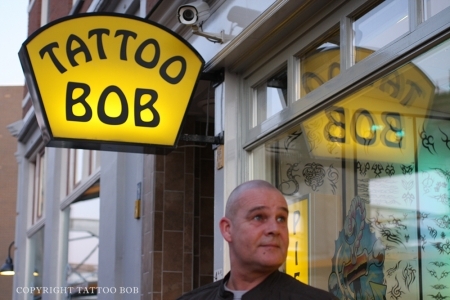 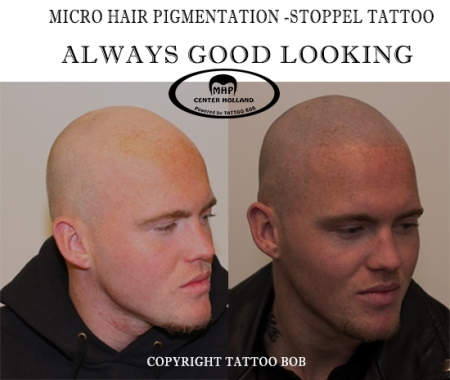 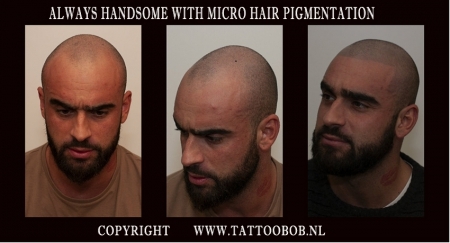 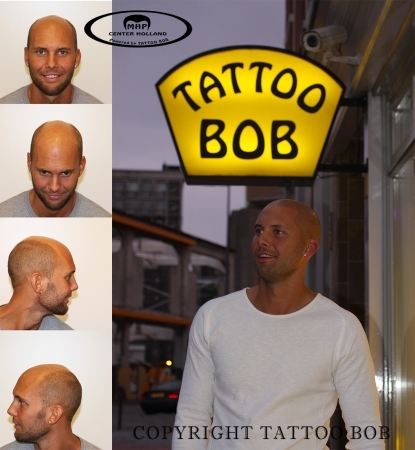 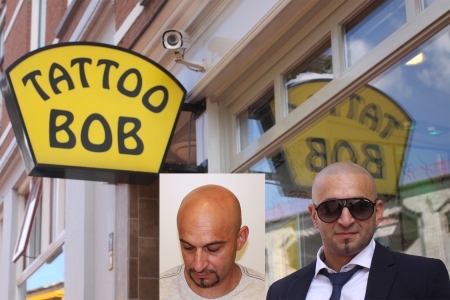 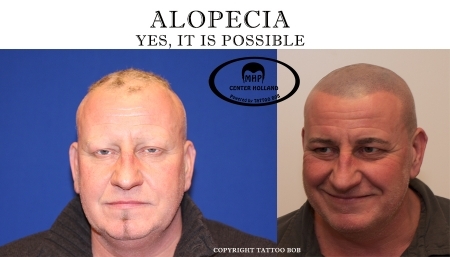 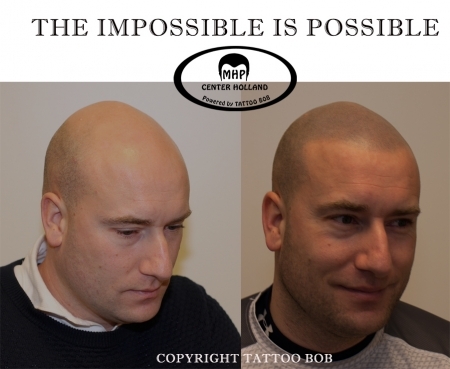 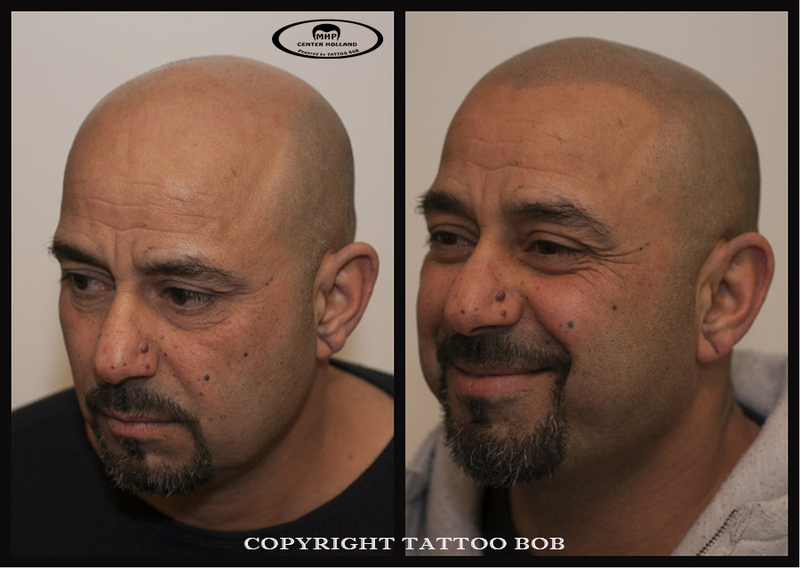 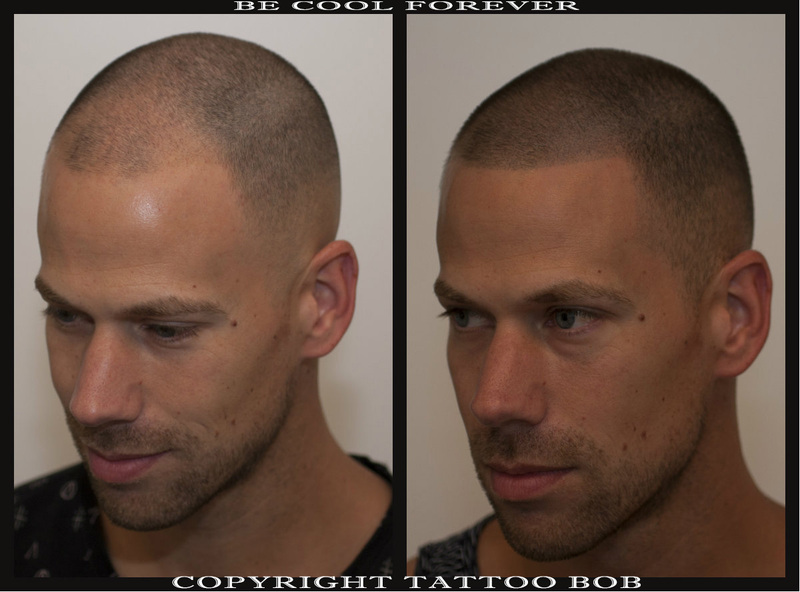 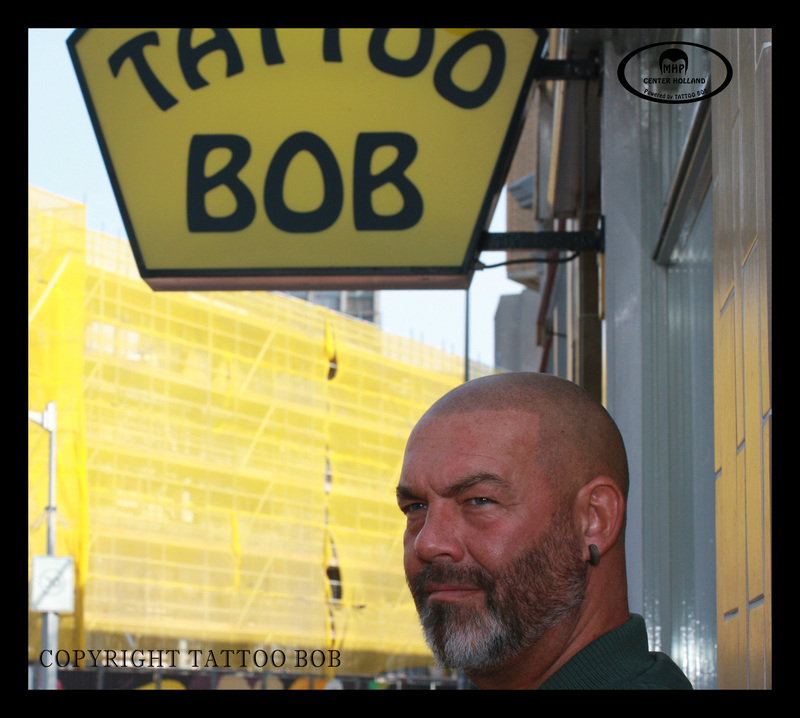 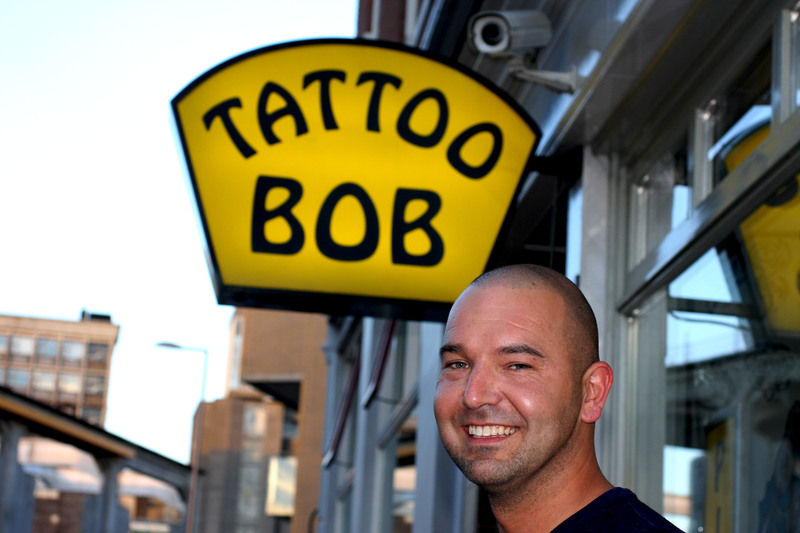 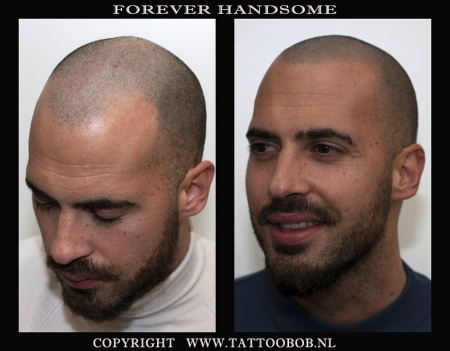 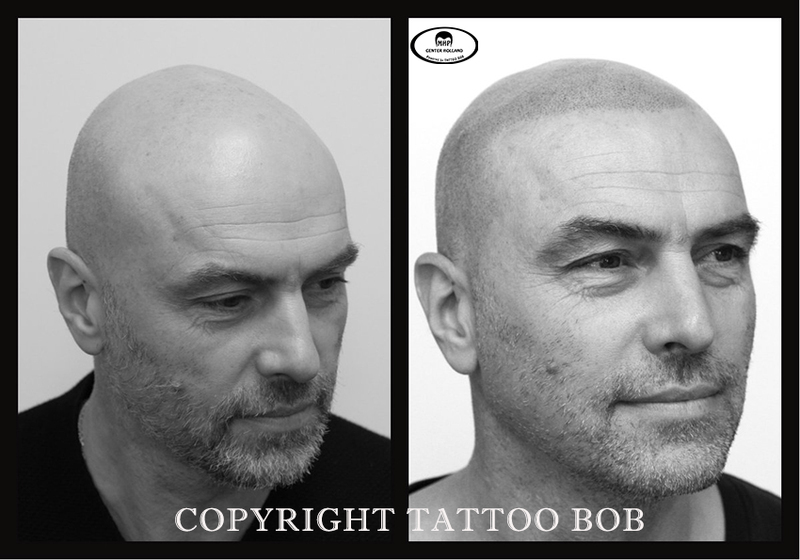 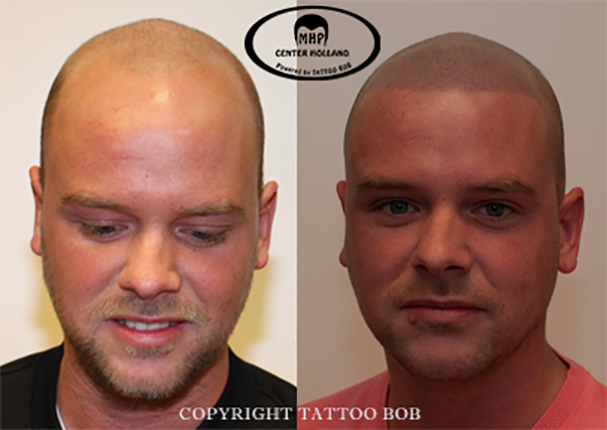 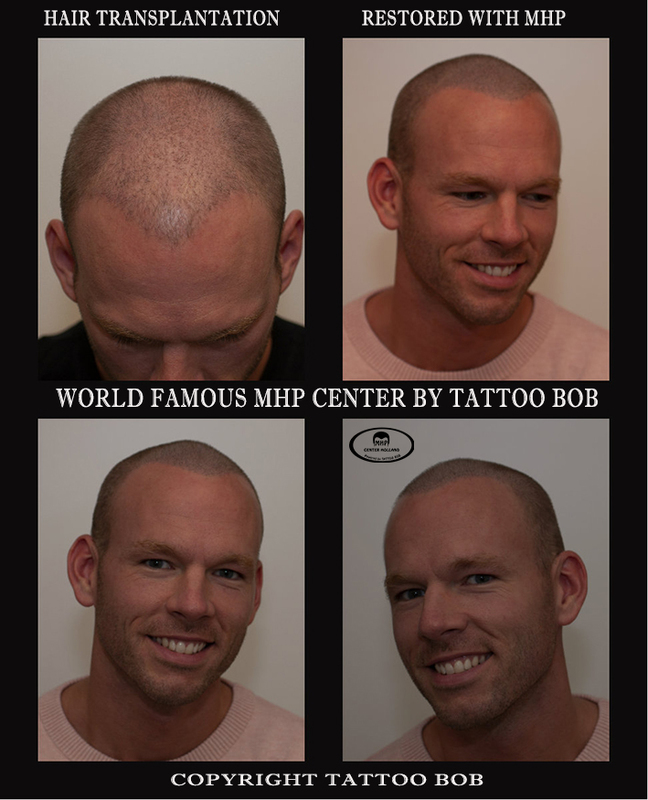 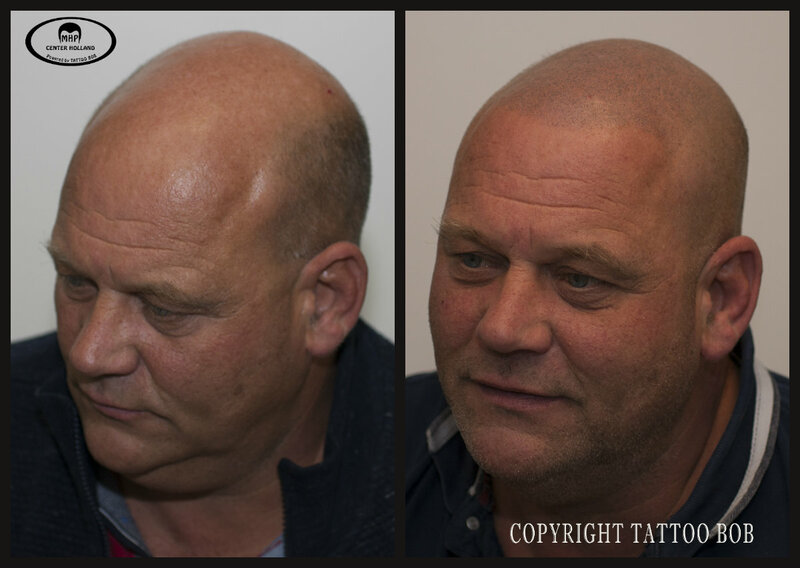 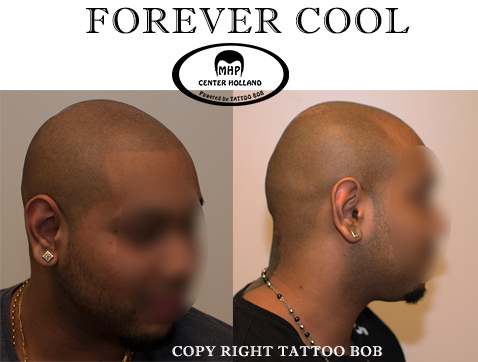 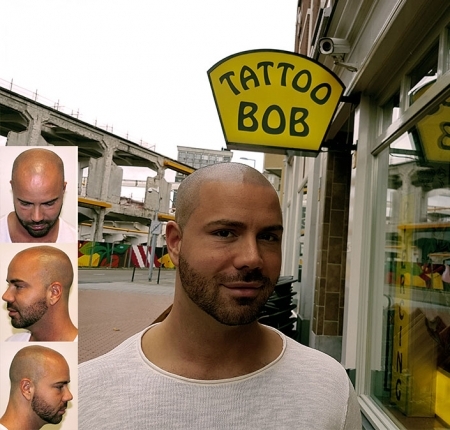 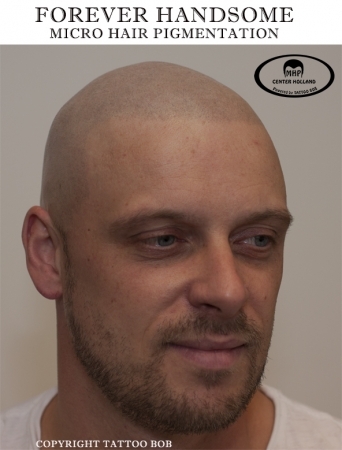 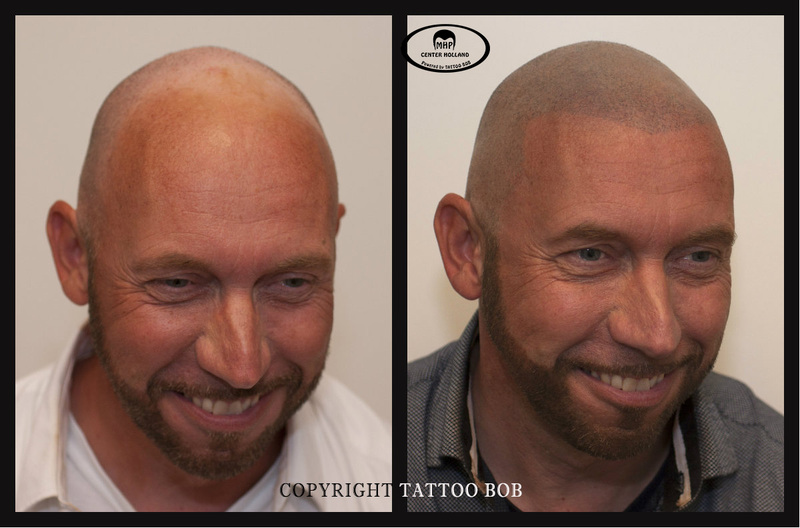 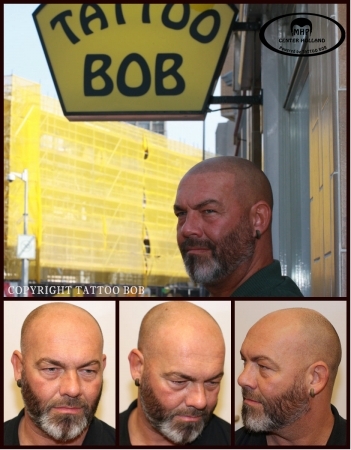 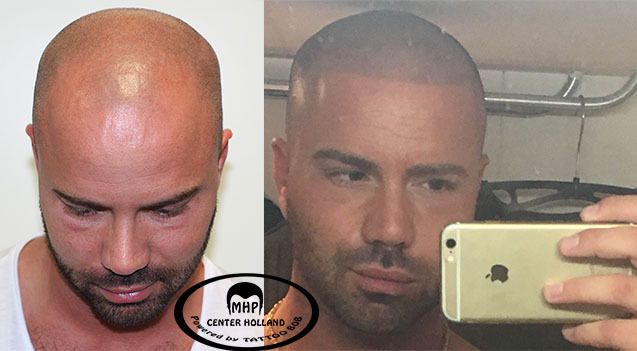 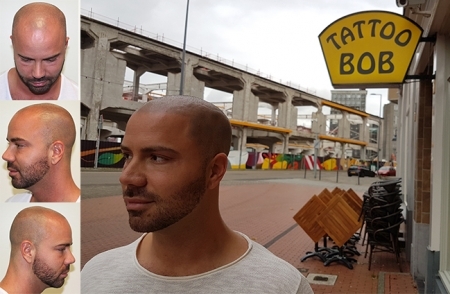 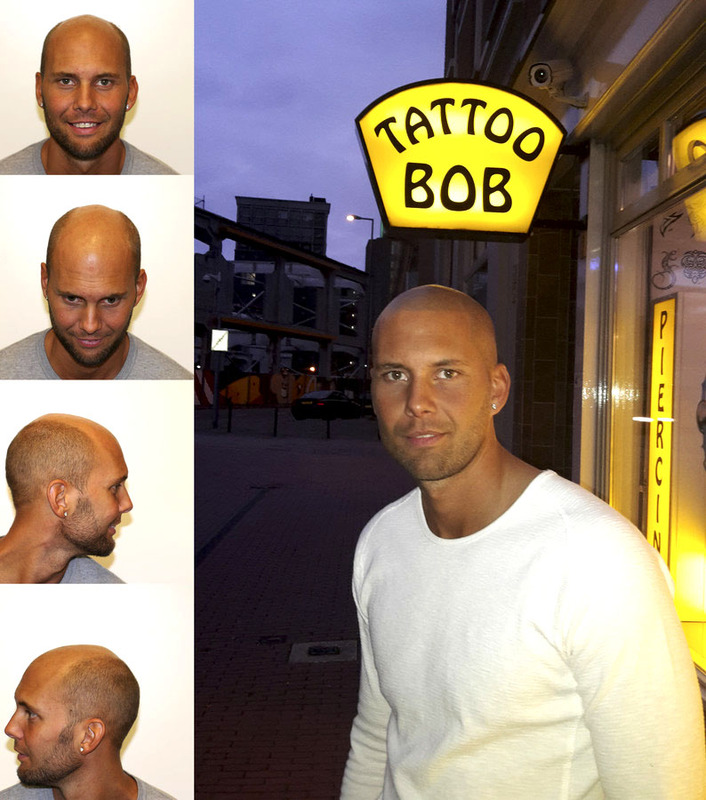 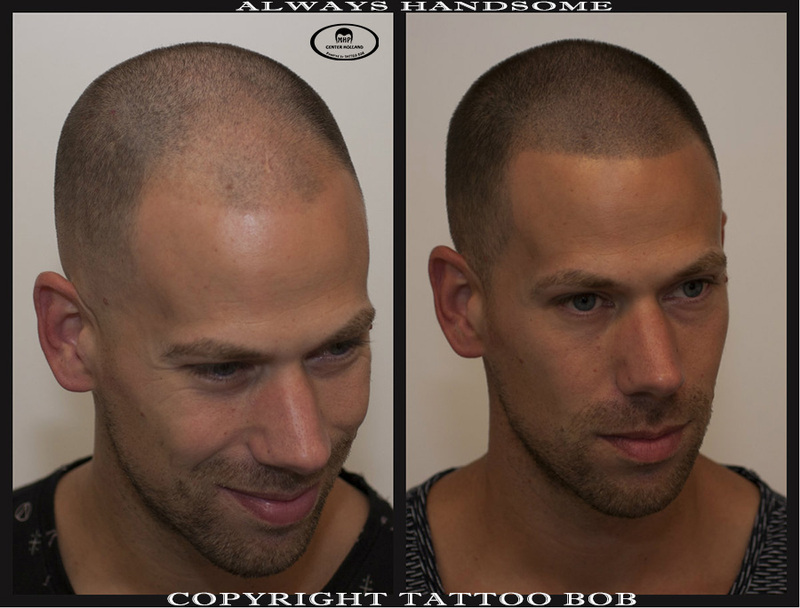 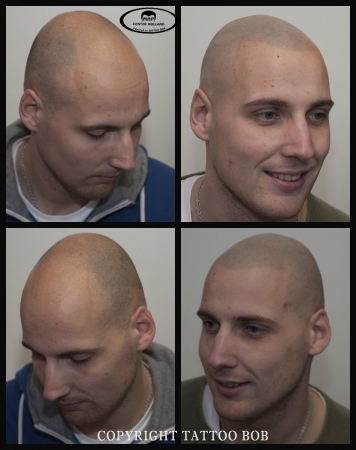 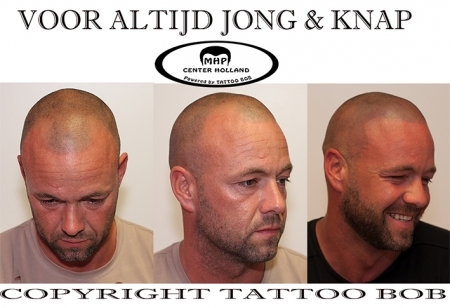 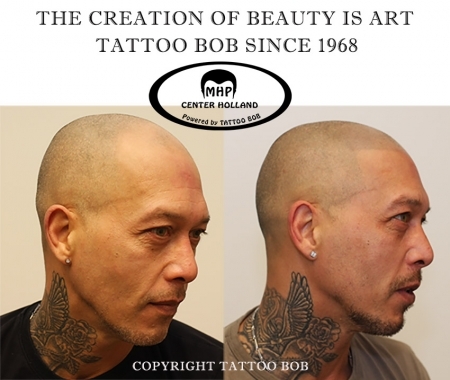 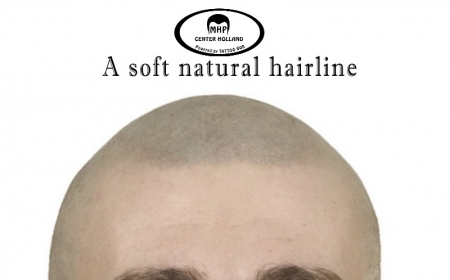 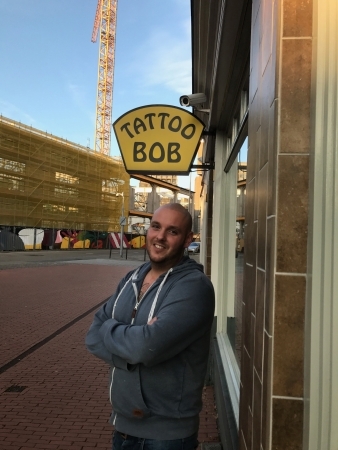 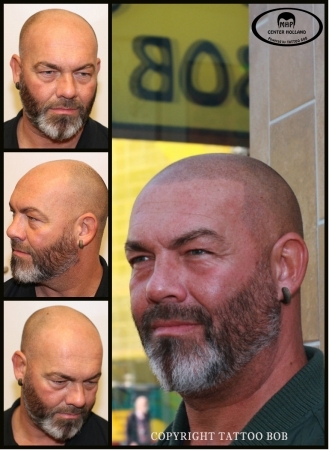 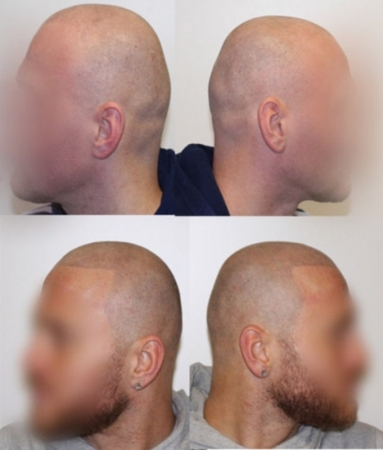 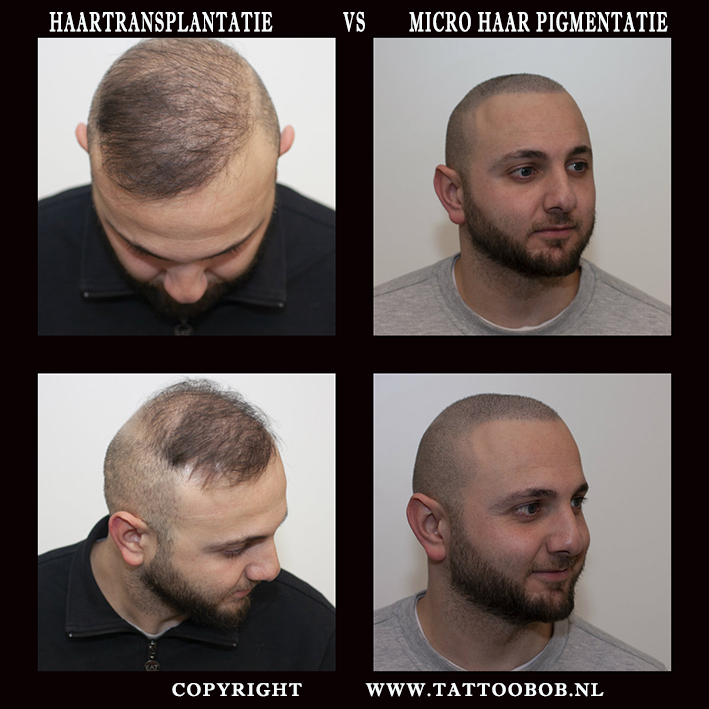 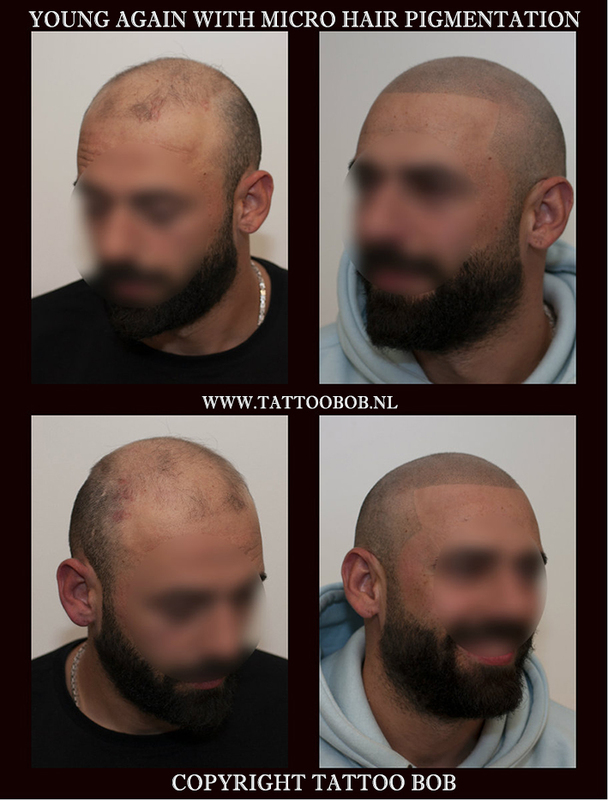 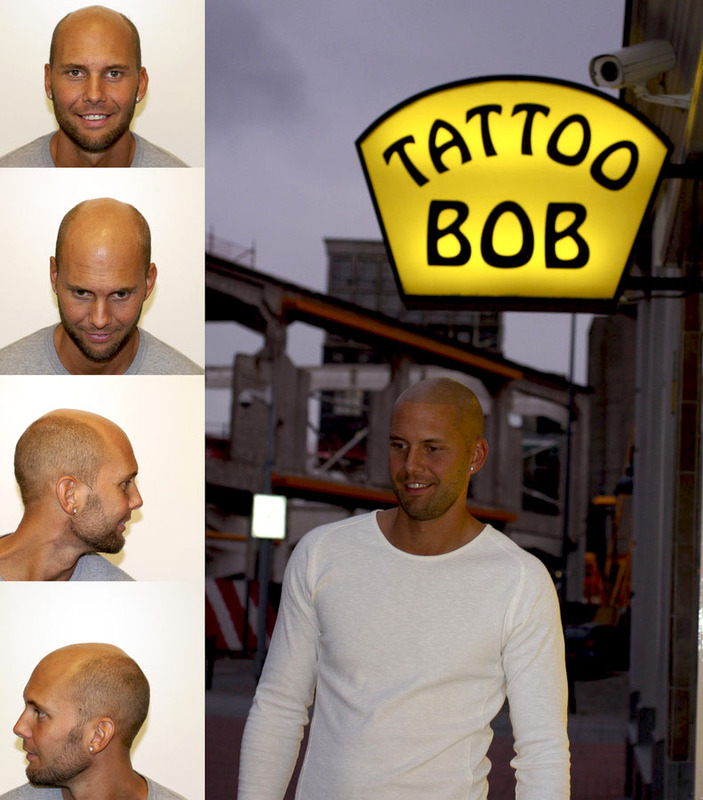 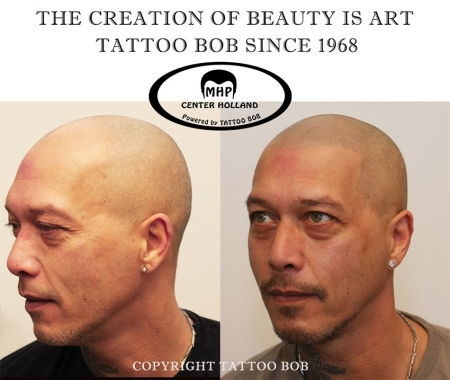 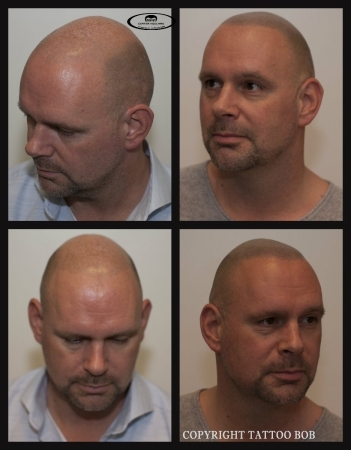 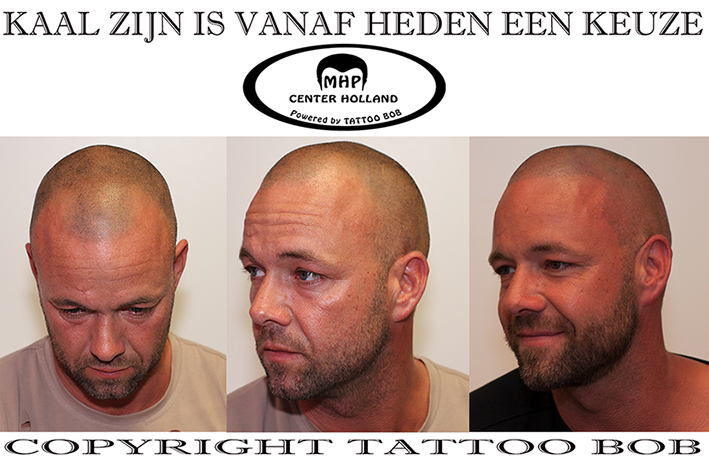 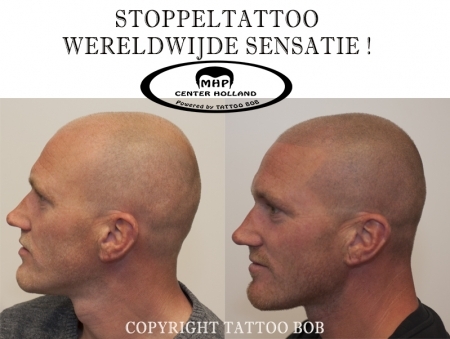 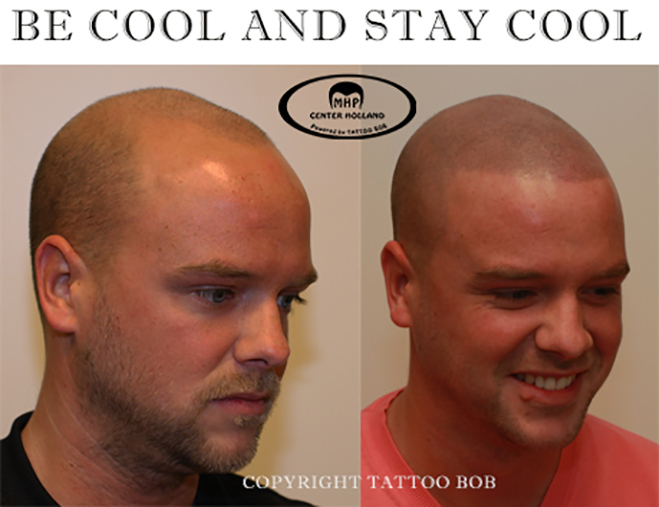 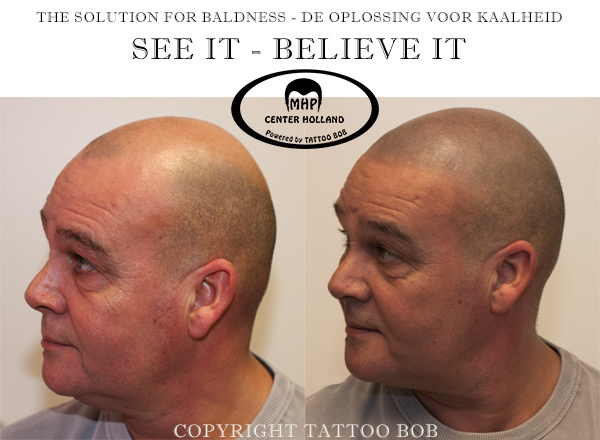 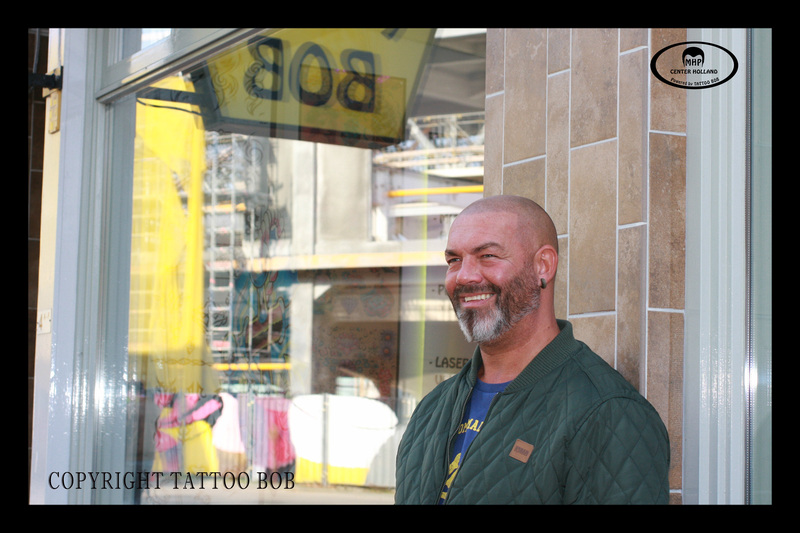 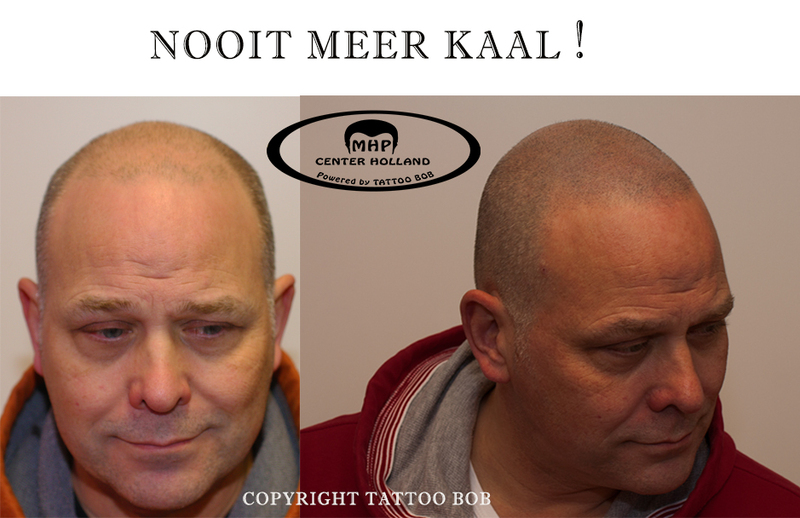 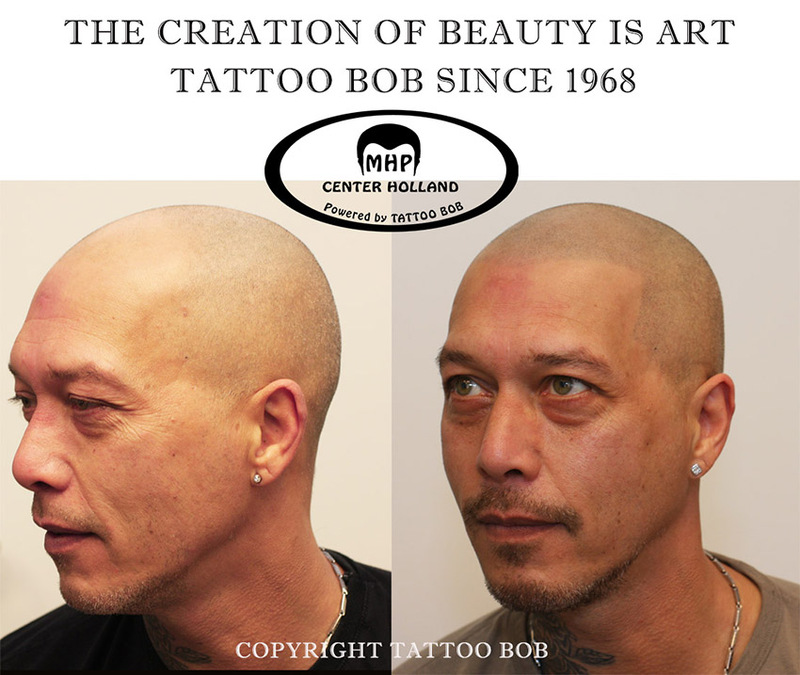 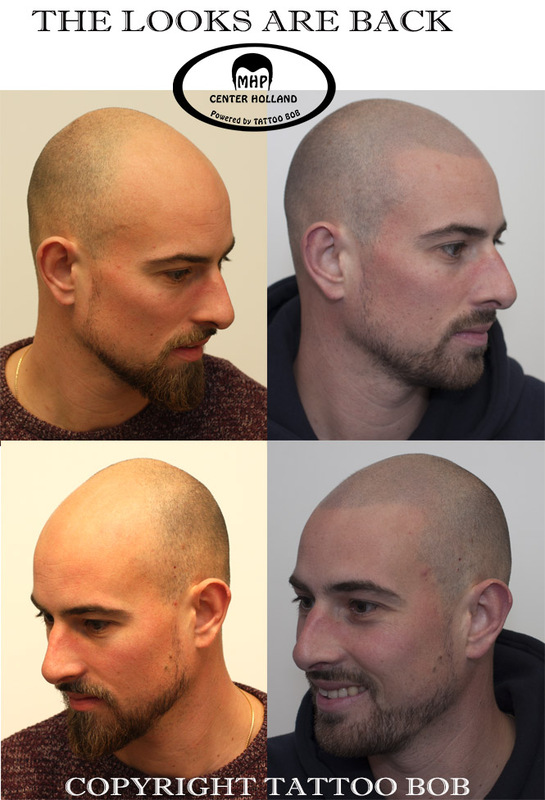 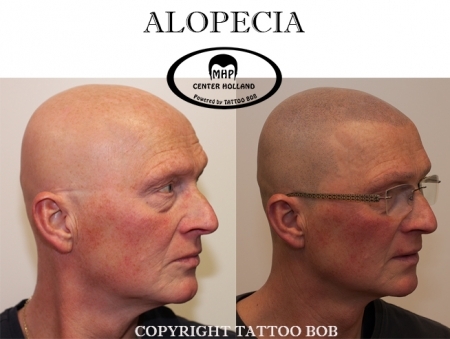 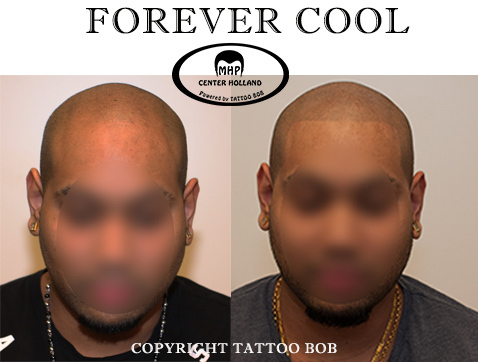 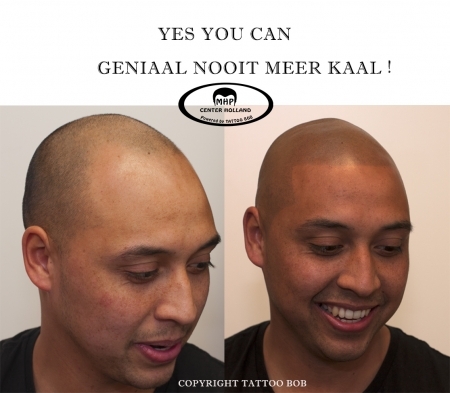 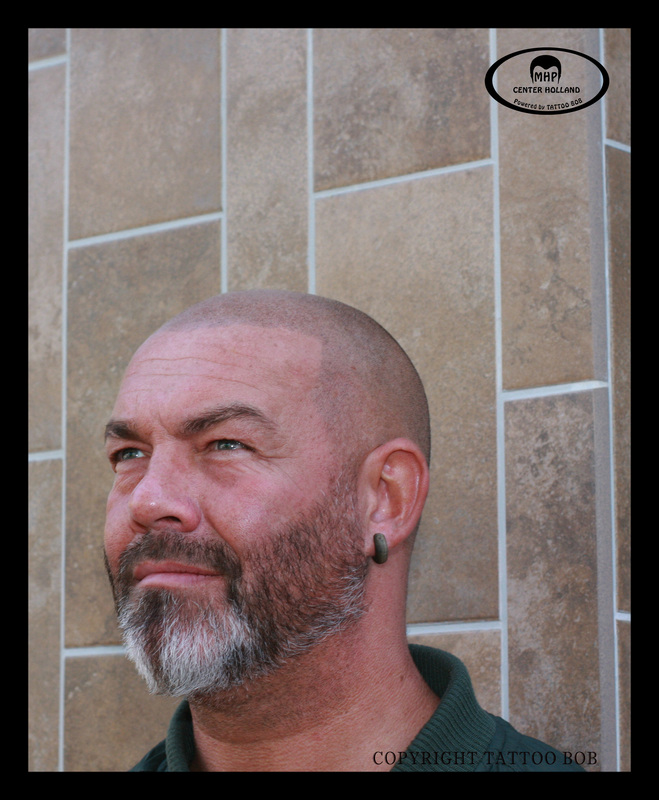 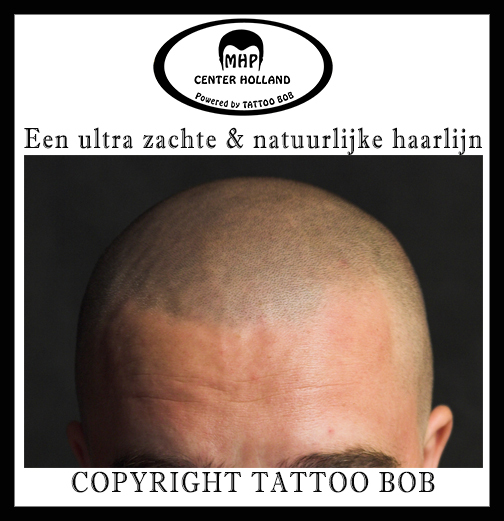 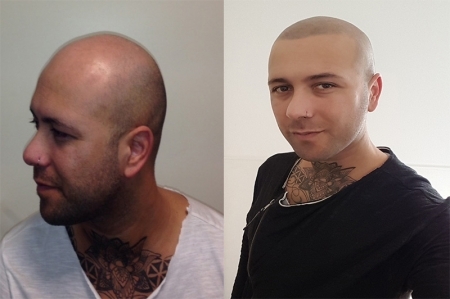 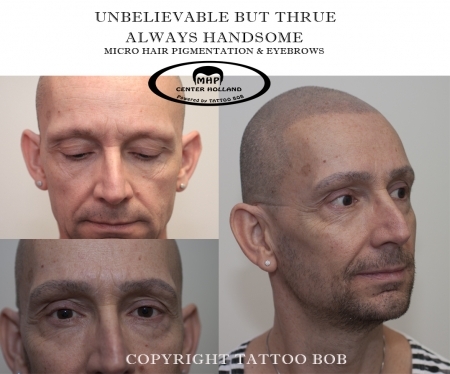 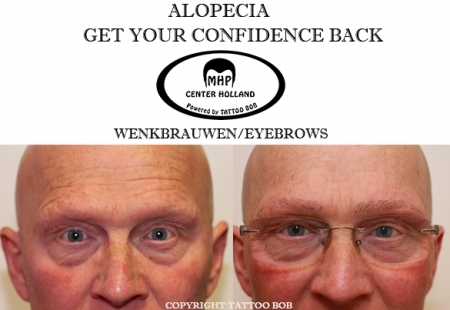 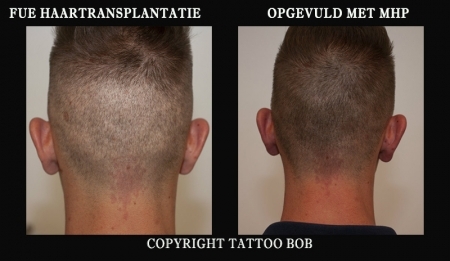 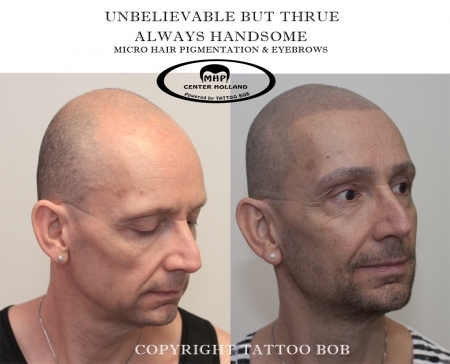 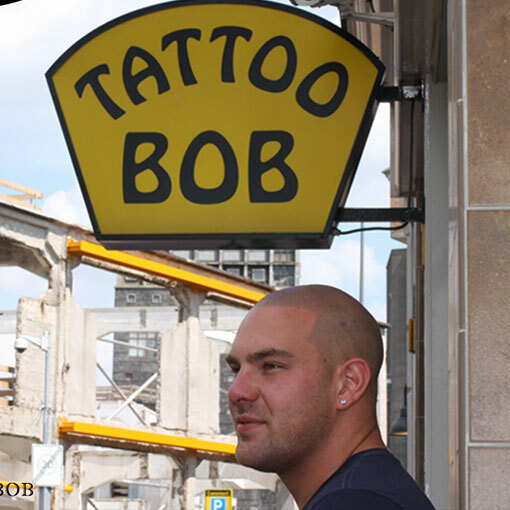 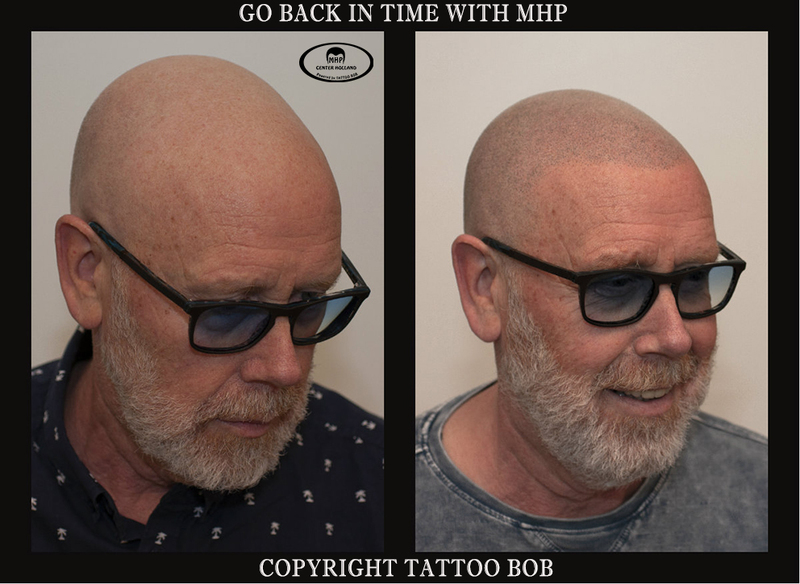 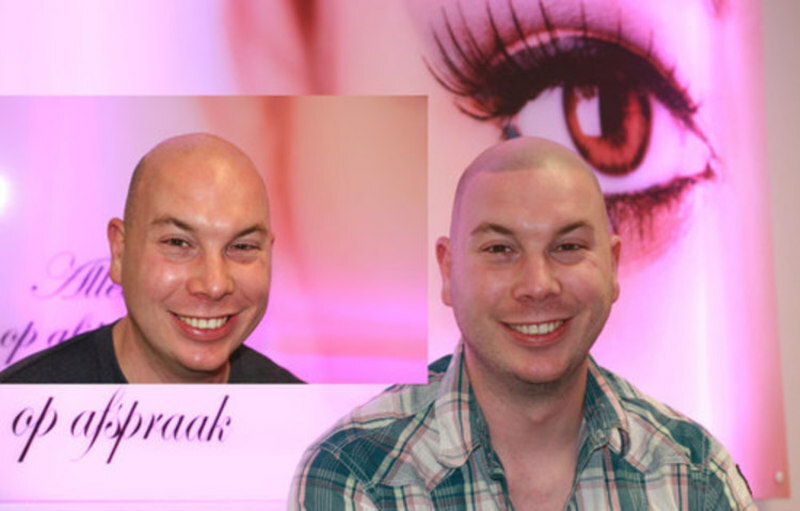 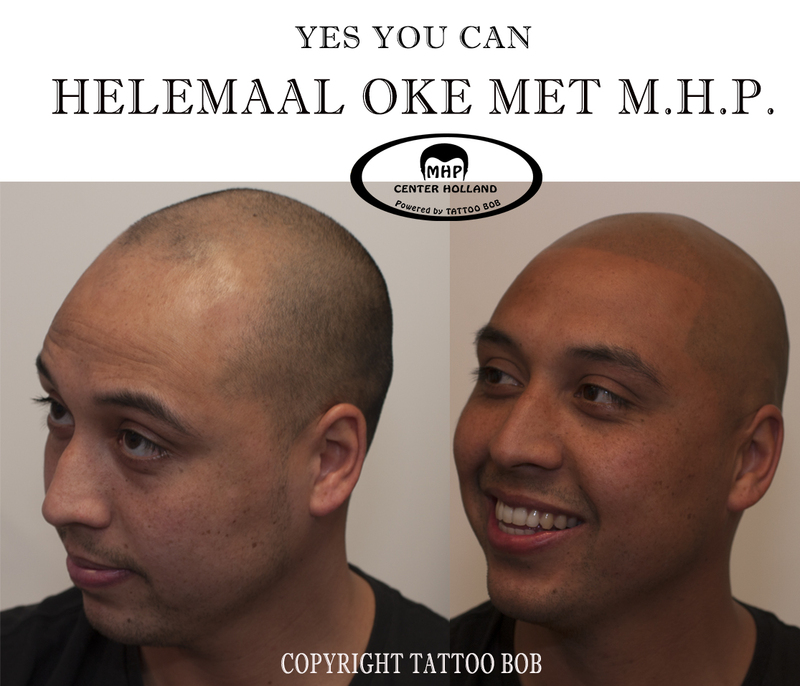 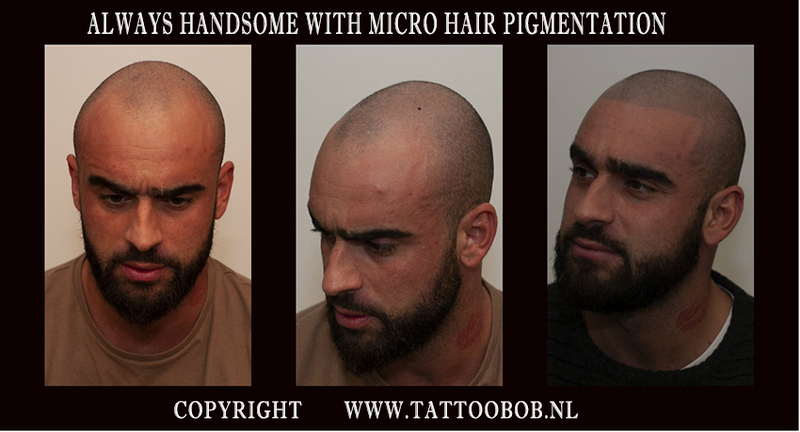 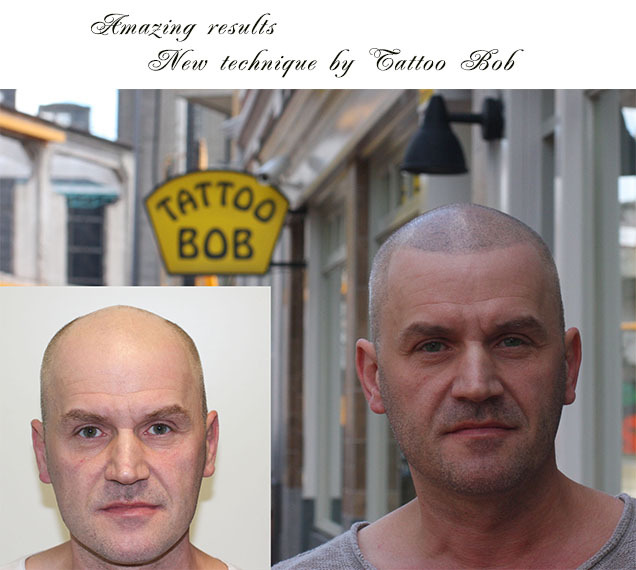 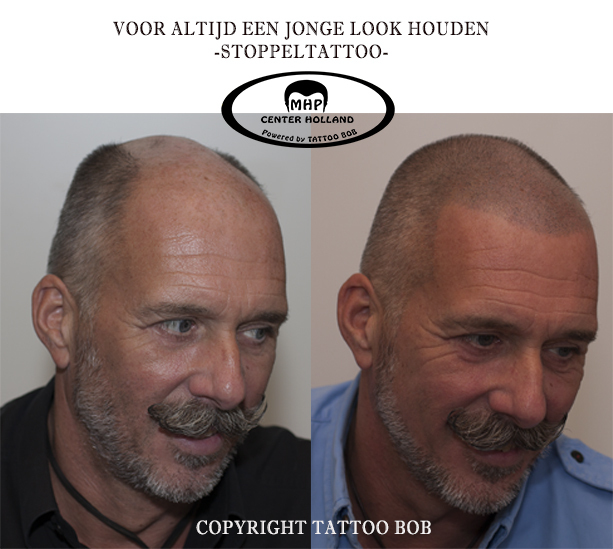 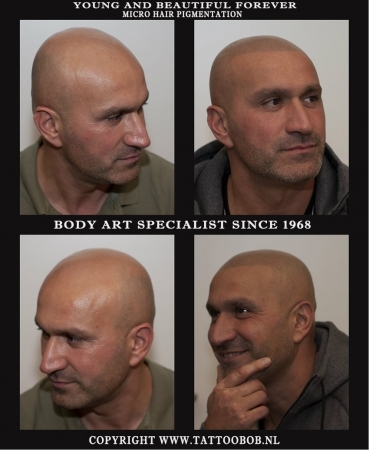 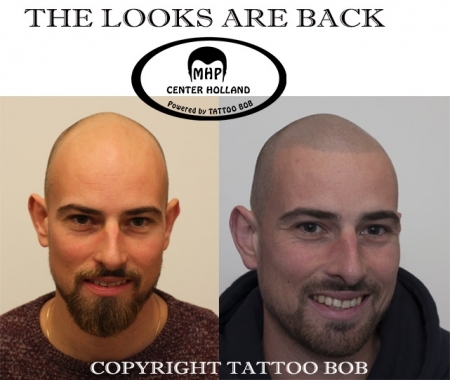 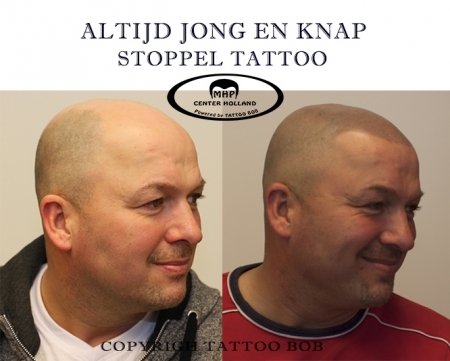 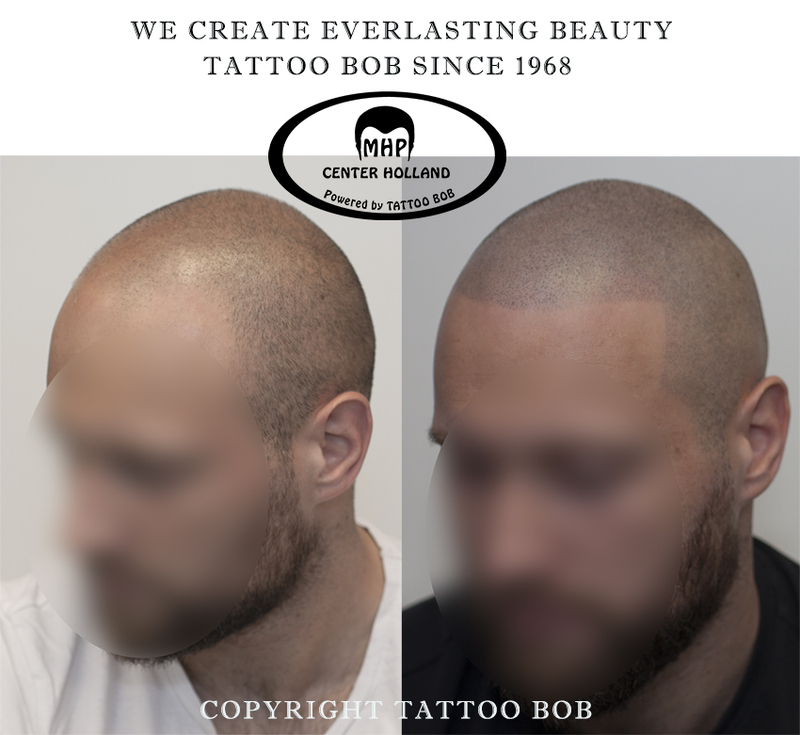 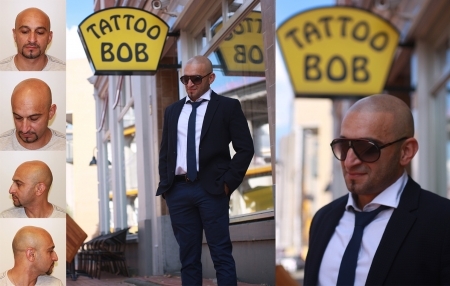 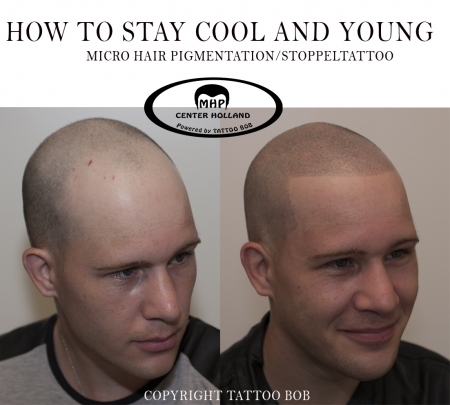 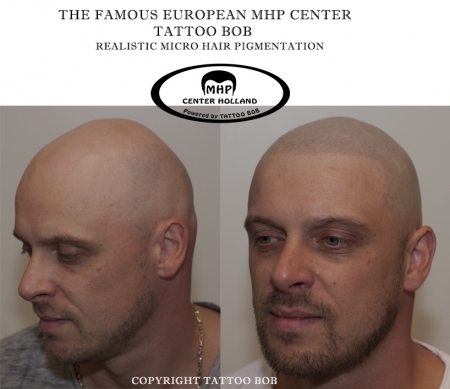 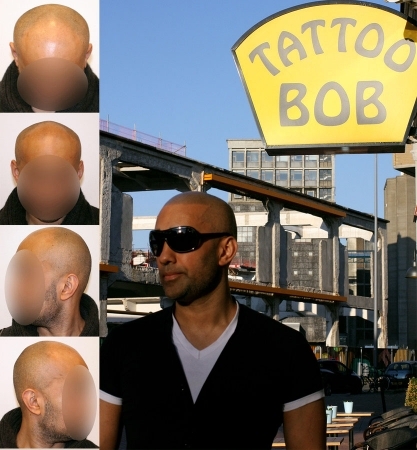 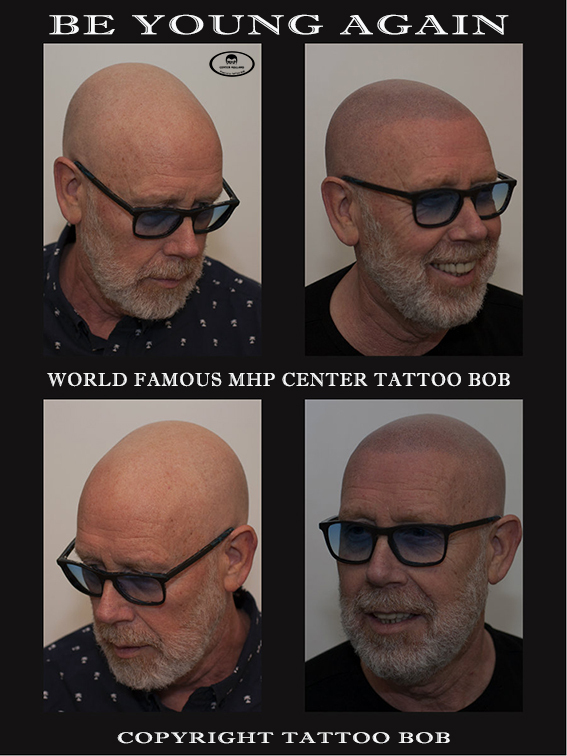 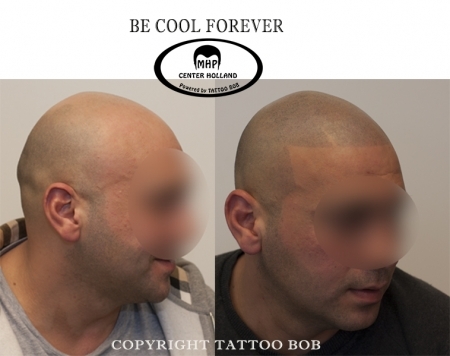 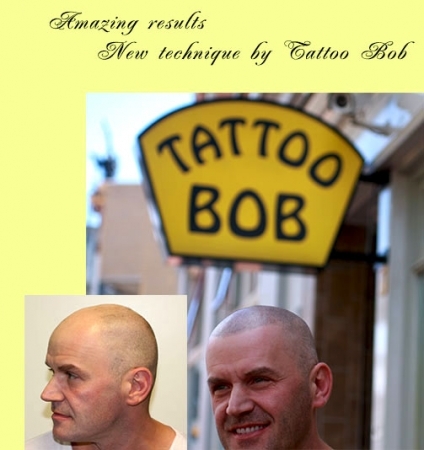 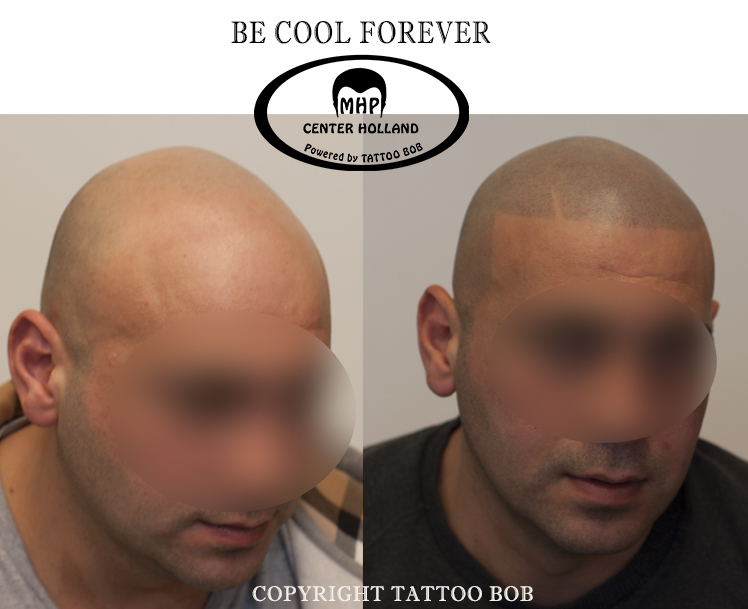 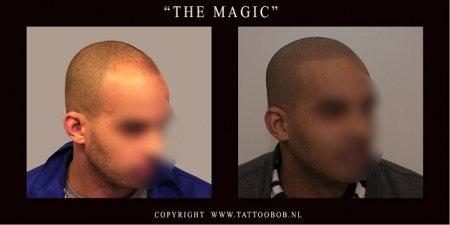 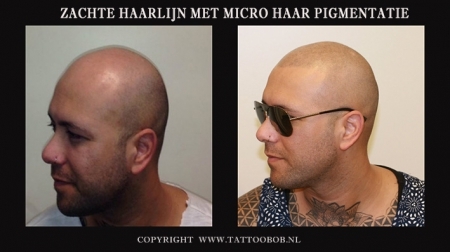 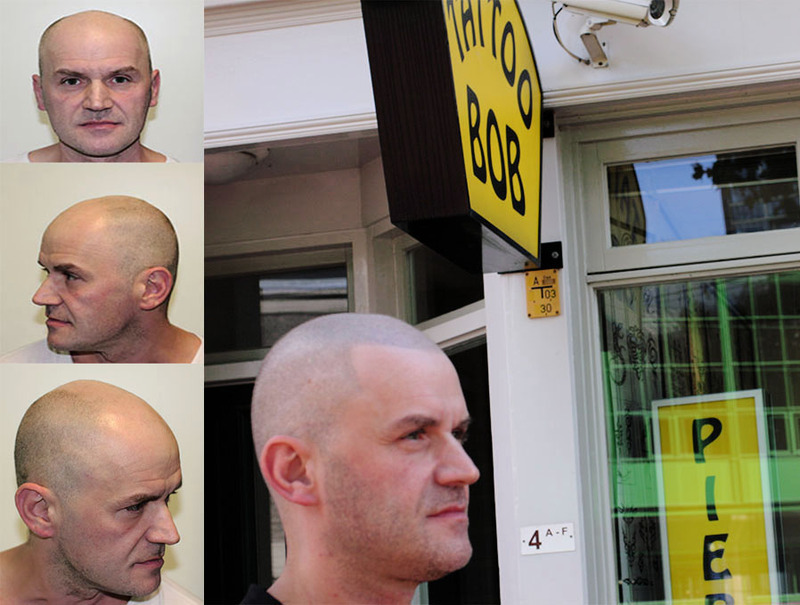 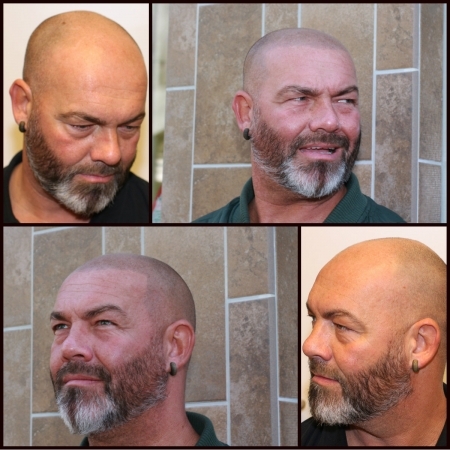 The term "stubble tattoo" is completely invented and introduced by specialists at MHP Center Holland. 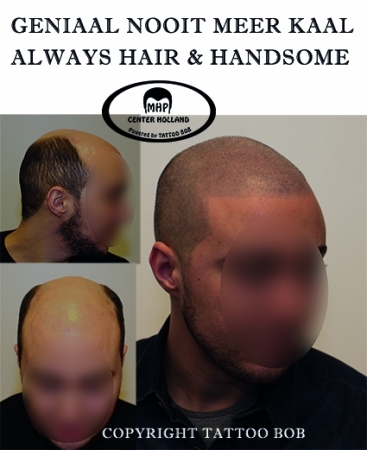 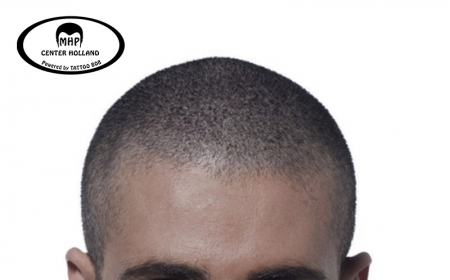 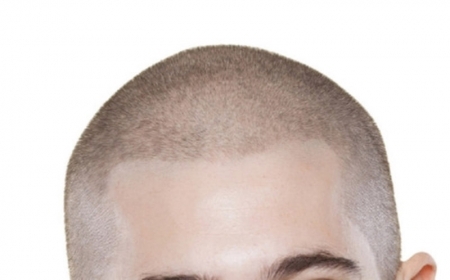 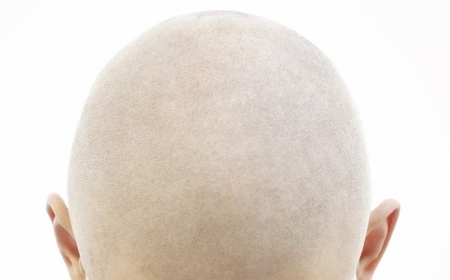 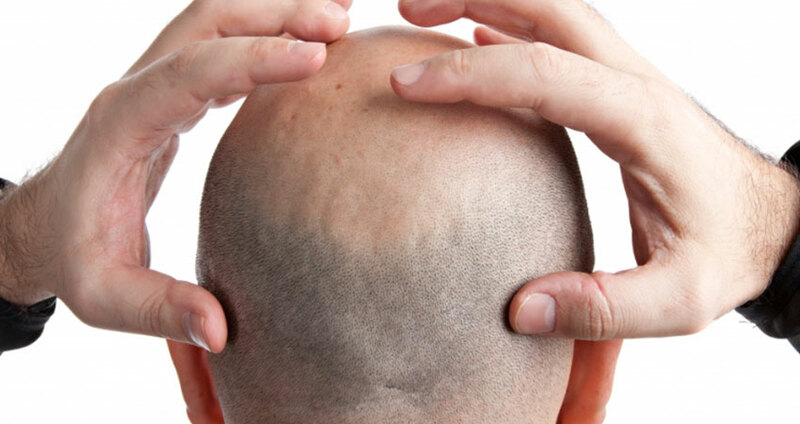 Eliminate unwanted baldness. 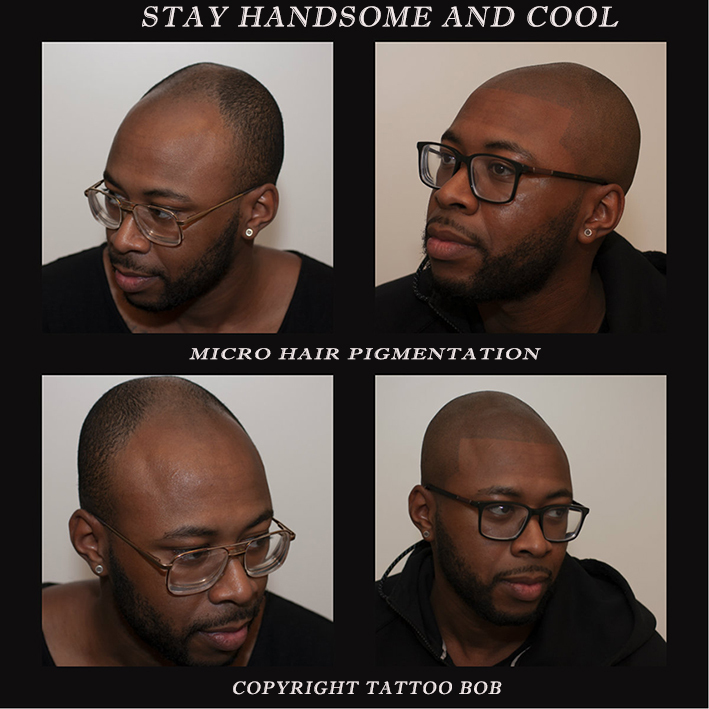 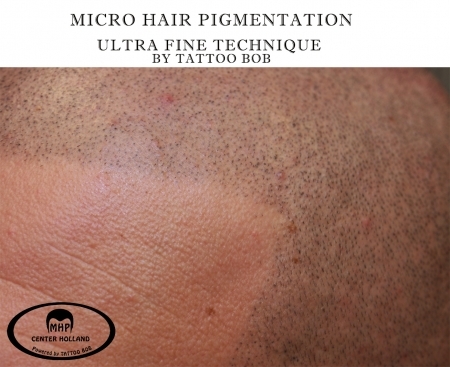 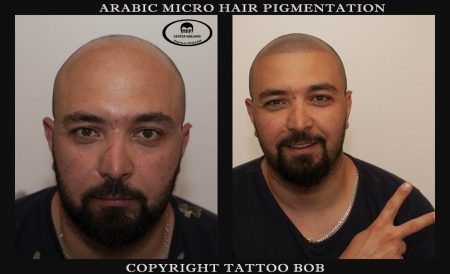 Have a stubble tattoo using the Micro Hair Pigmentation technique. 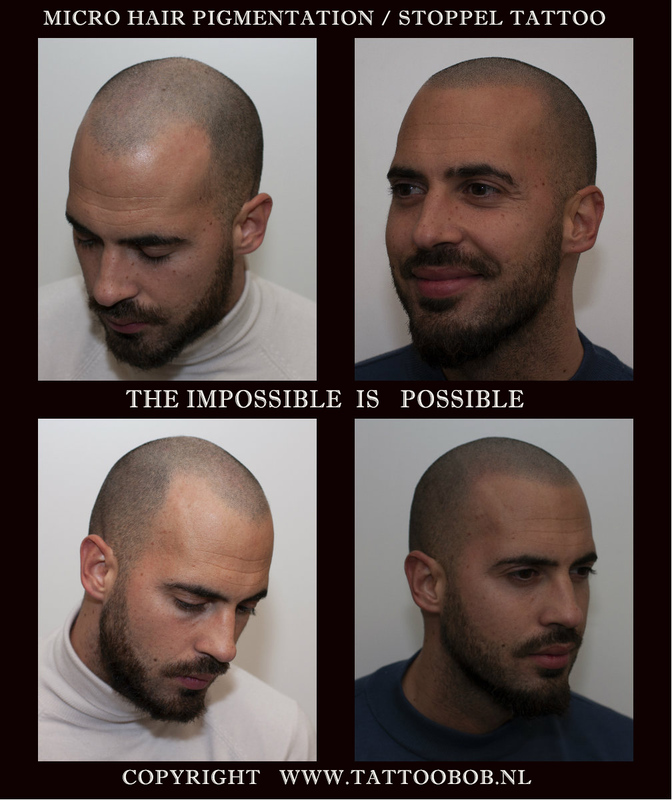 No more baldness and undistinguishable from real! 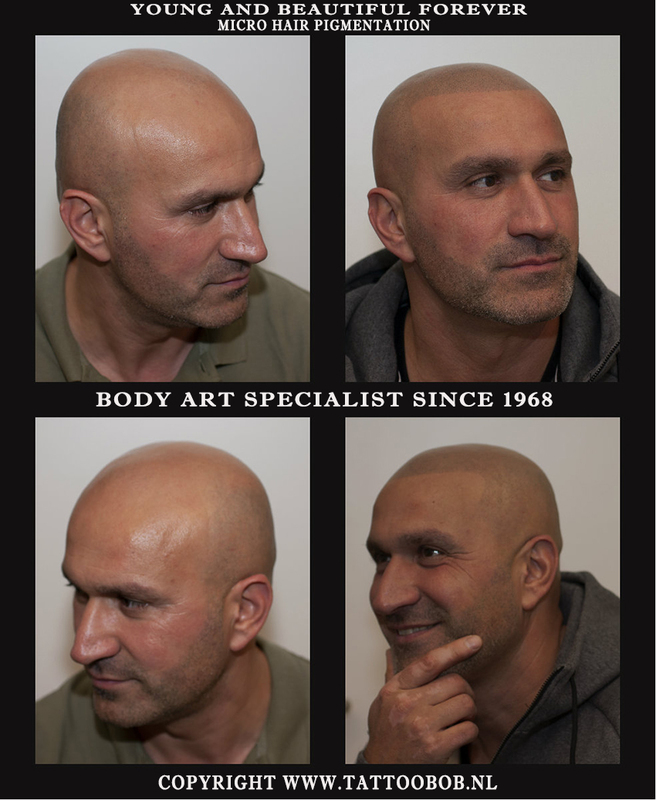 Be dazzled by the unprecedented realistic results. 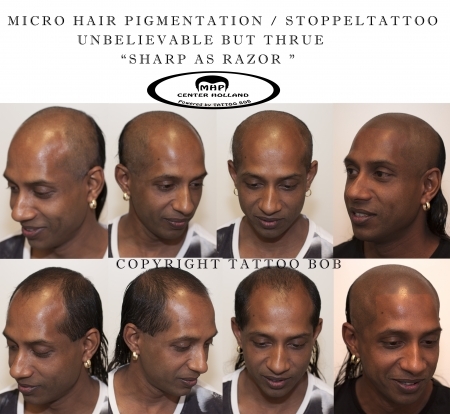 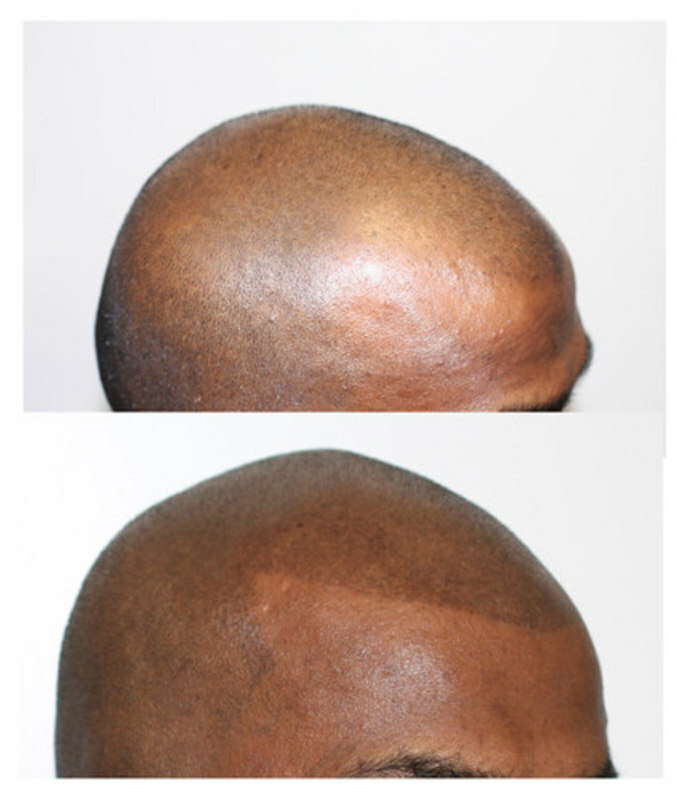 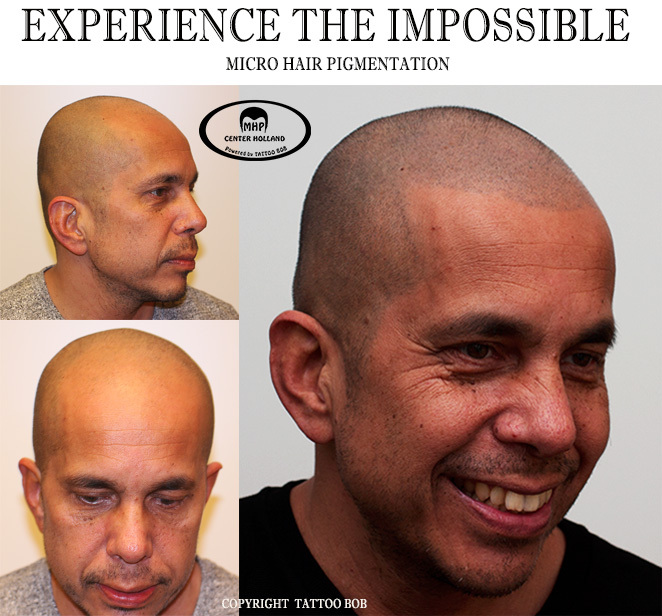 See the possibilities of Micro Hair Pigmentation for people with thin hair. 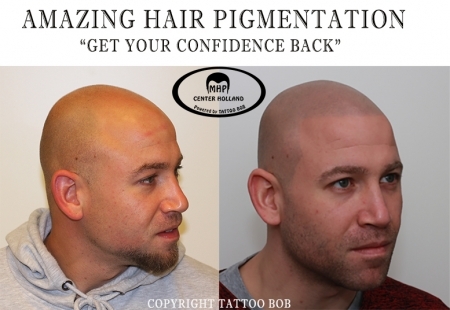 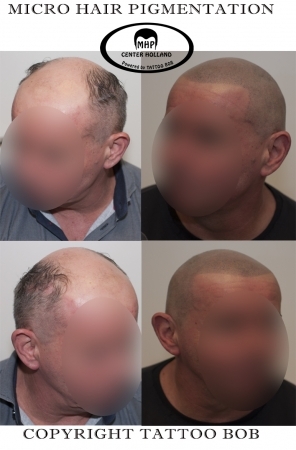 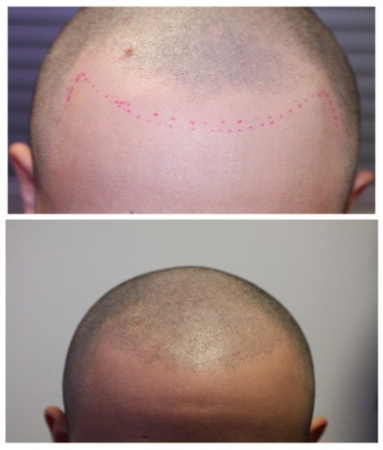 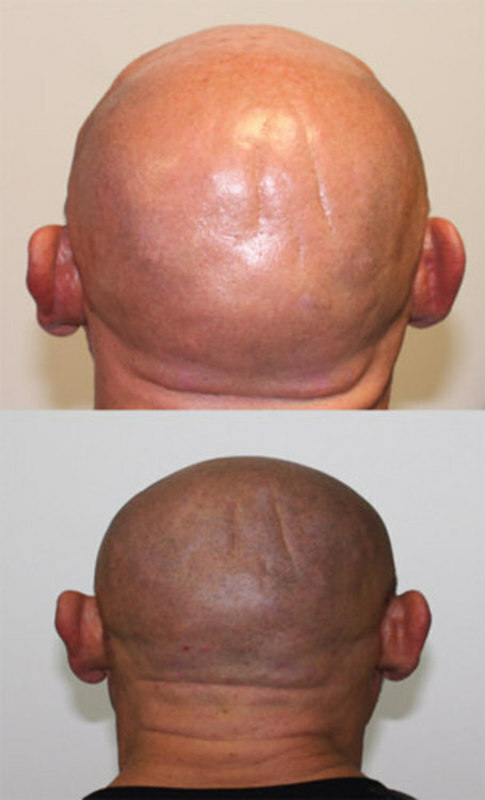 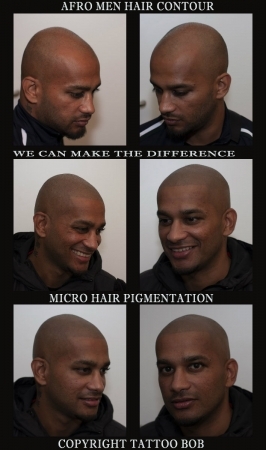 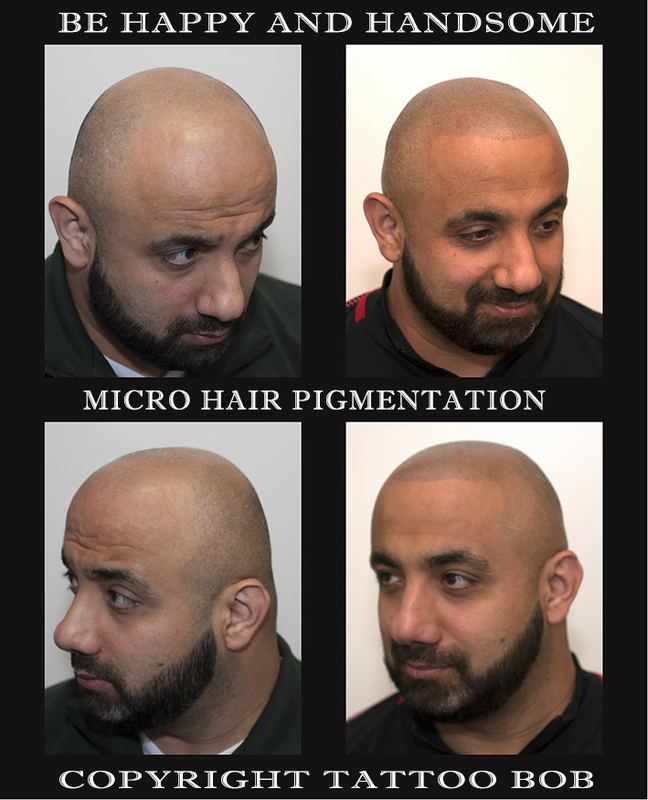 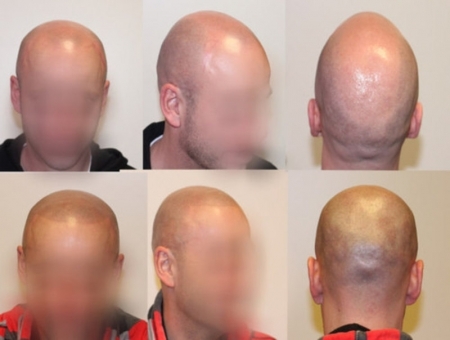 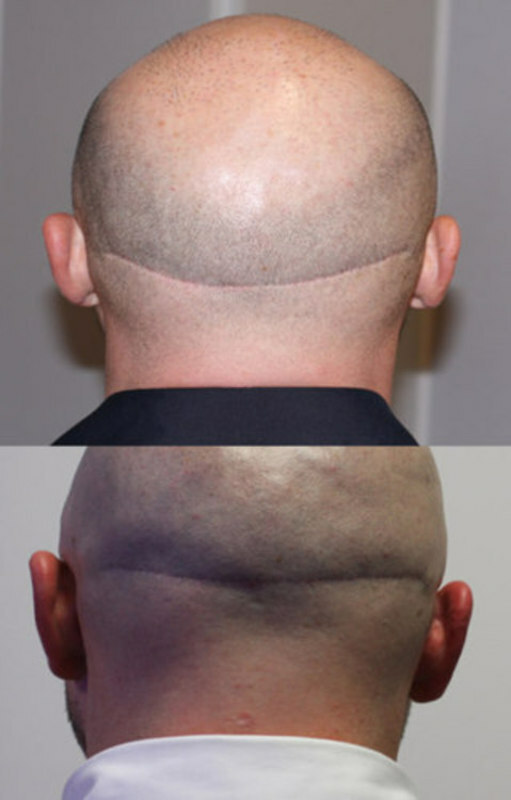 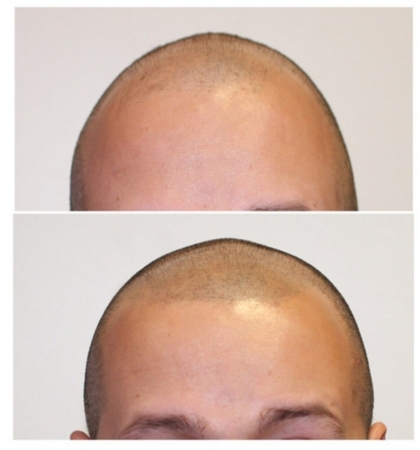 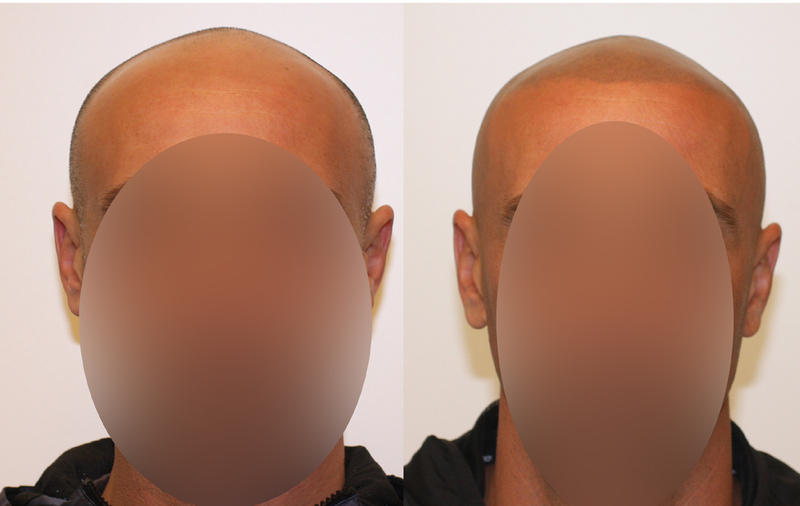 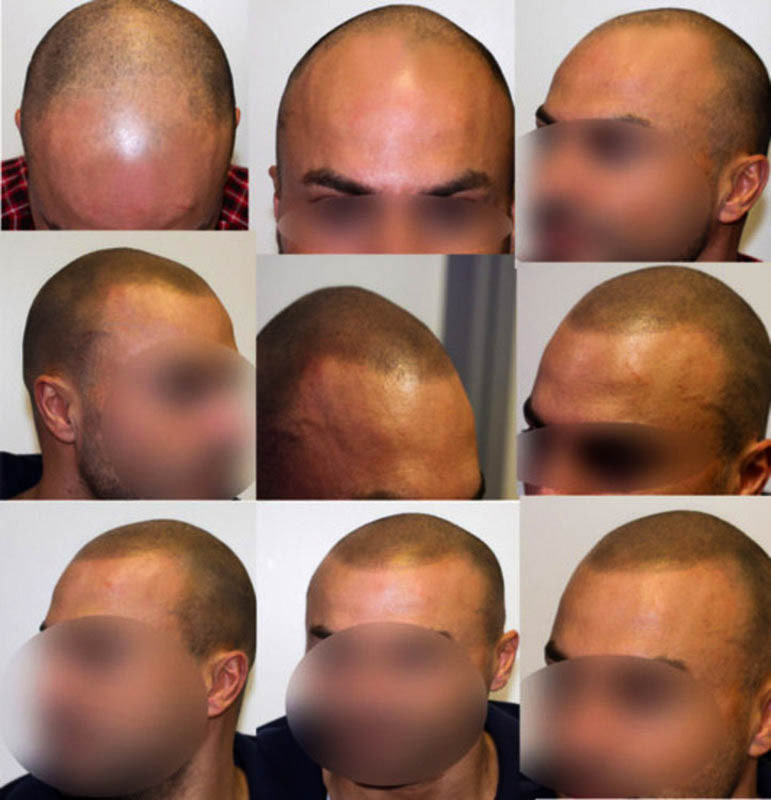 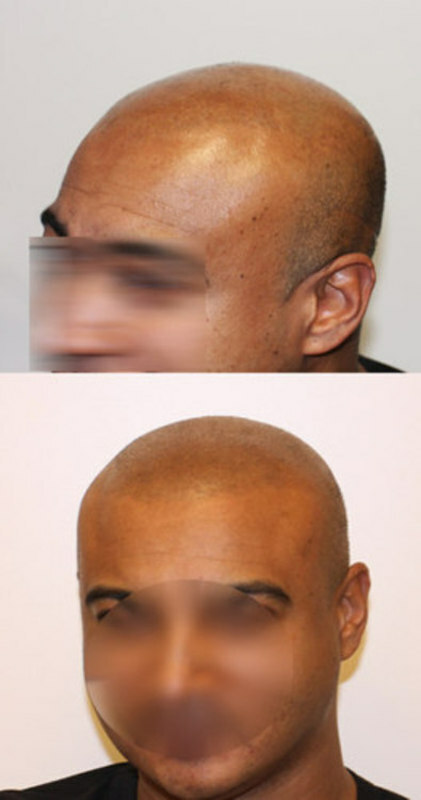 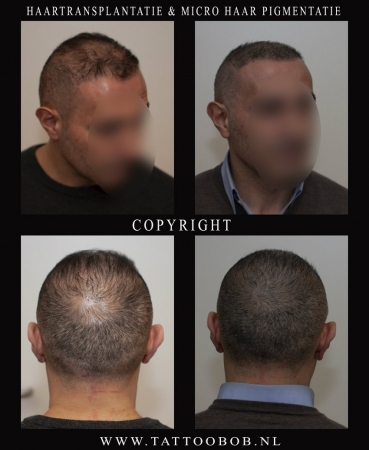 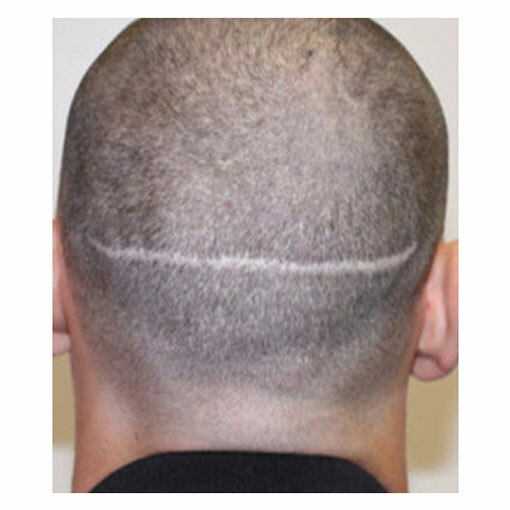 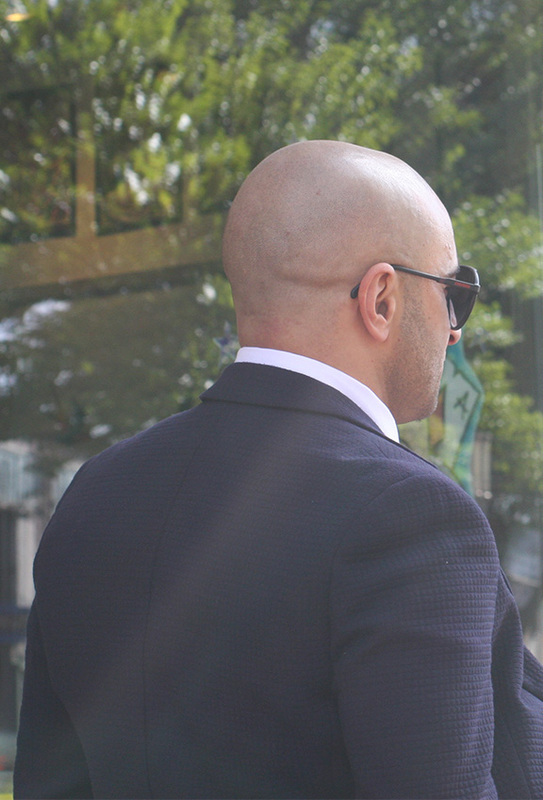 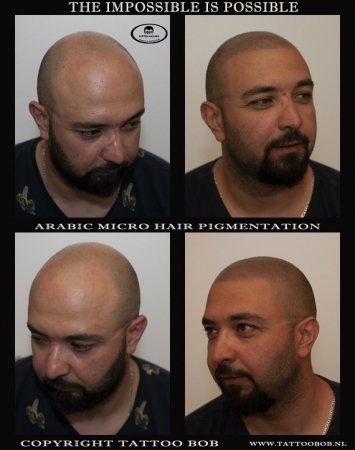 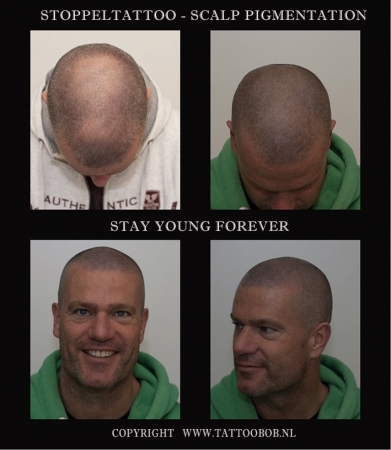 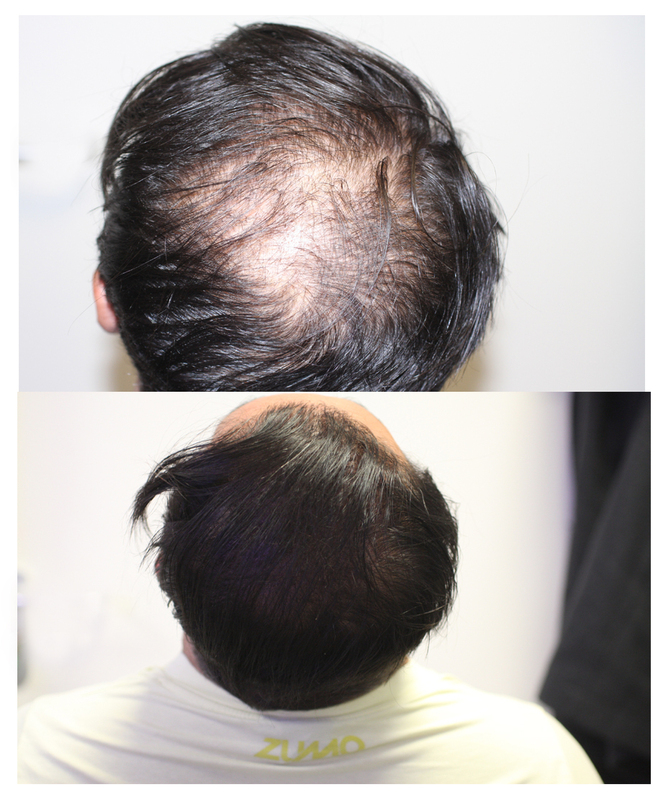 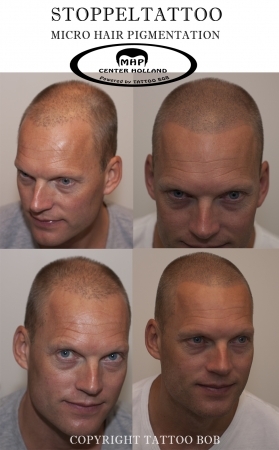 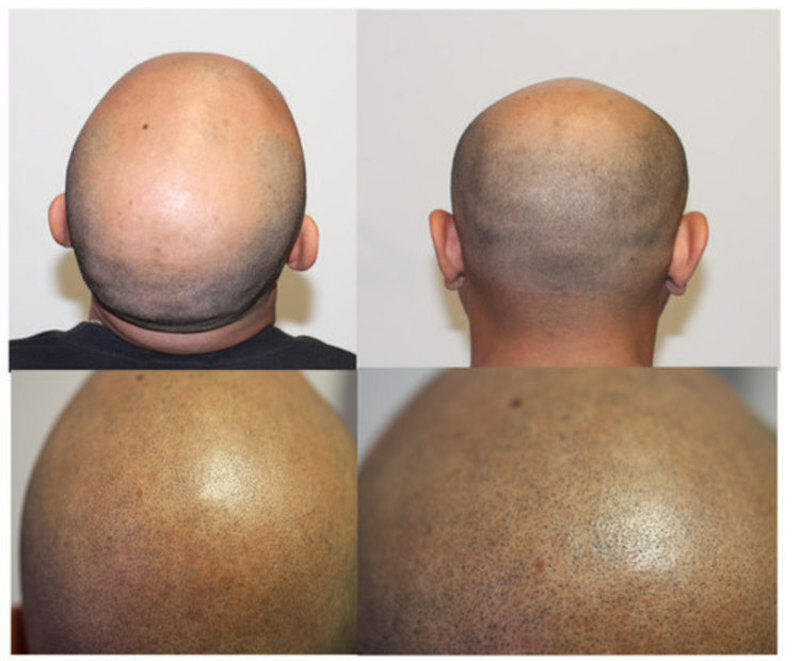 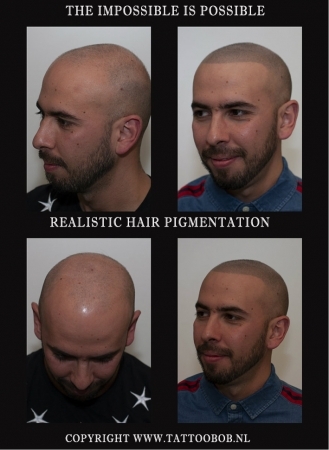 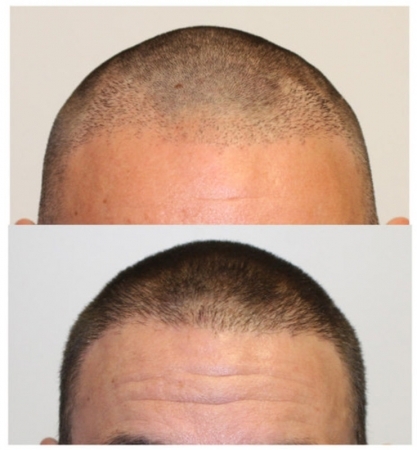 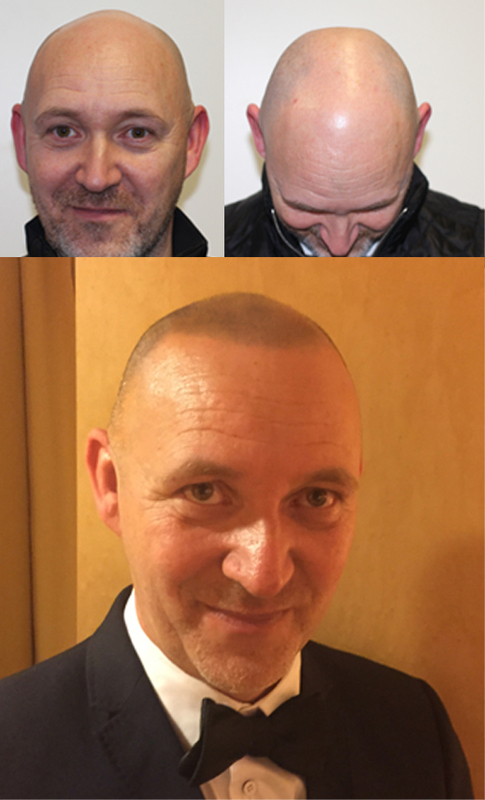 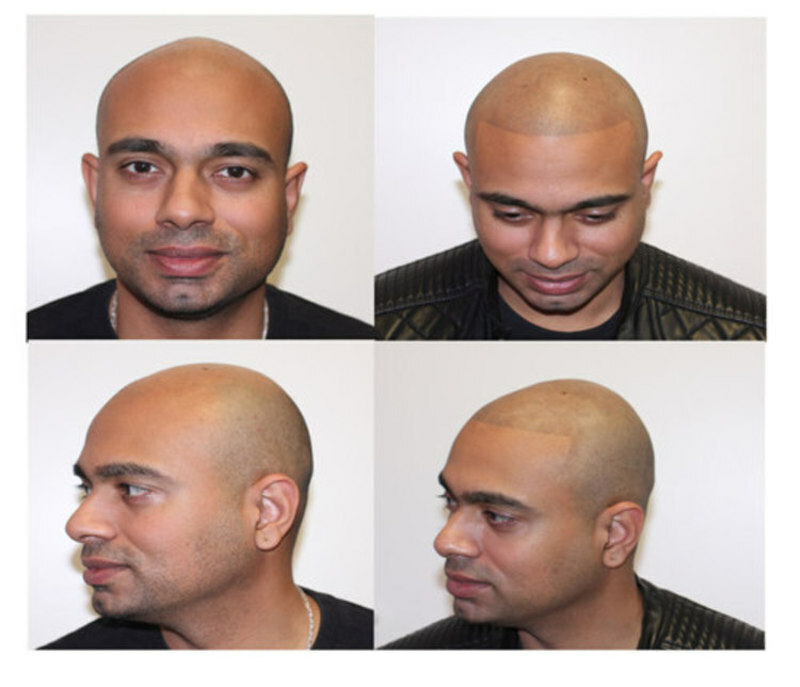 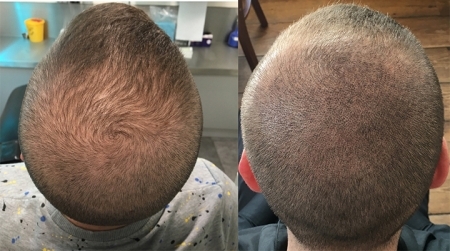 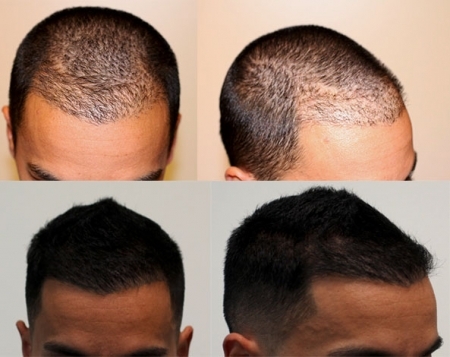 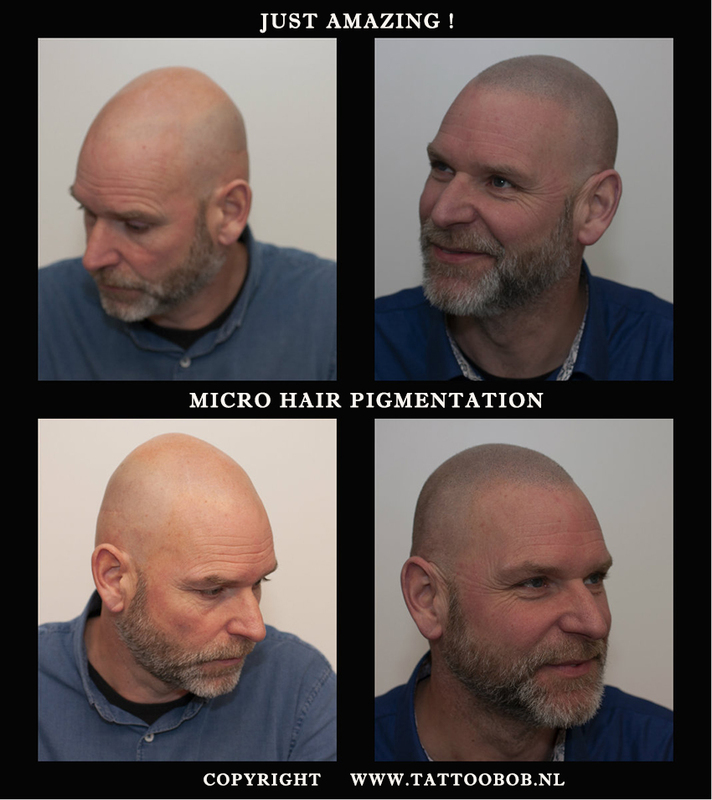 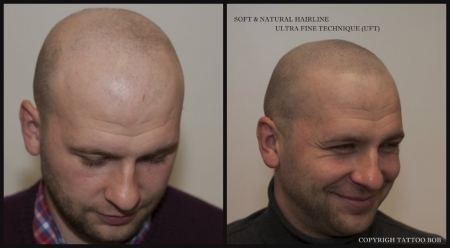 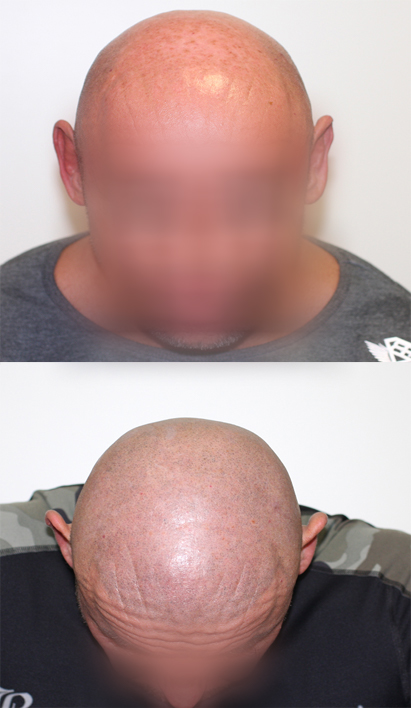 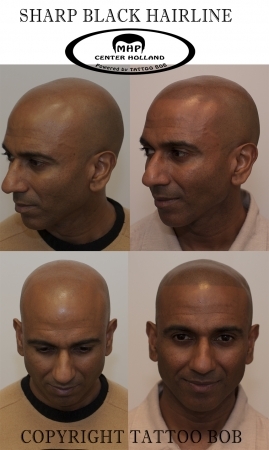 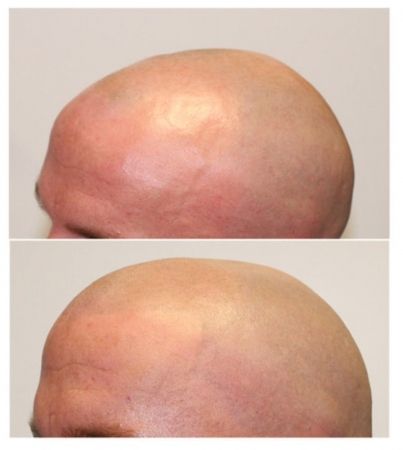 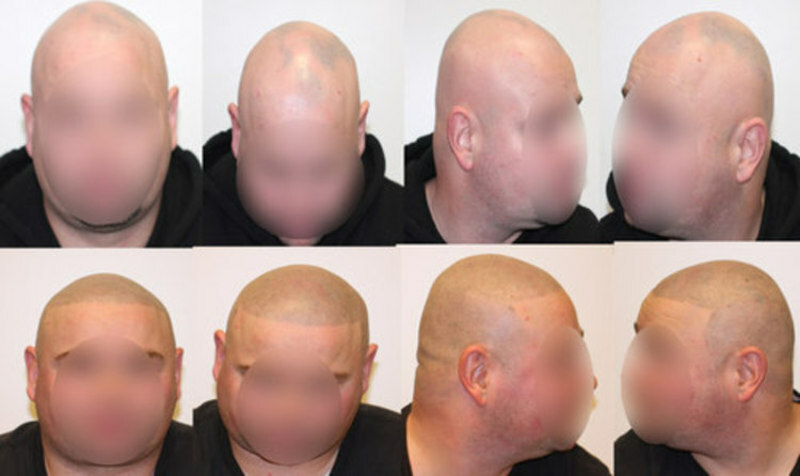 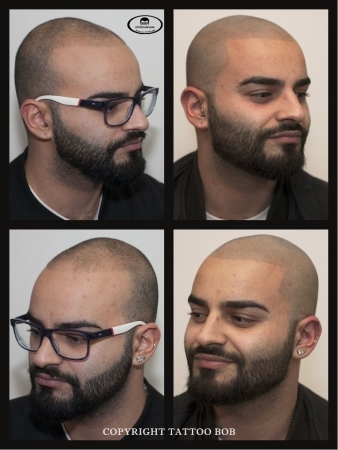 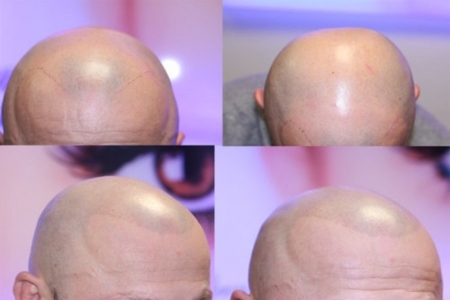 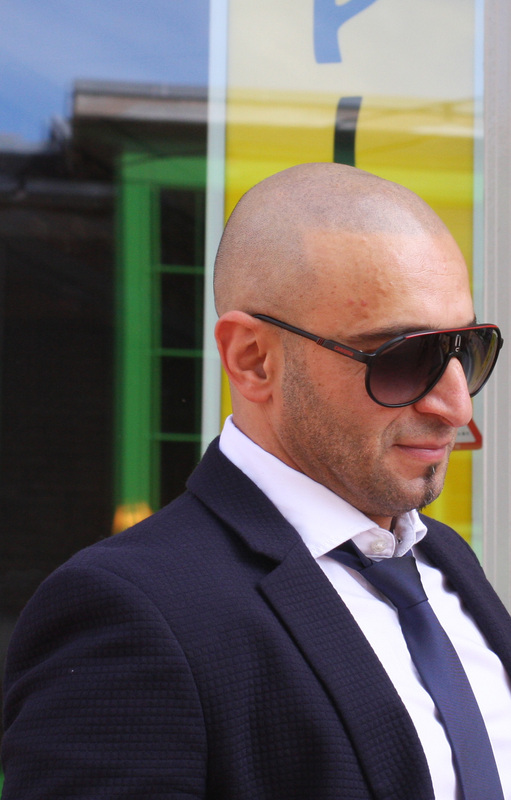 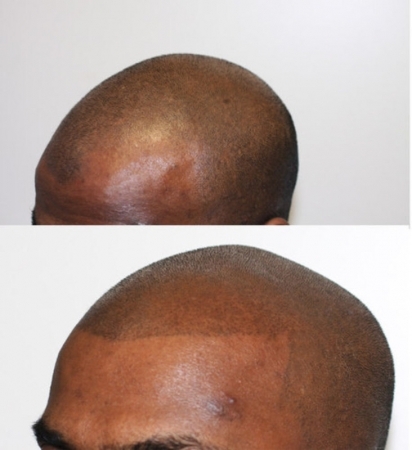 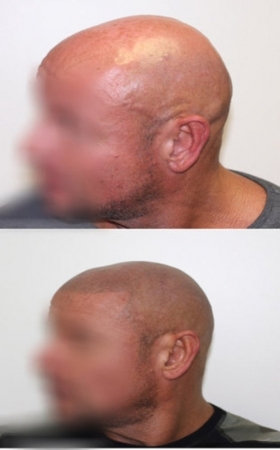 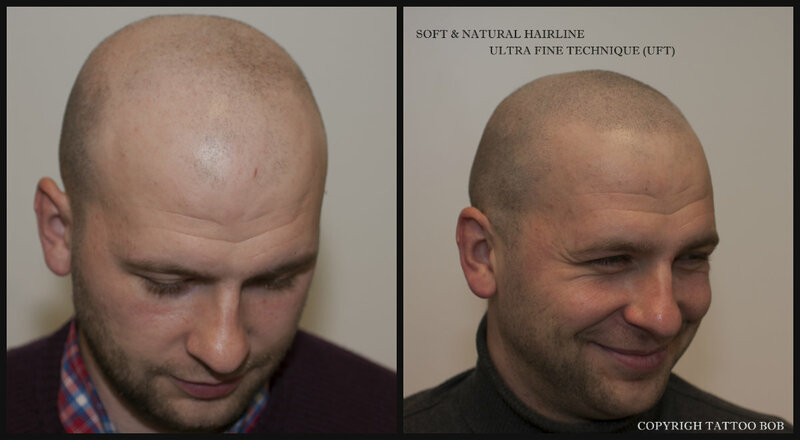 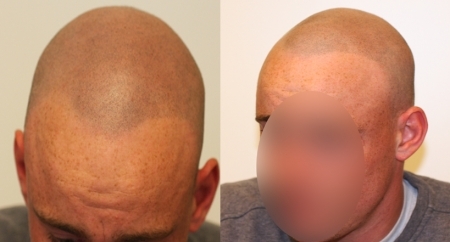 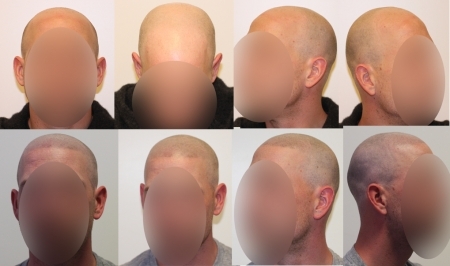 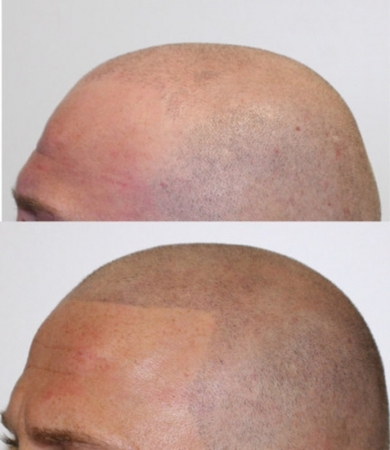 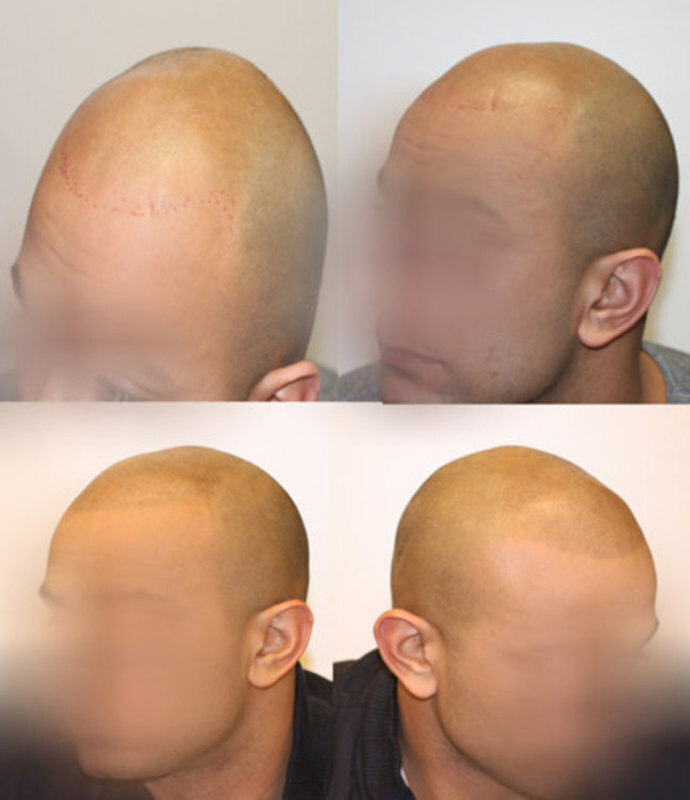 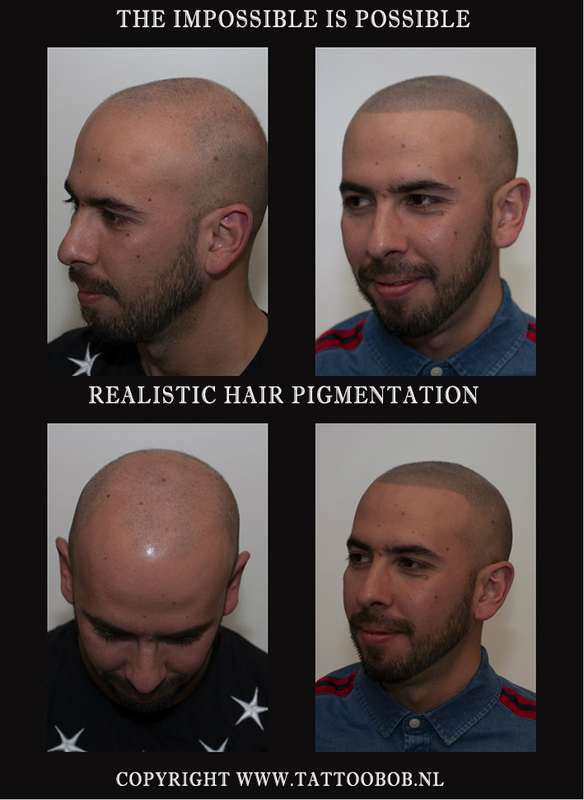 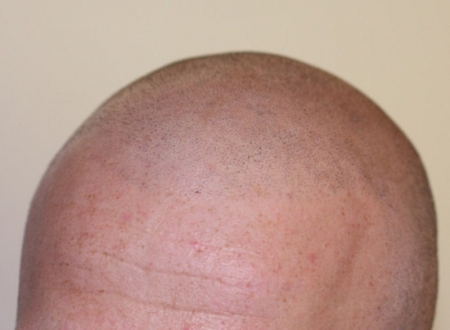 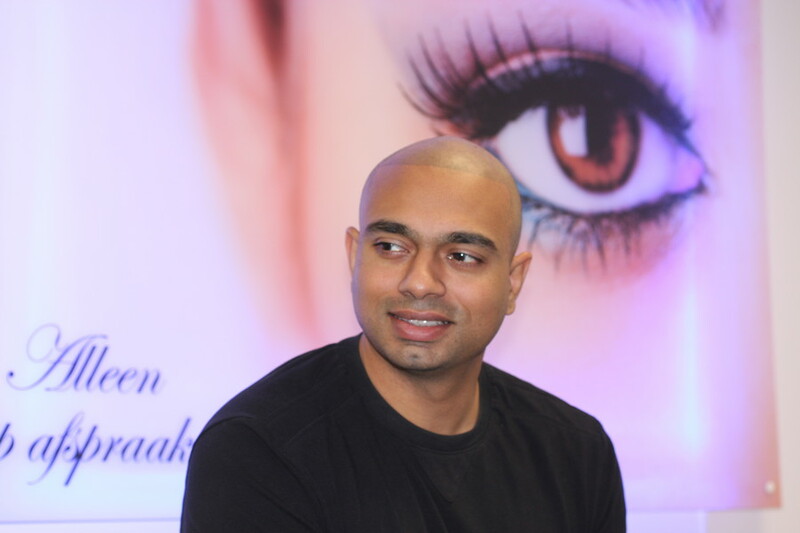 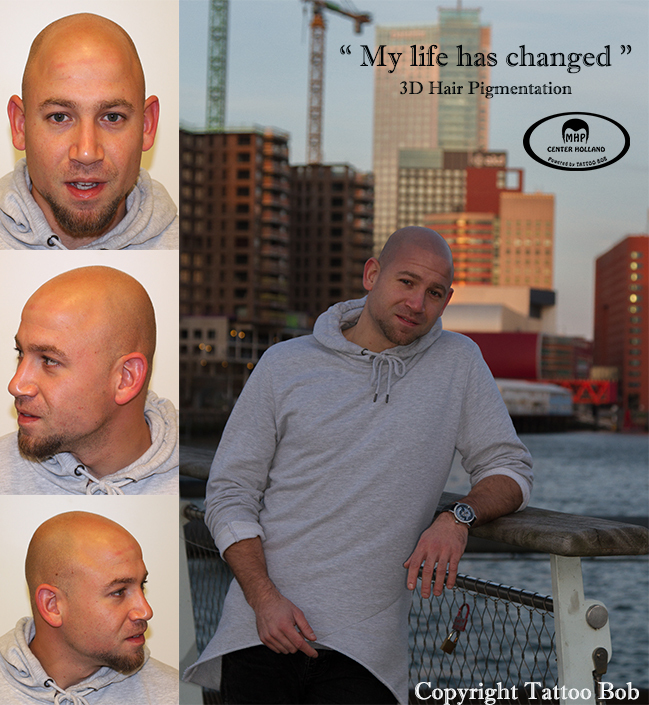 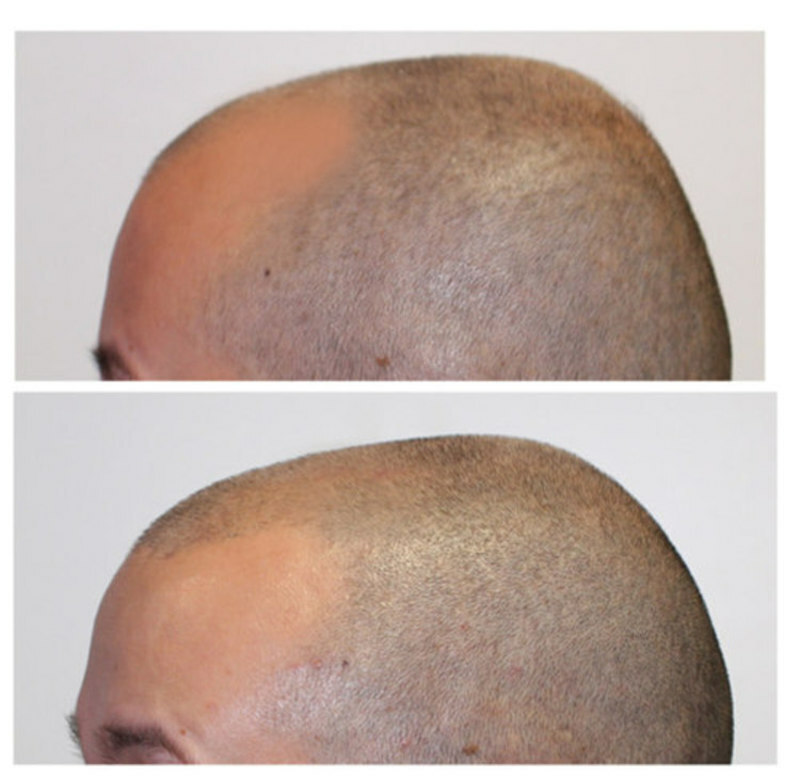 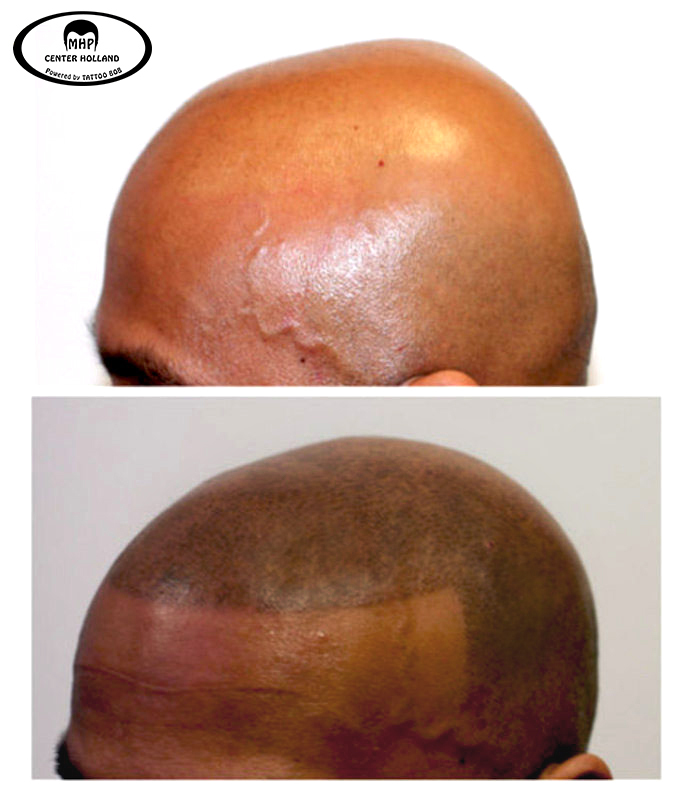 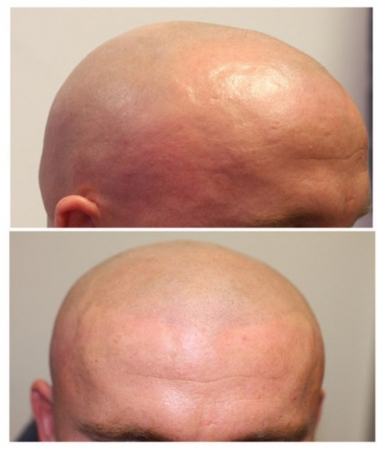 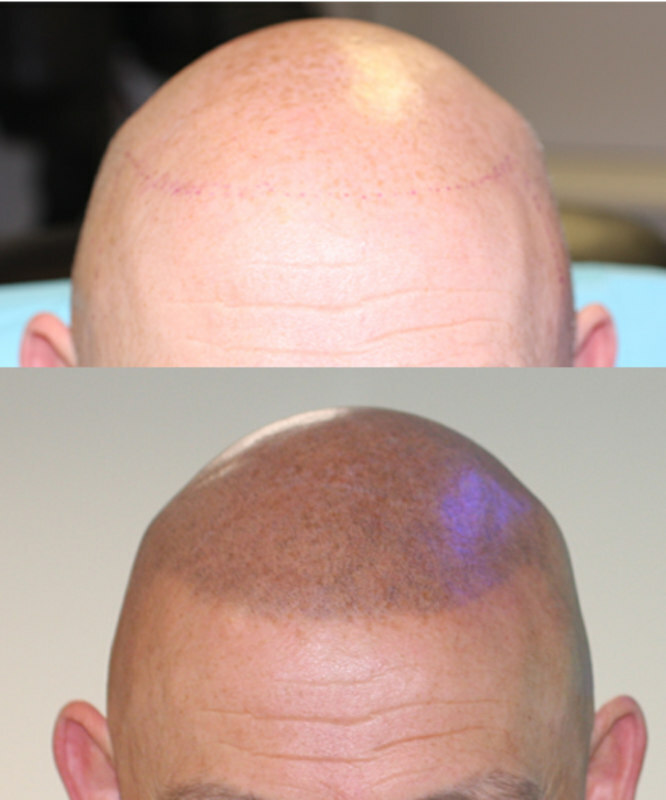 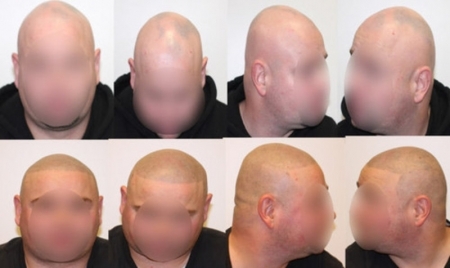 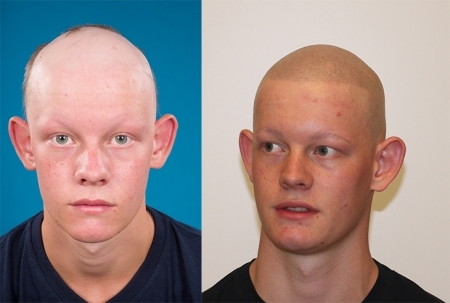 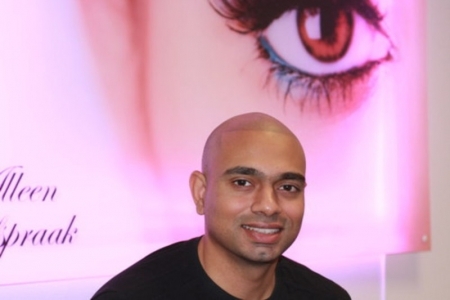 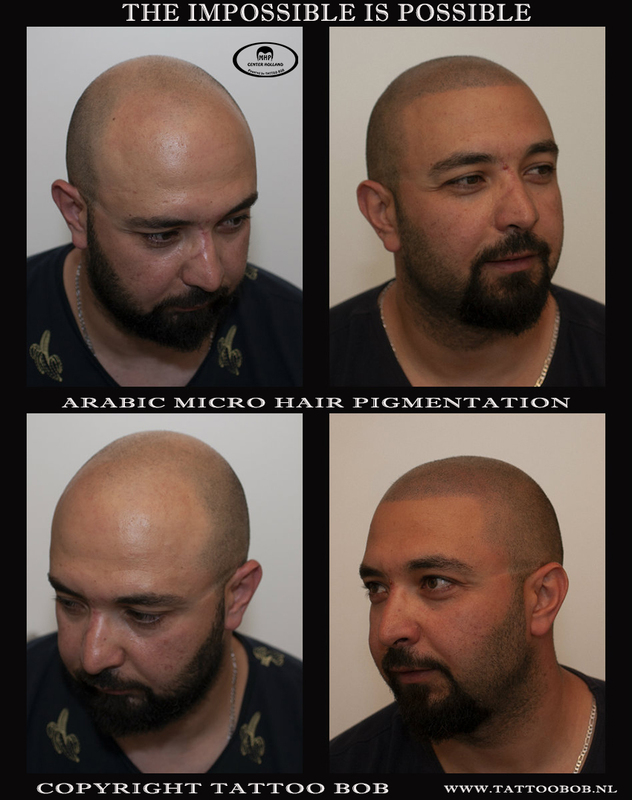 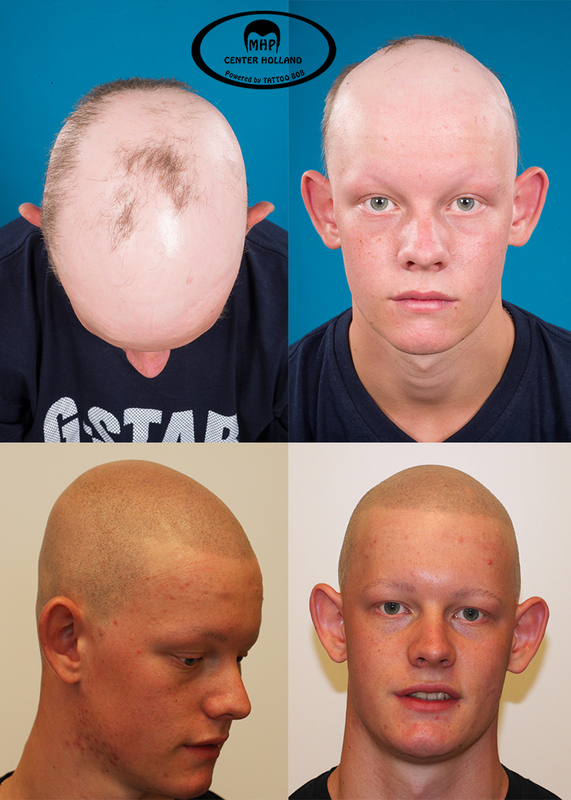 See the possibilities of Micro Hair Pigmentation for people with hair loss. See the possibilities of Micro Hair Pigmentation for people who wants to camouflage their scars. 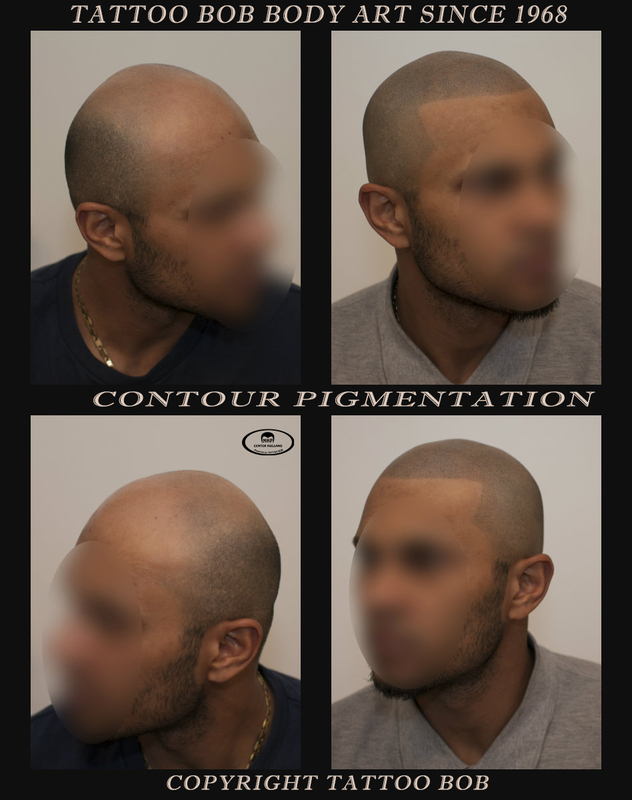 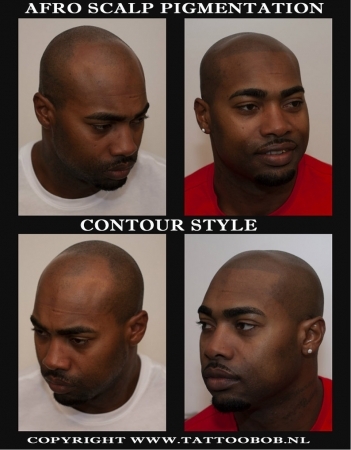 See what you have to keep in mind after a Micro Hair Pigmentation Treatment. 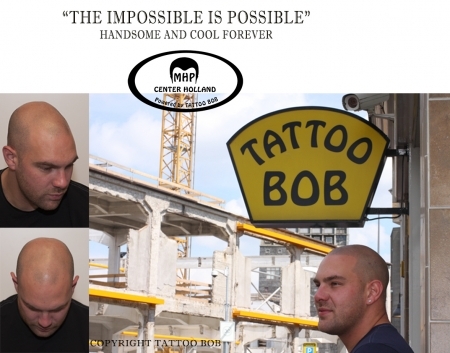 The stubble tattoo is intended to create a "shaven look" that looks as realistic as possible. 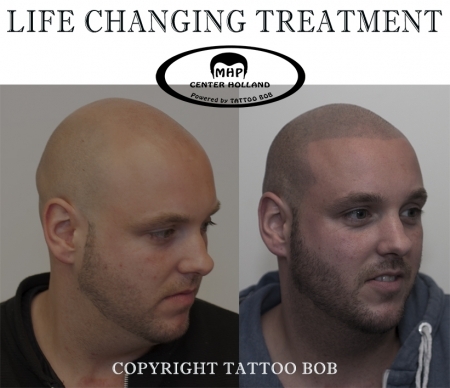 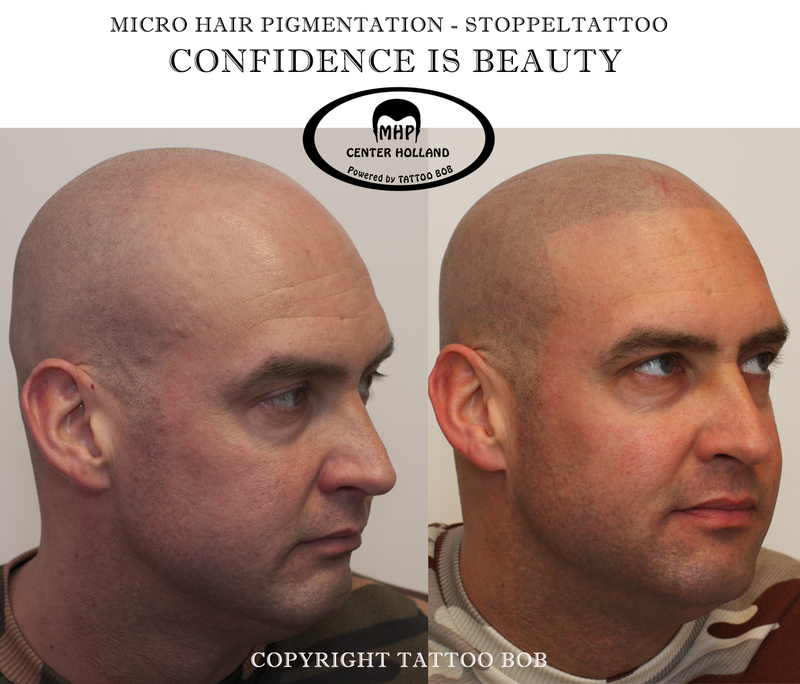 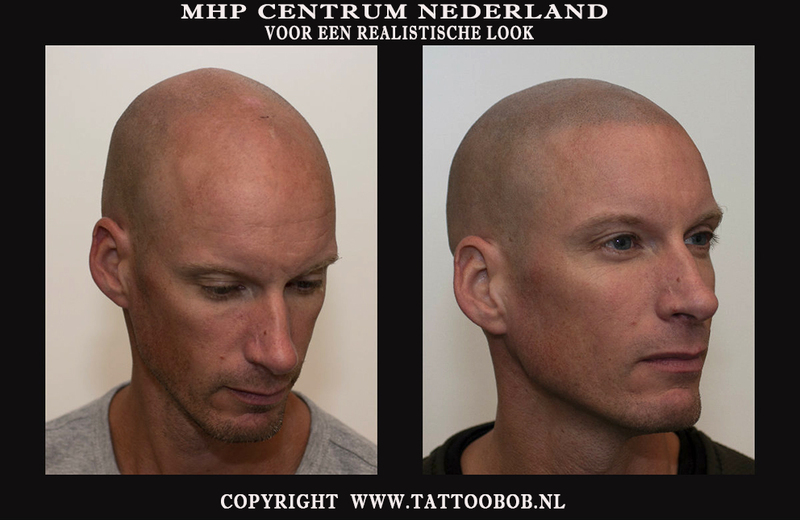 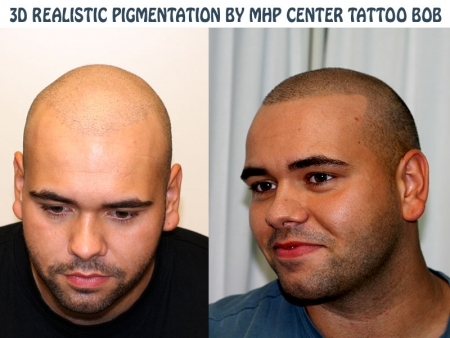 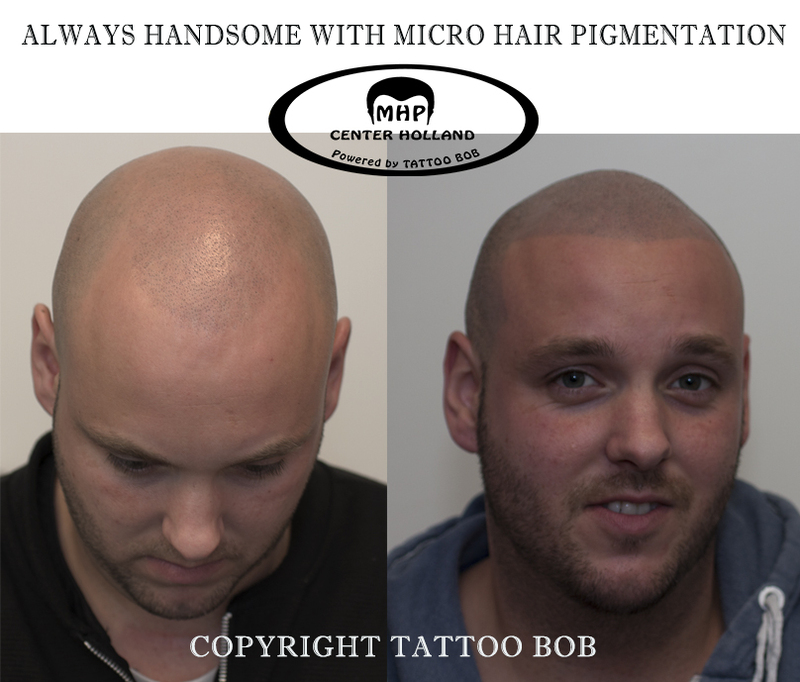 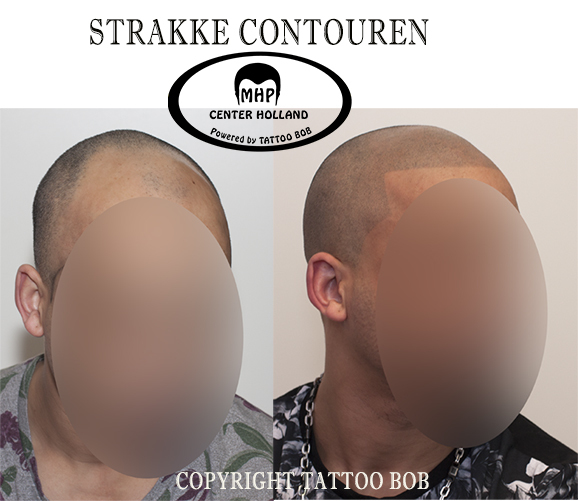 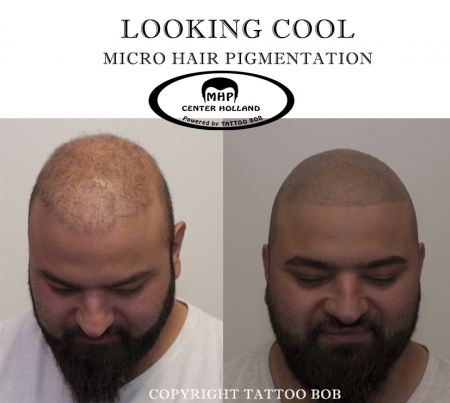 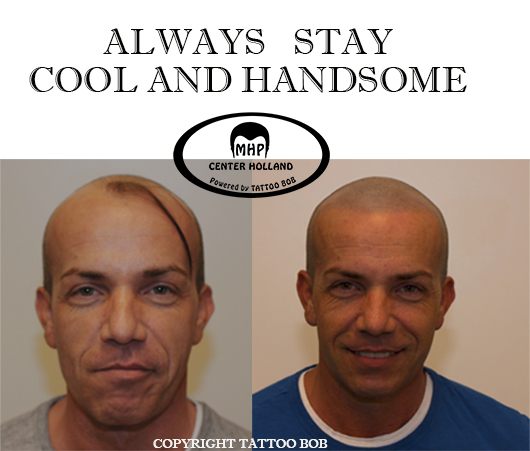 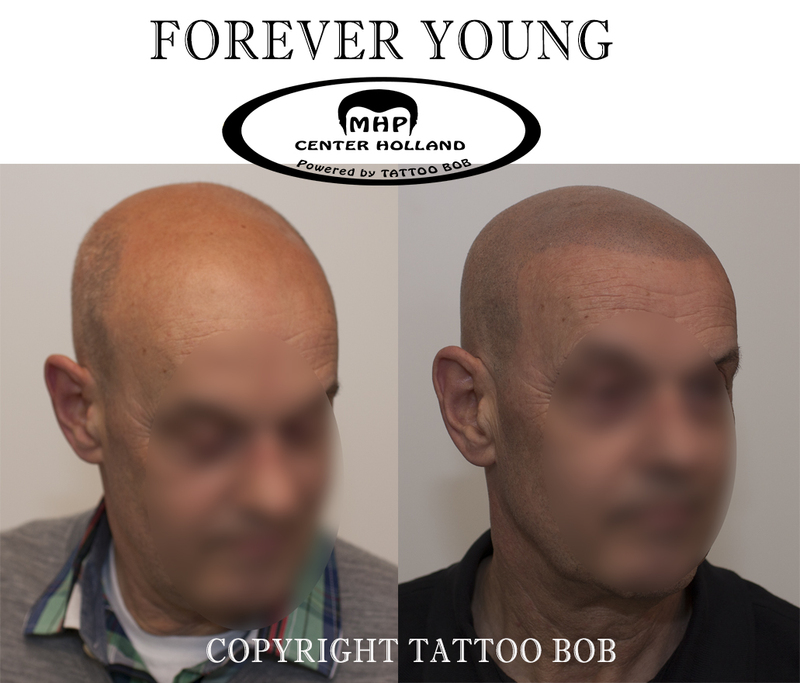 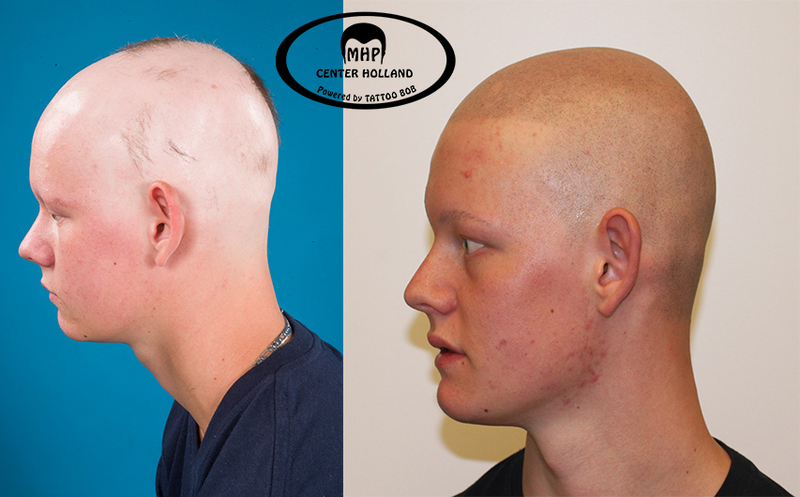 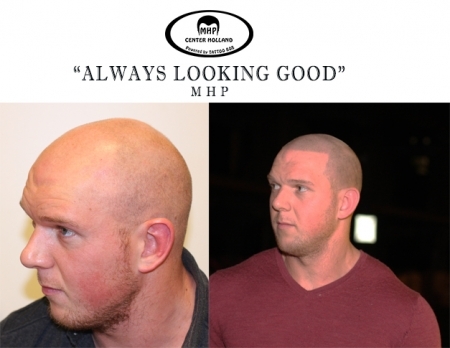 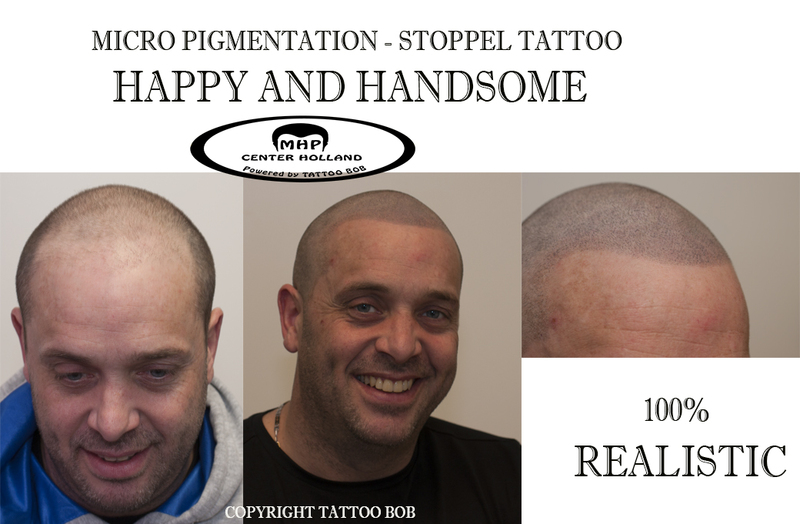 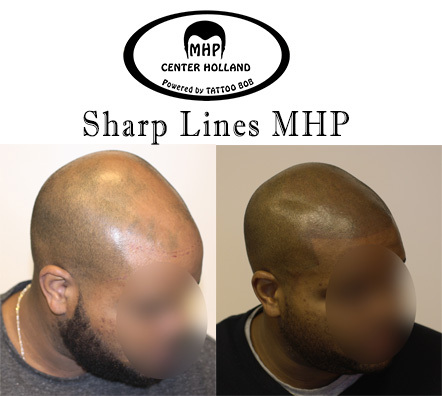 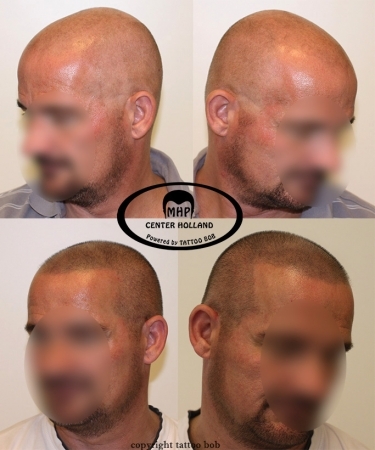 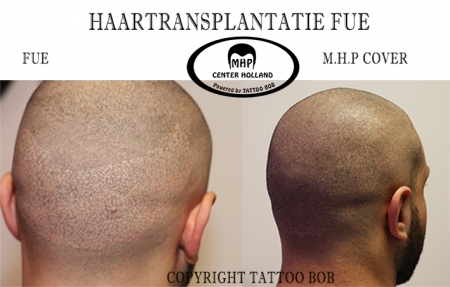 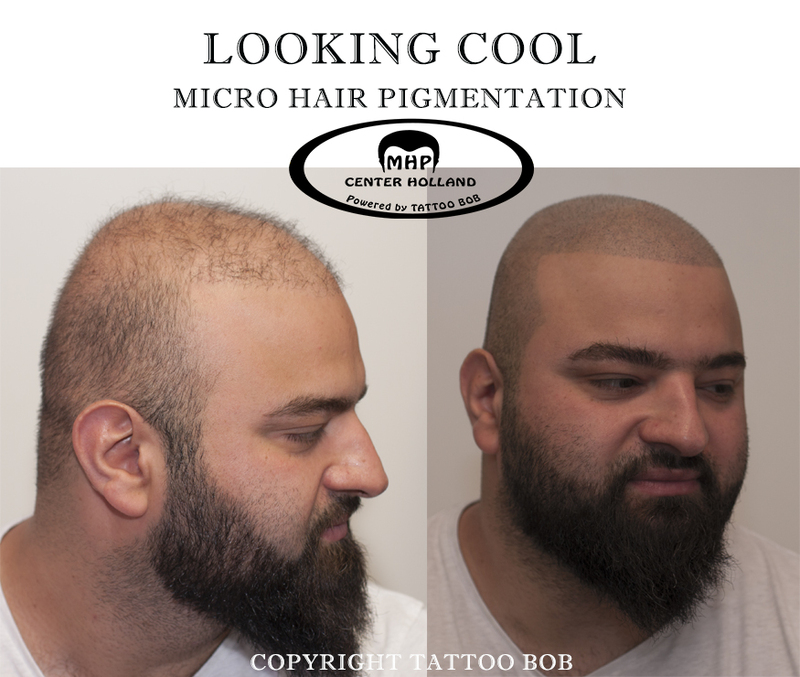 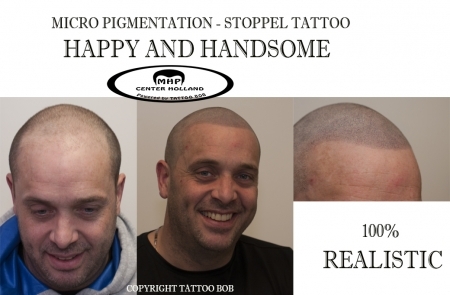 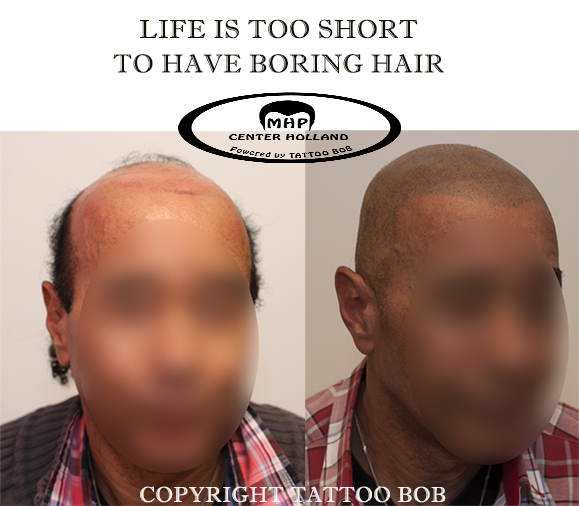 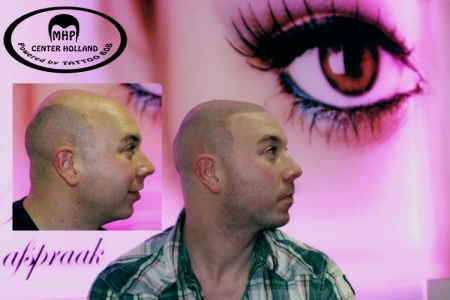 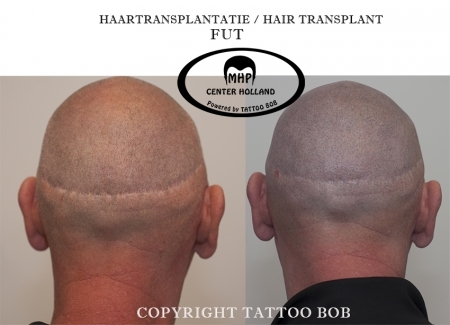 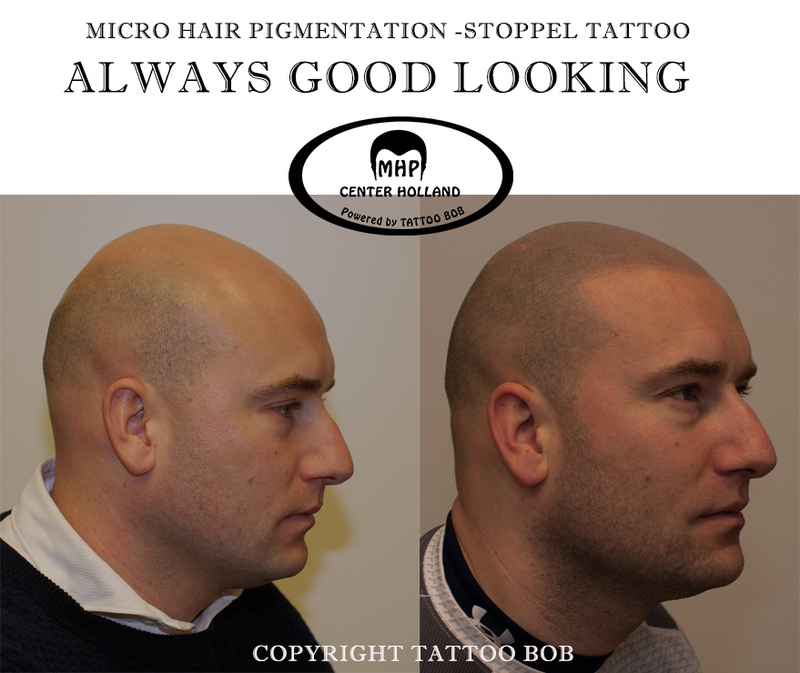 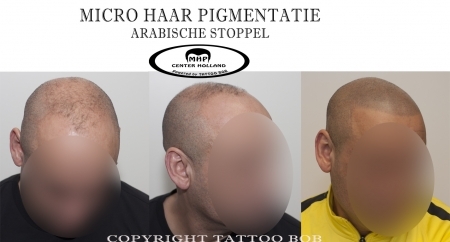 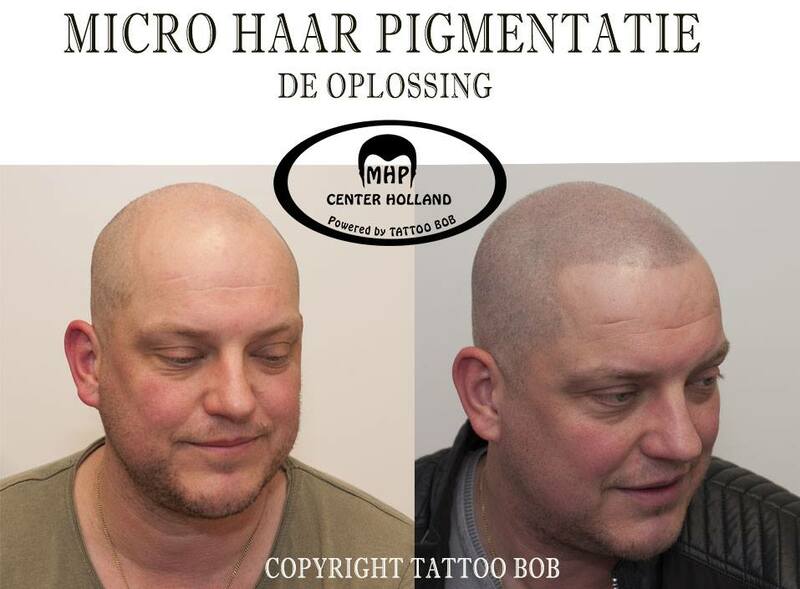 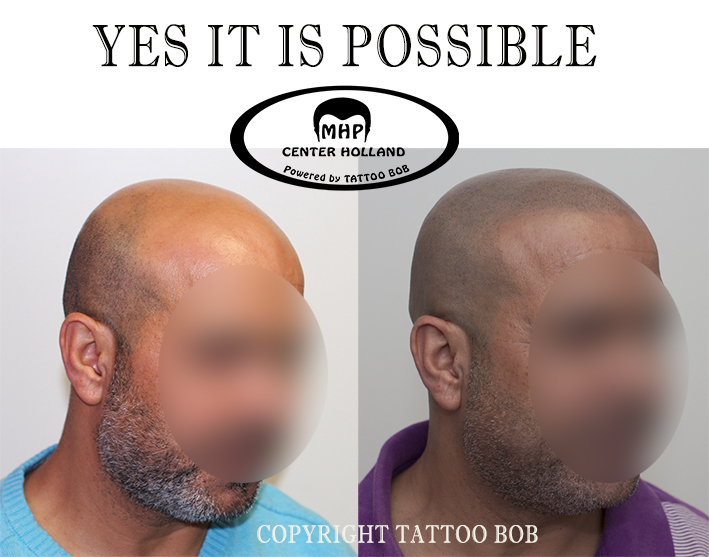 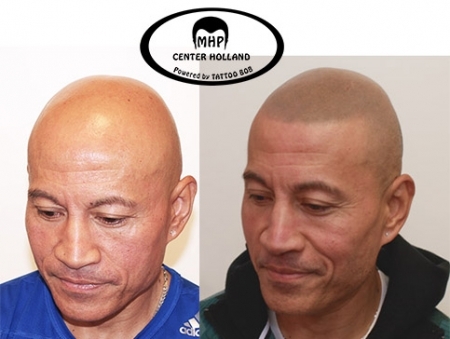 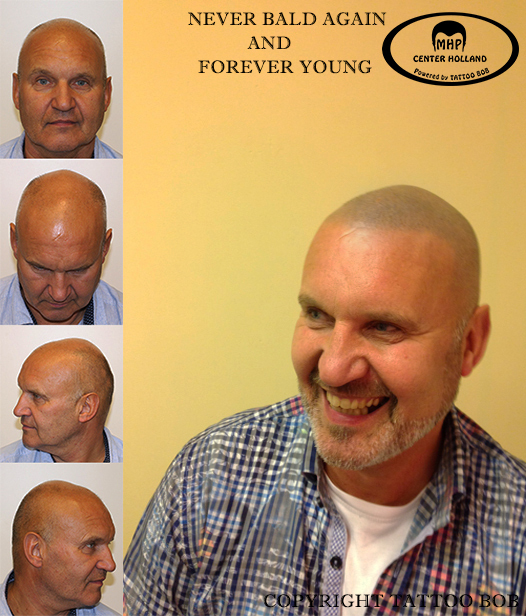 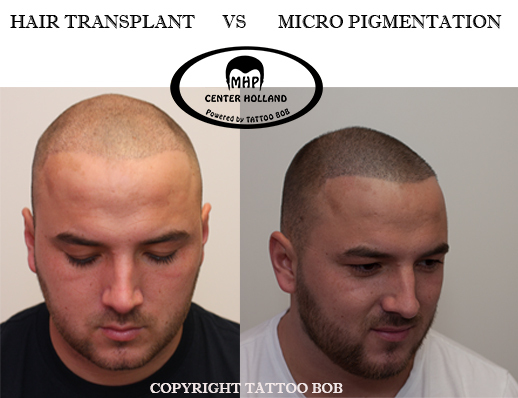 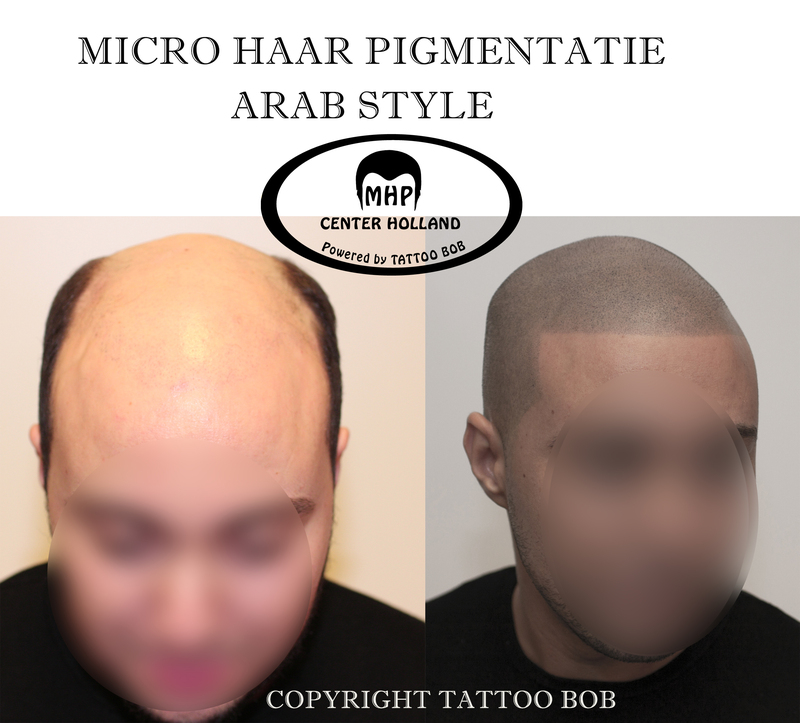 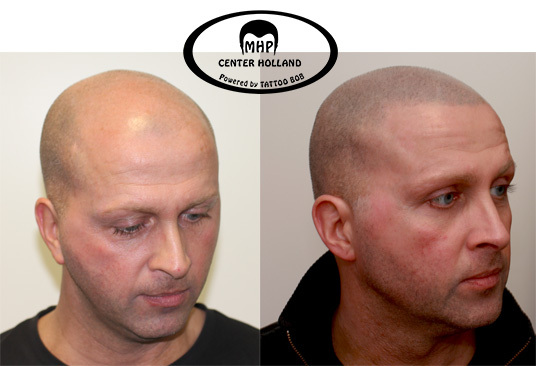 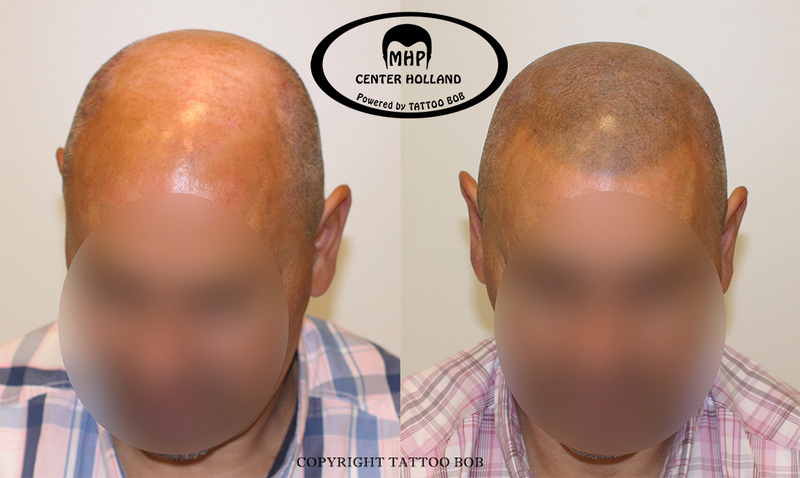 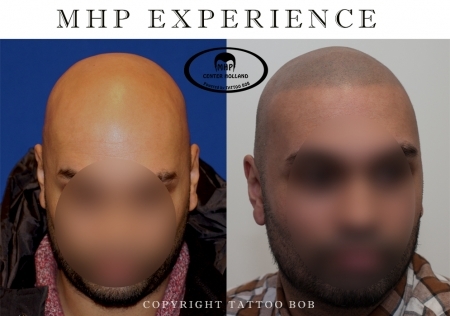 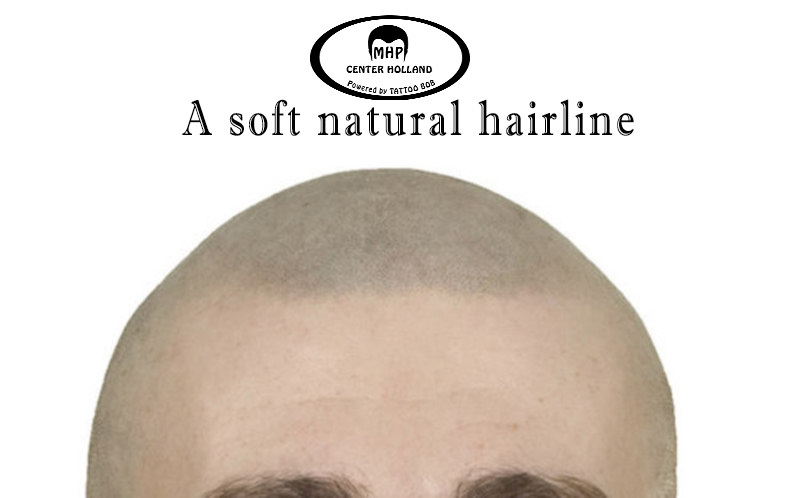 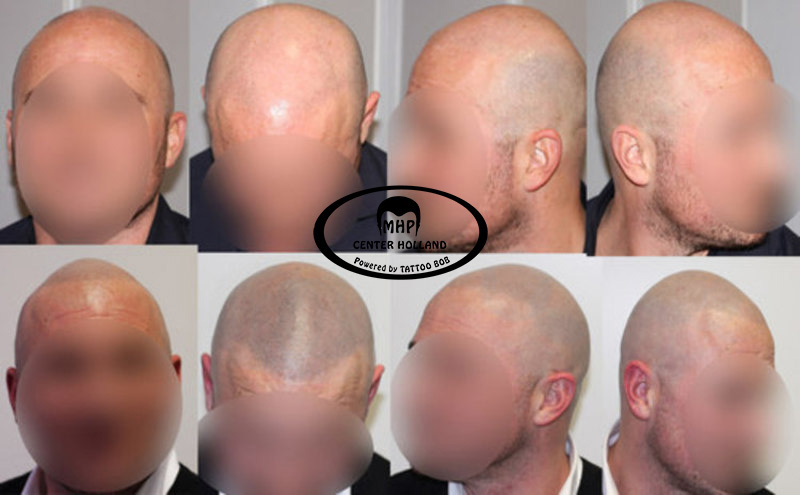 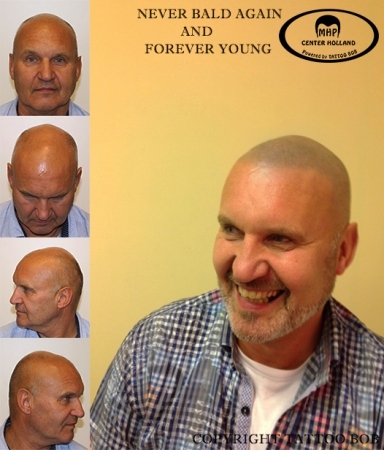 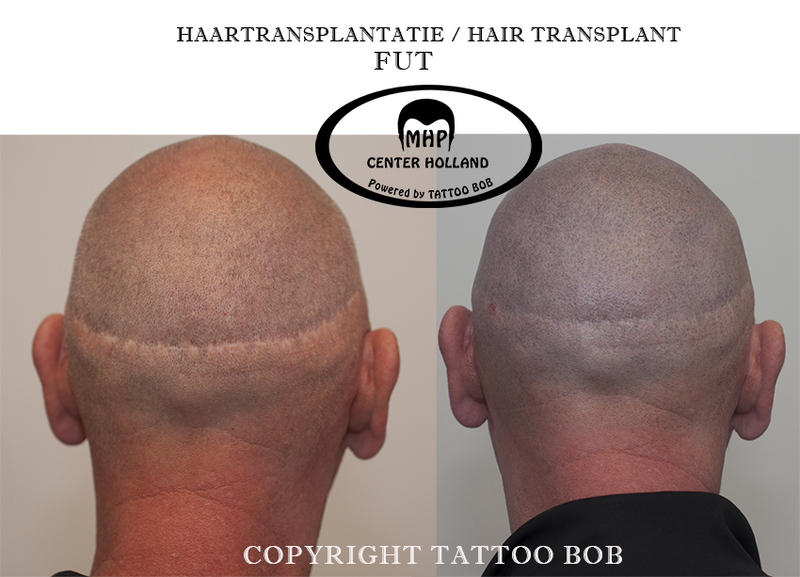 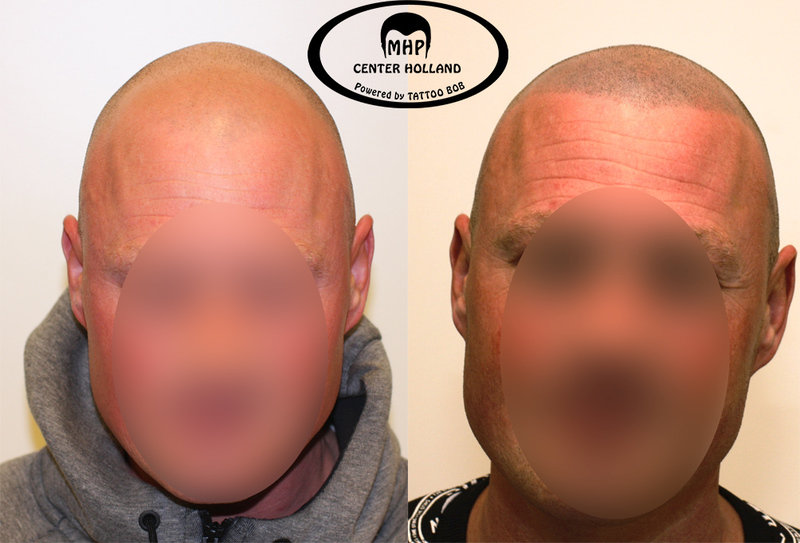 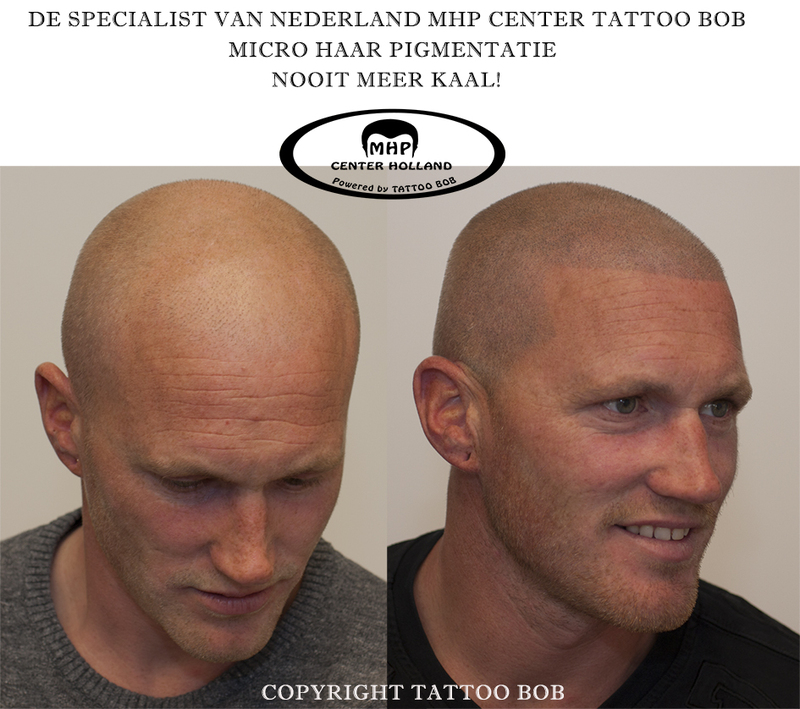 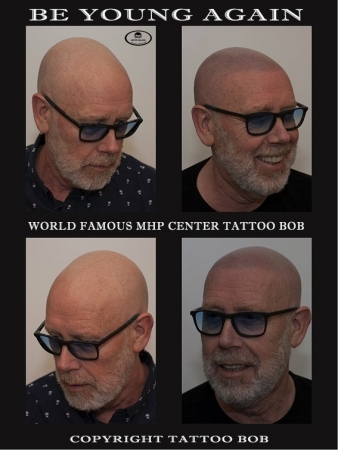 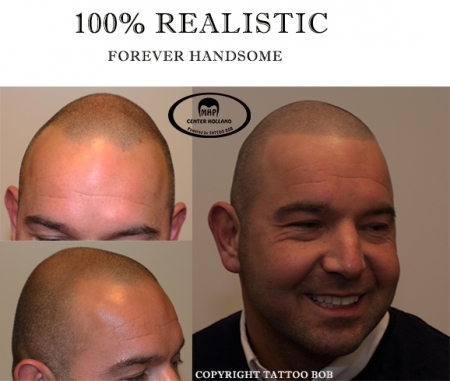 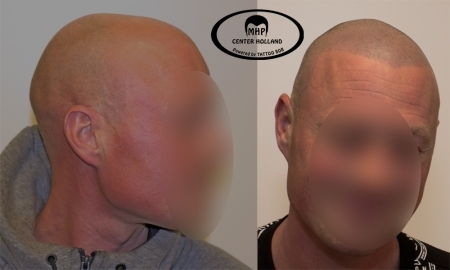 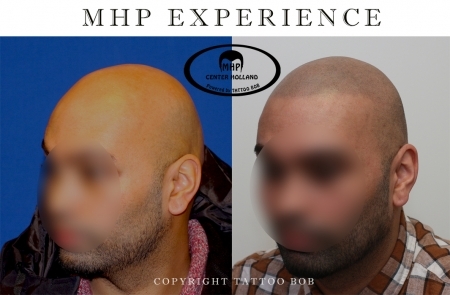 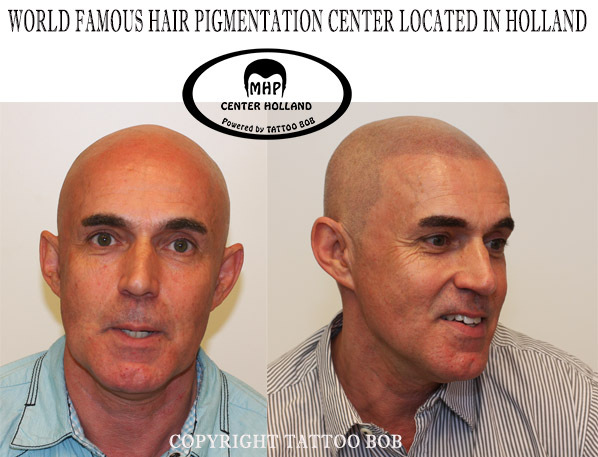 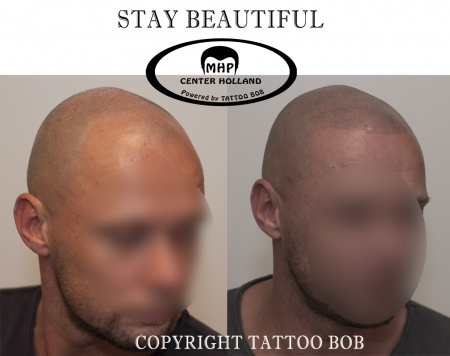 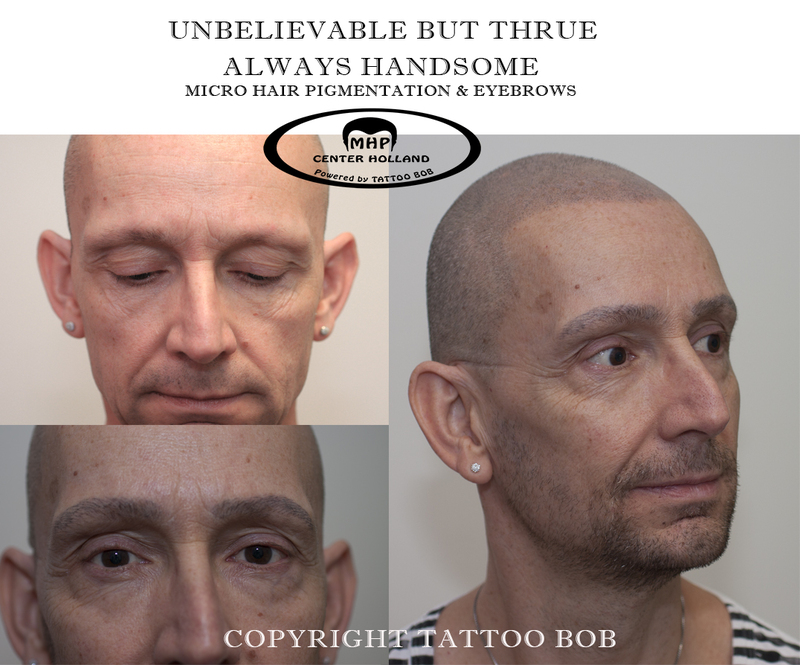 MHP Center Holland did not think that the standard technique to place a stubble tattoo which is used in many clinics in the Netherlands but also in the rest of the world, gave the best possible result. That is why MHP Center Holland has developed its own refined Ultra Fine Technique (UFT). 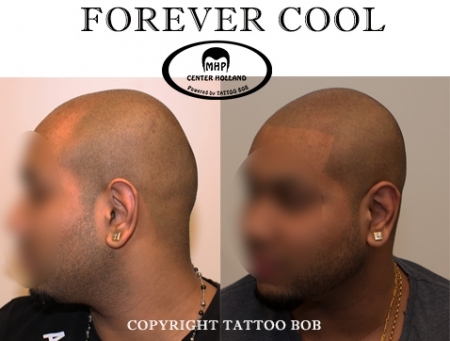 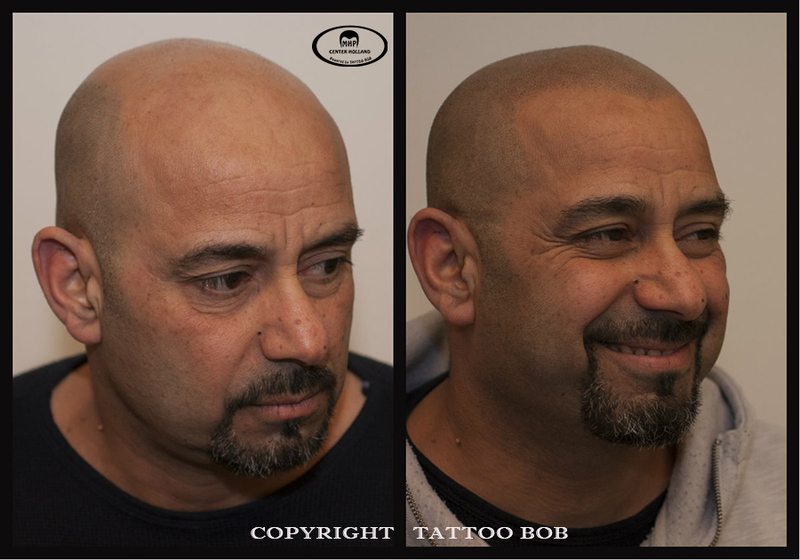 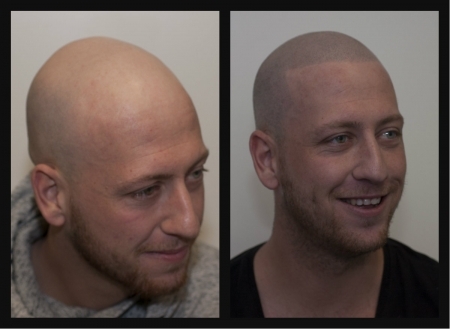 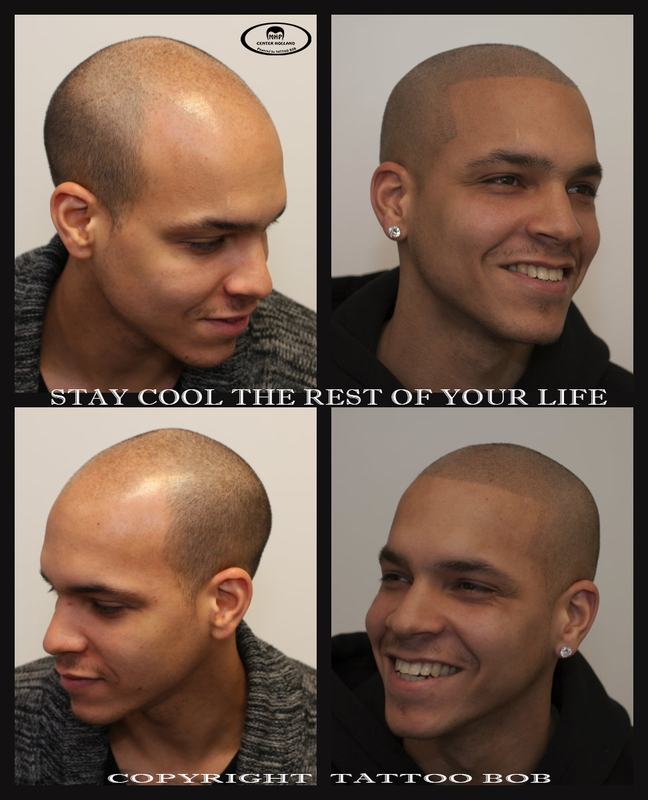 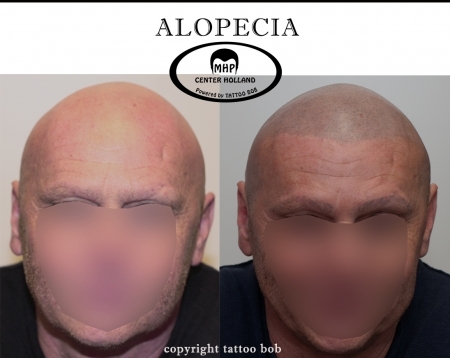 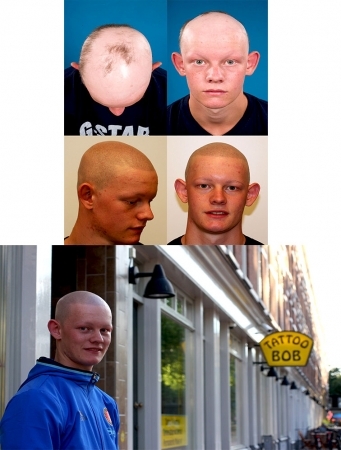 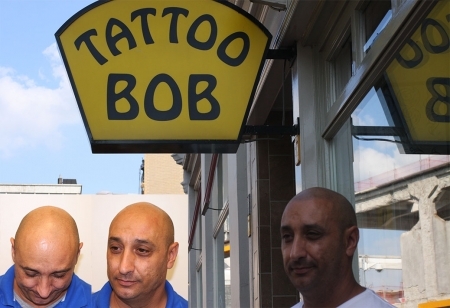 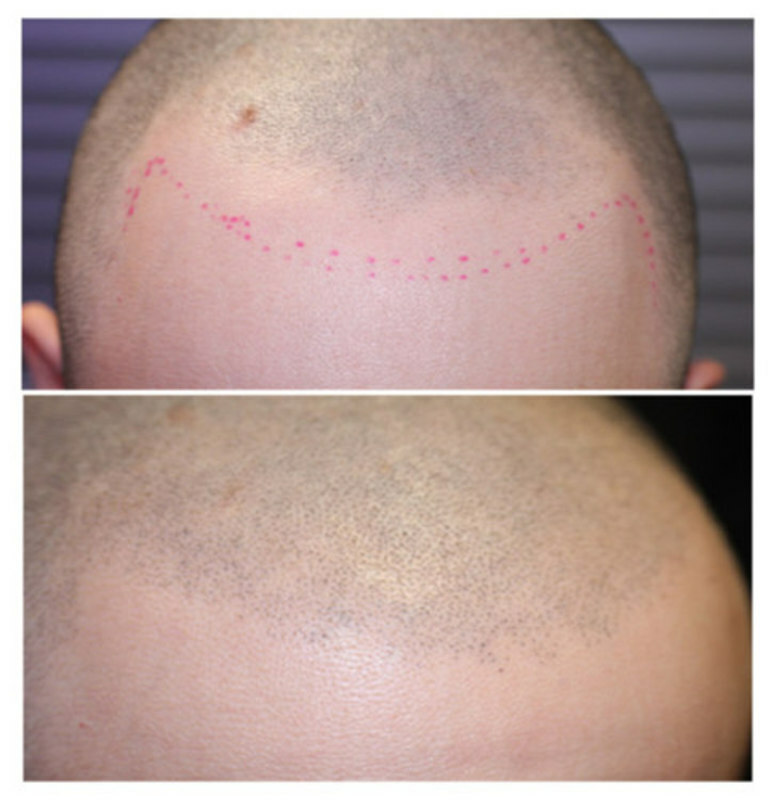 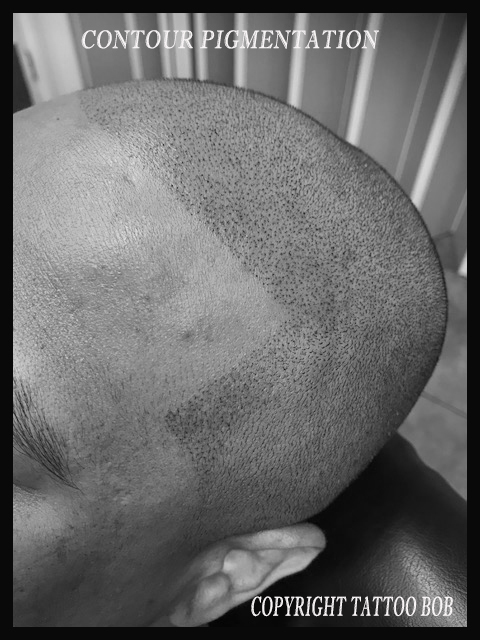 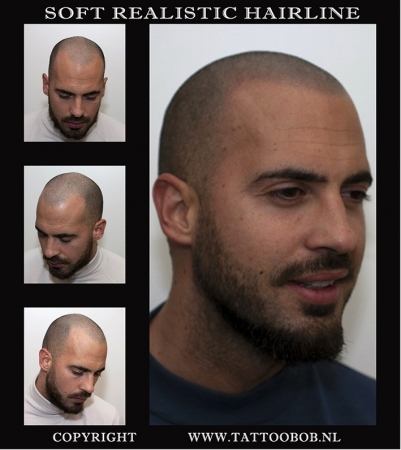 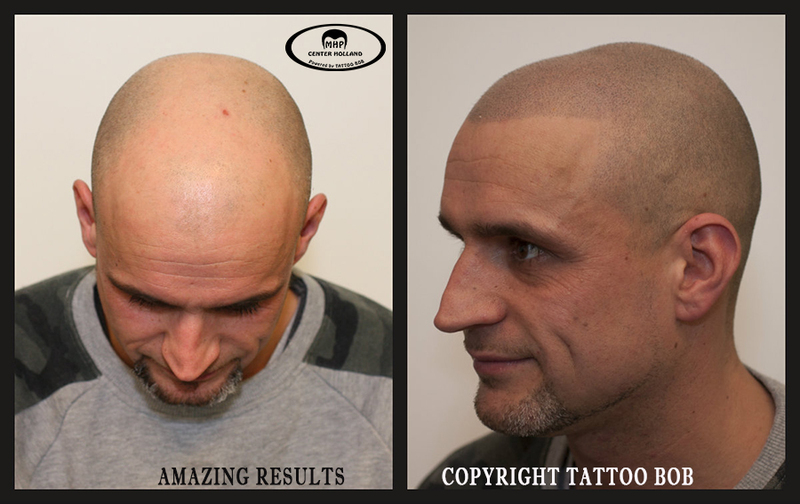 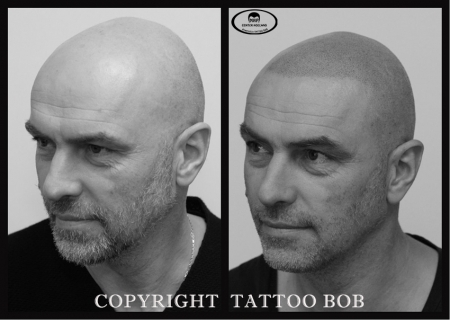 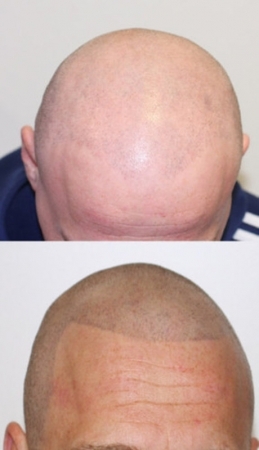 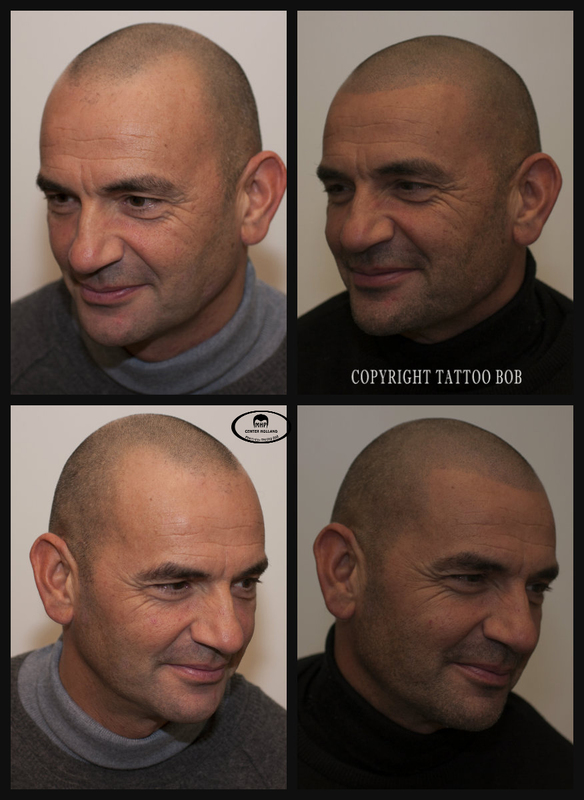 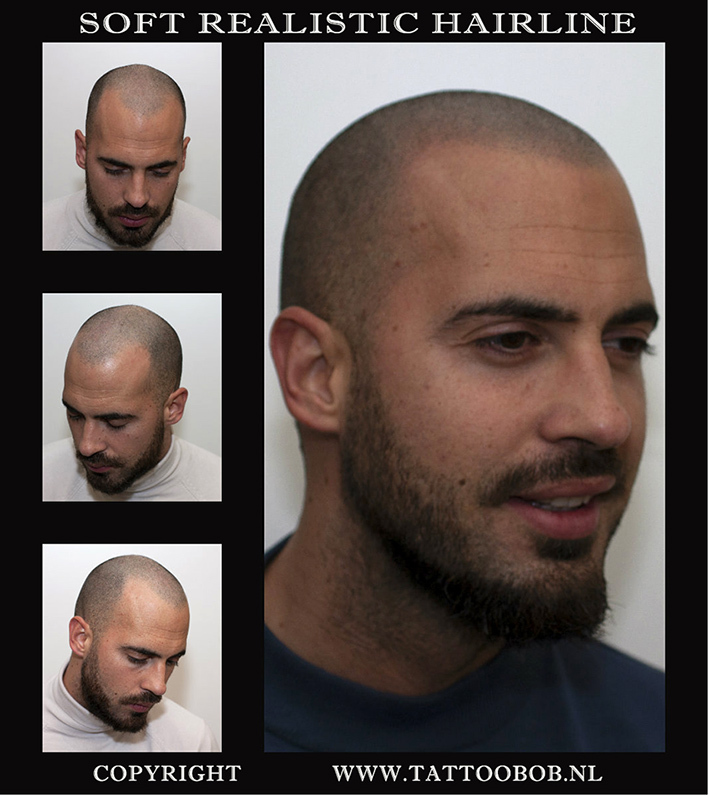 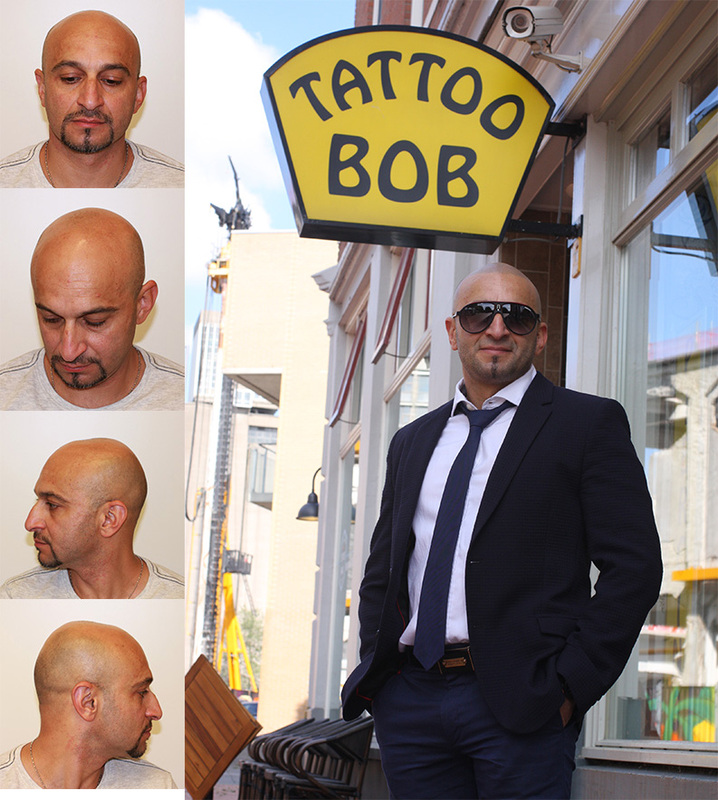 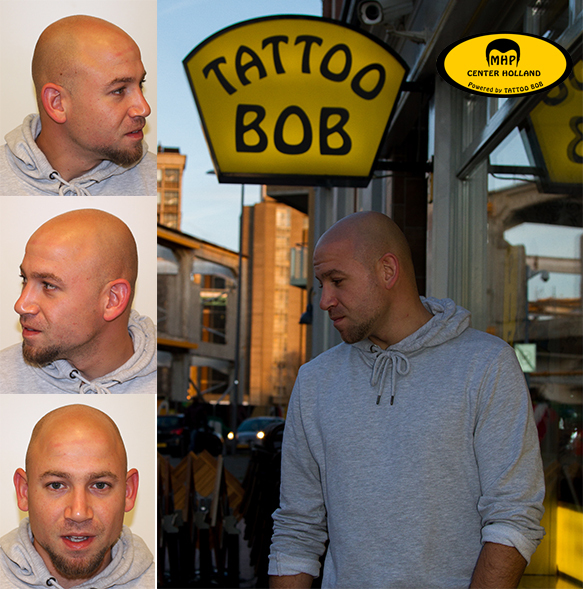 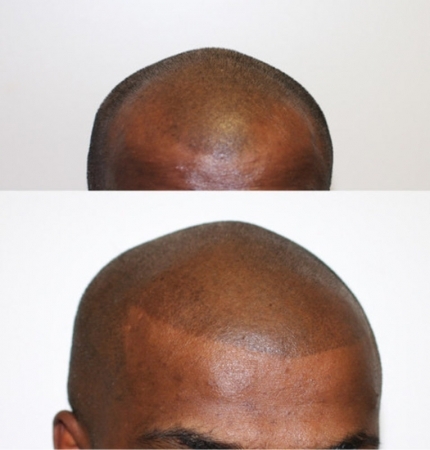 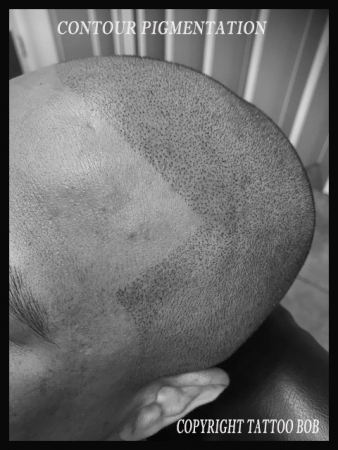 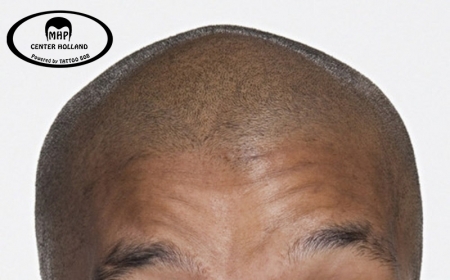 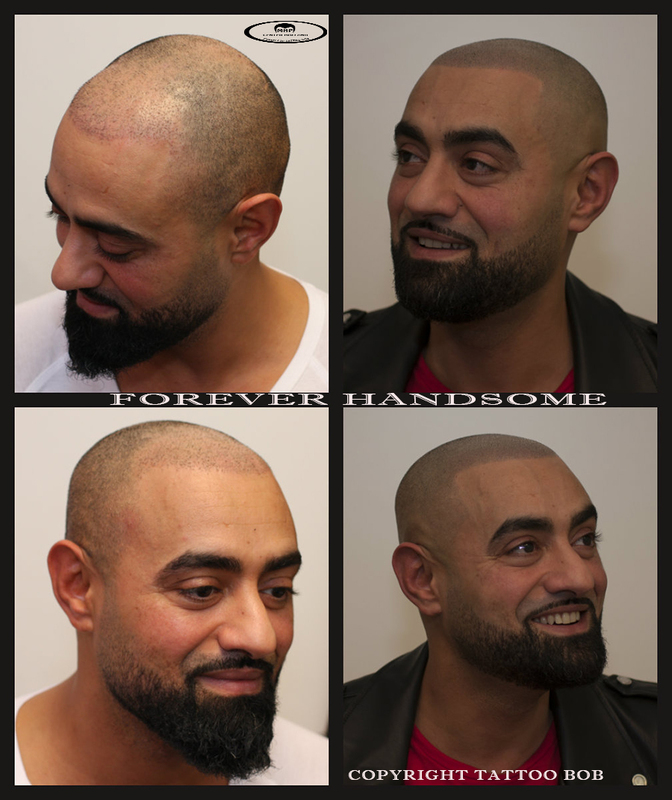 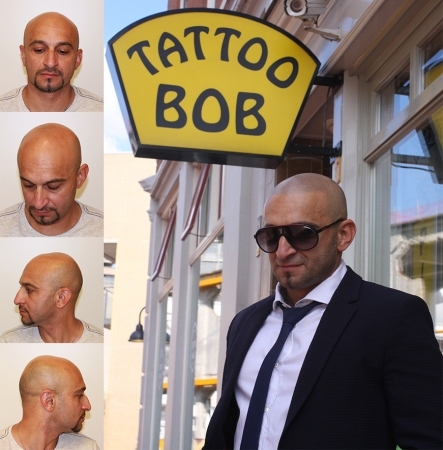 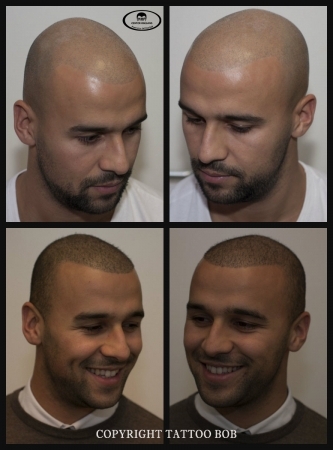 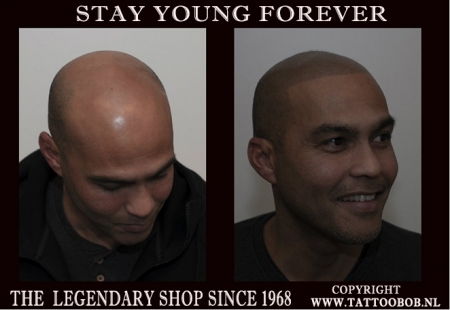 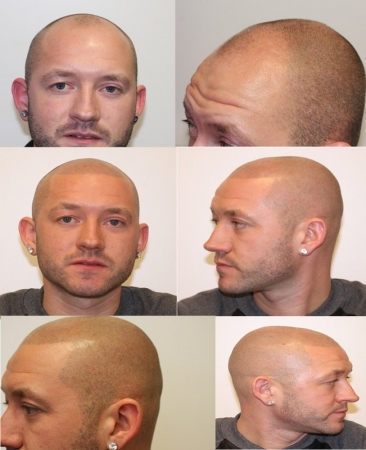 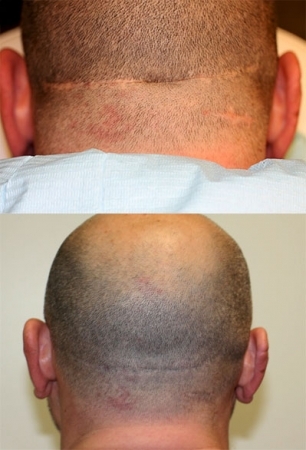 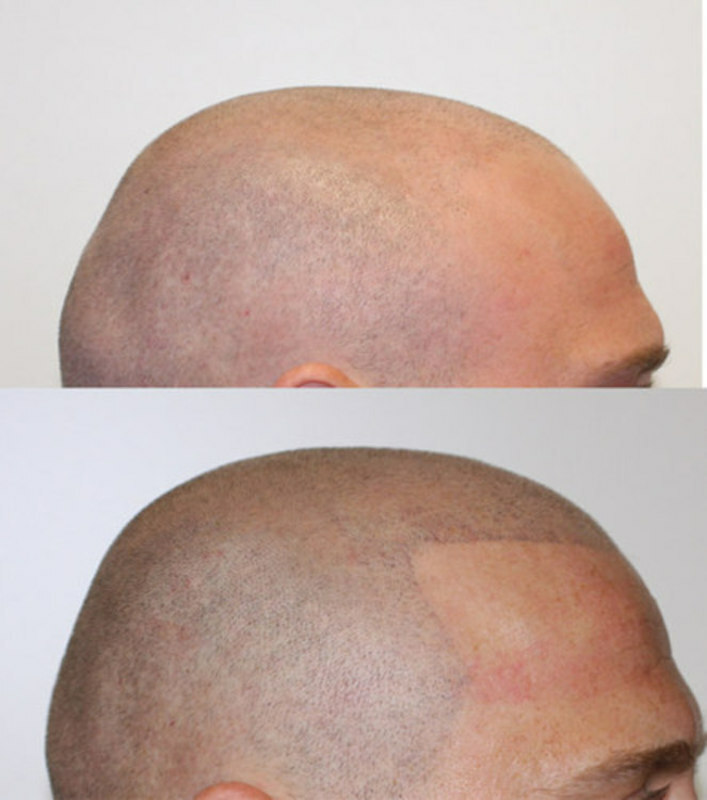 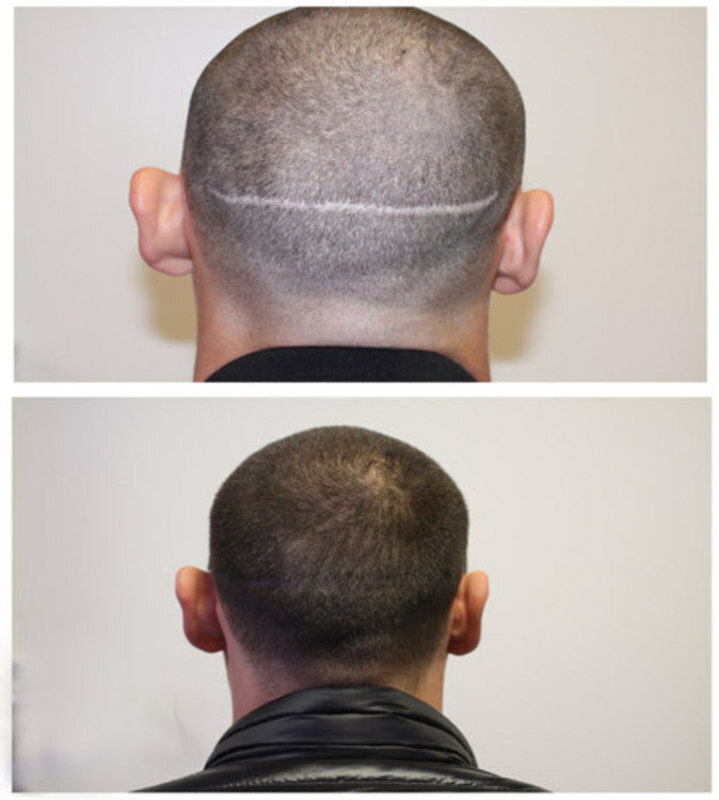 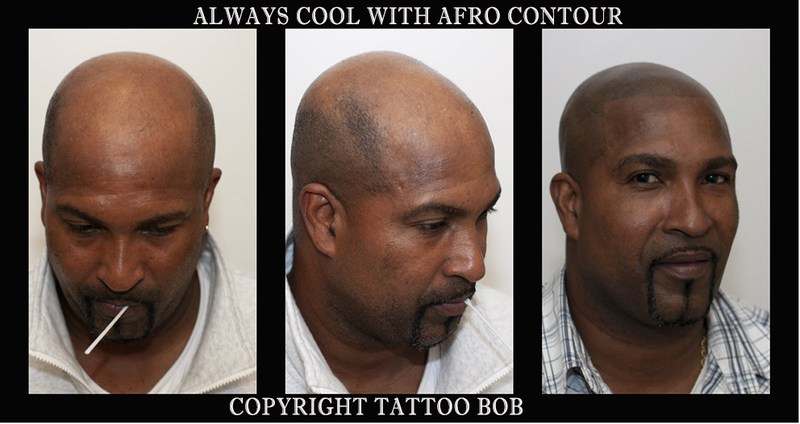 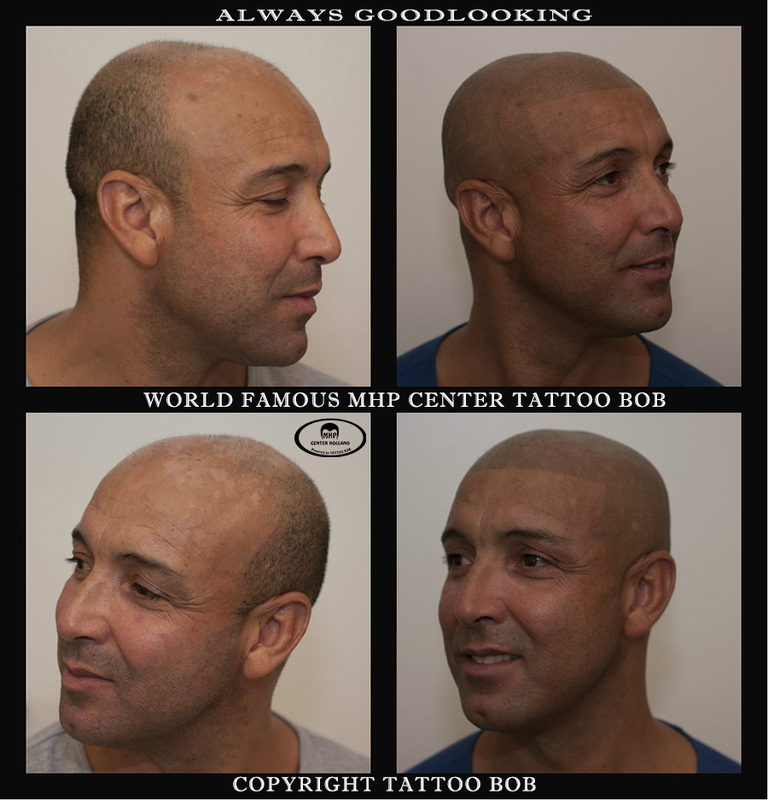 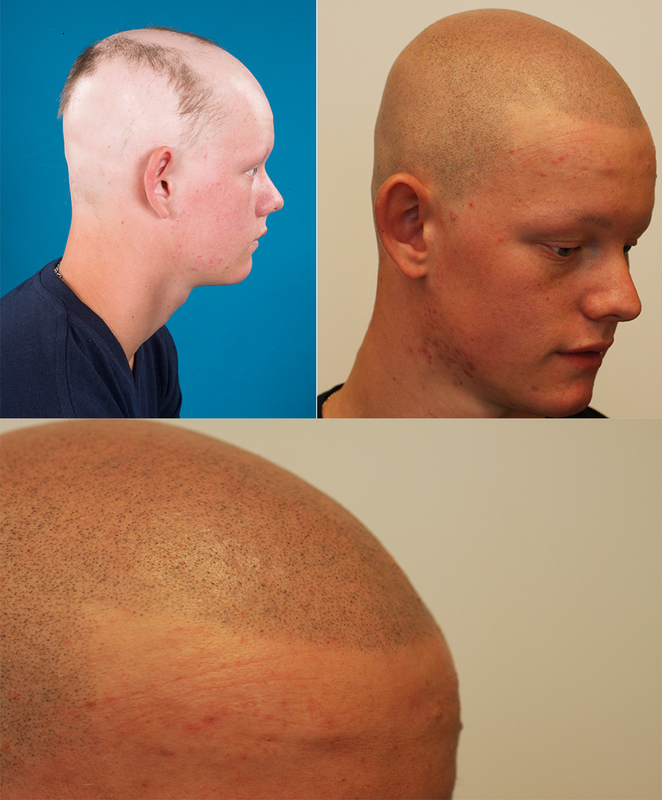 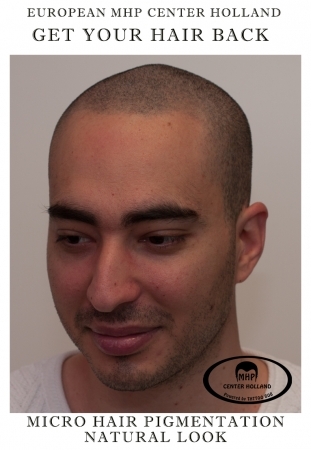 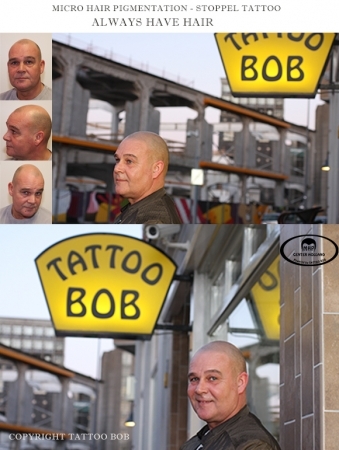 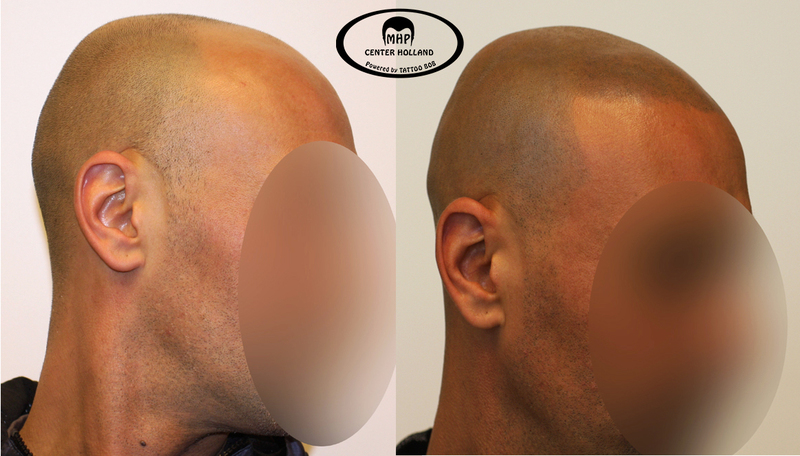 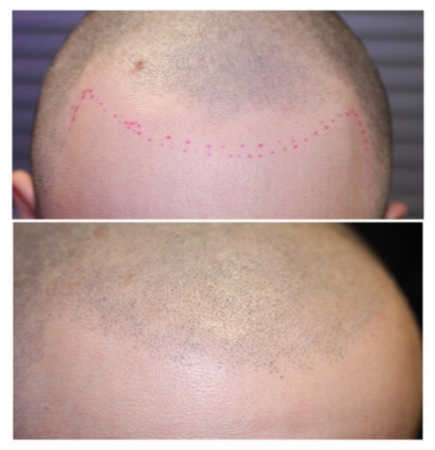 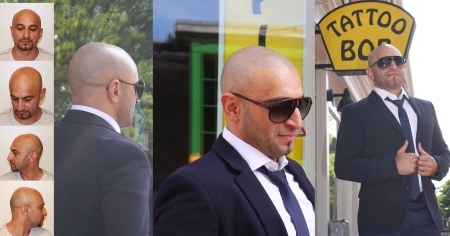 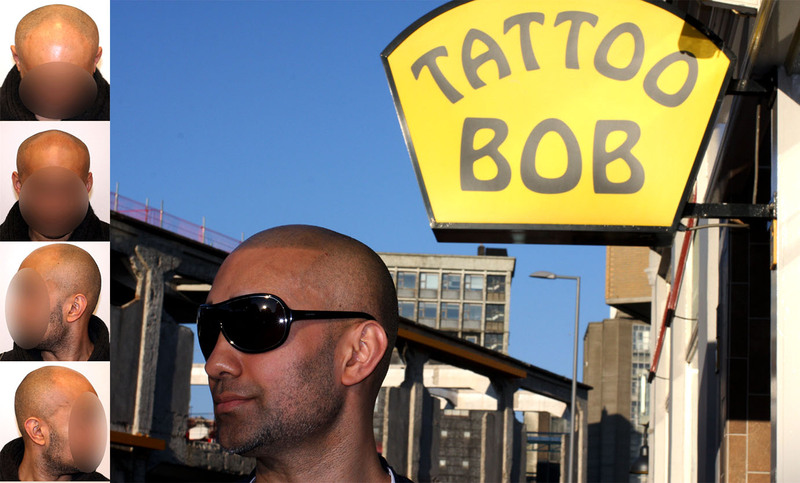 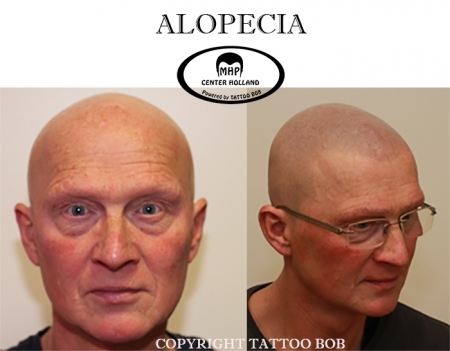 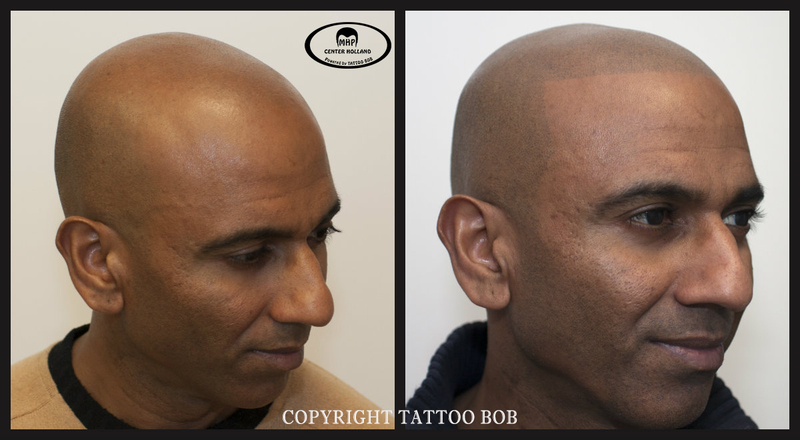 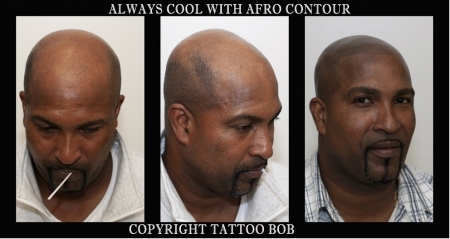 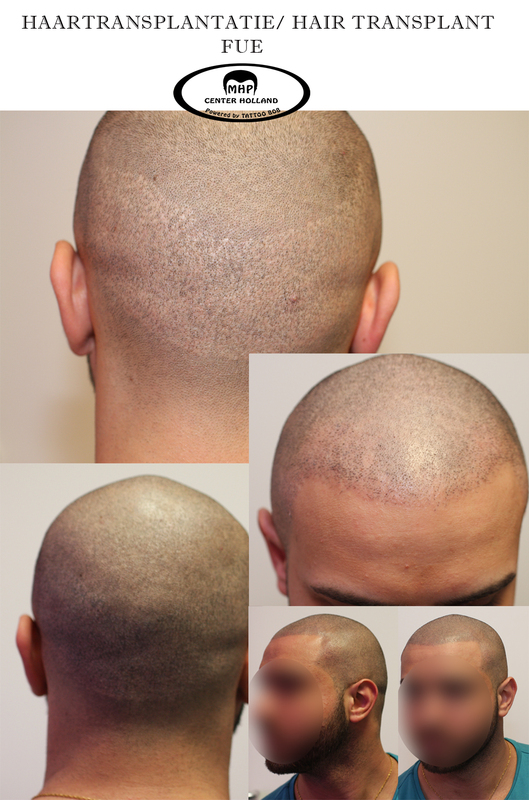 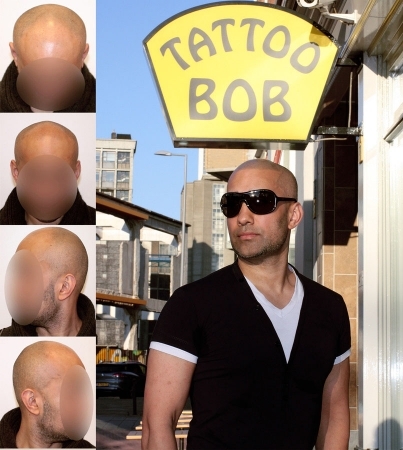 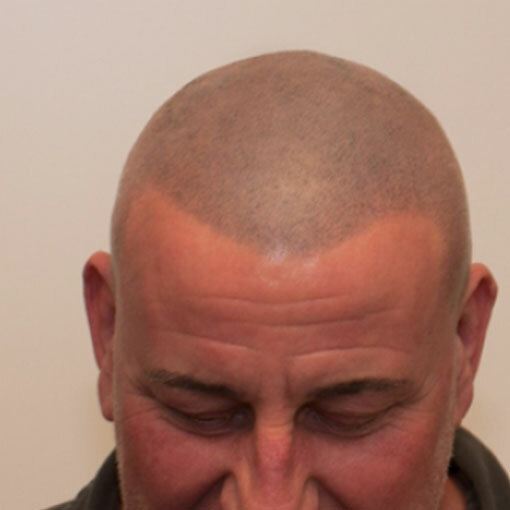 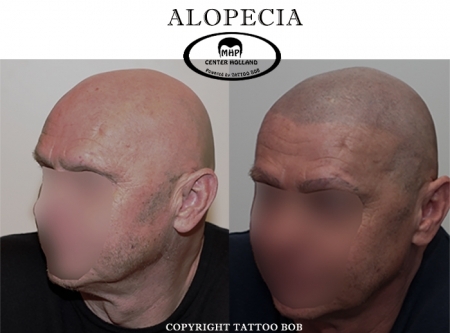 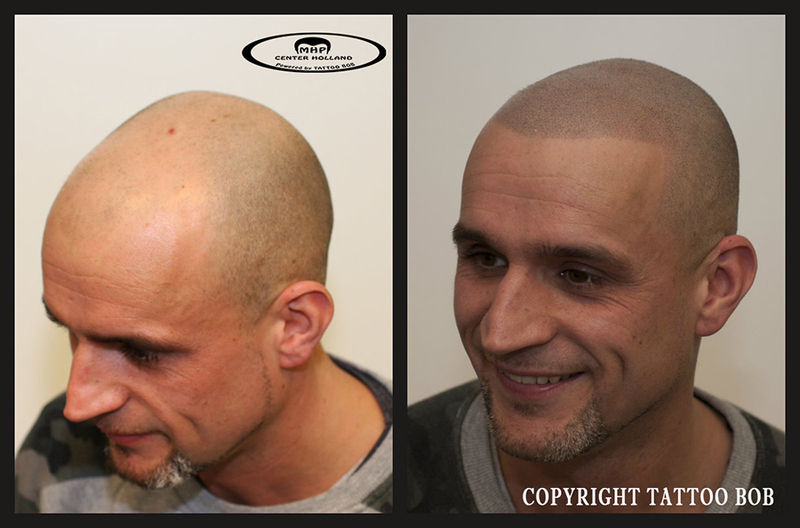 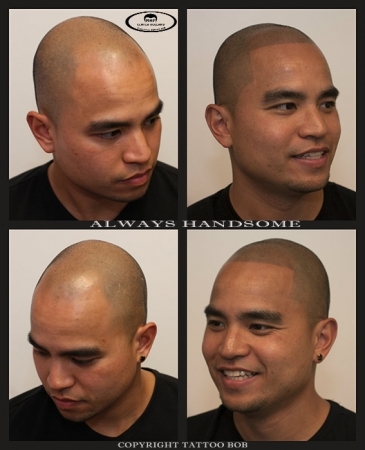 For a stubble tattoo, stubbles are tattooed on the scalp using special equipment and specially developed permanent ink. These stubbles are tattooed in such a realistic way that they appear natural to the naked eye. 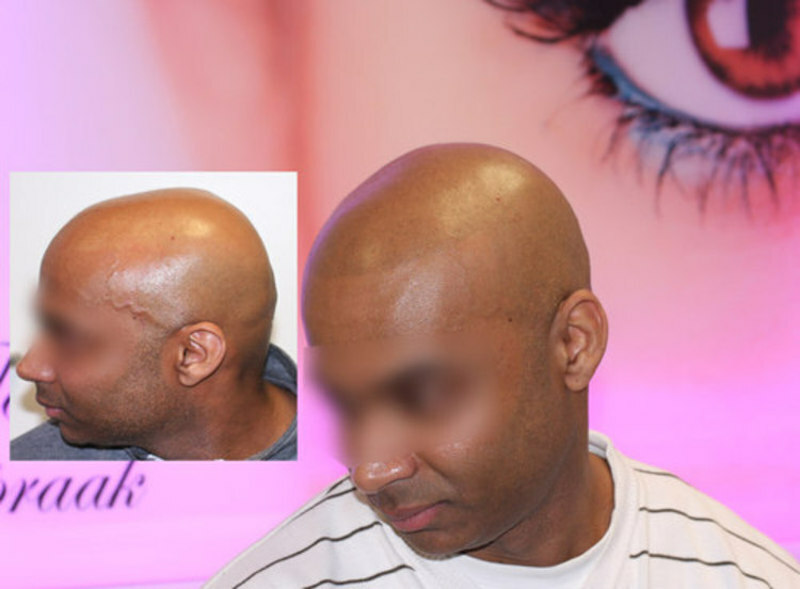 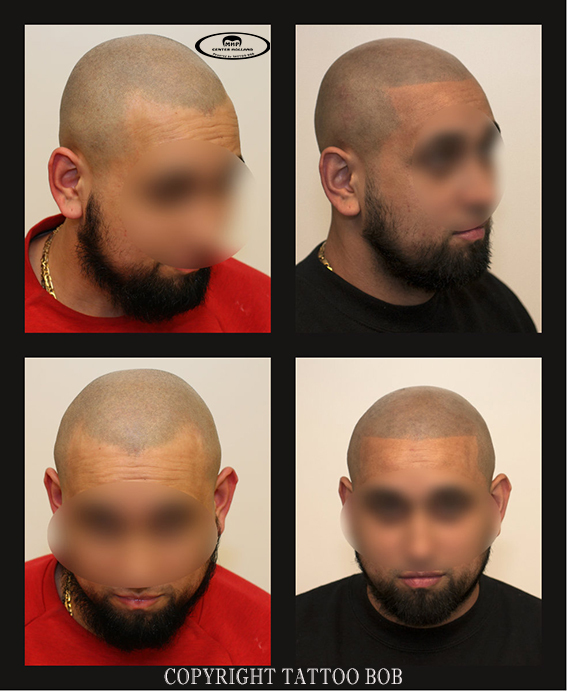 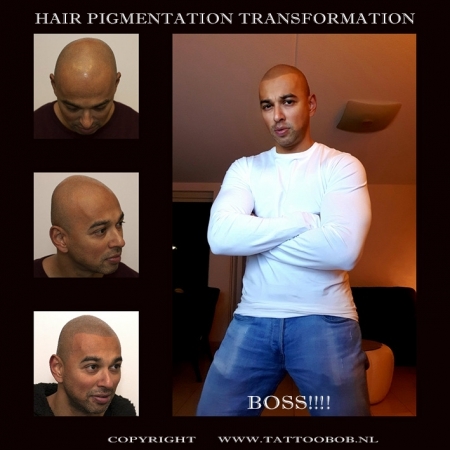 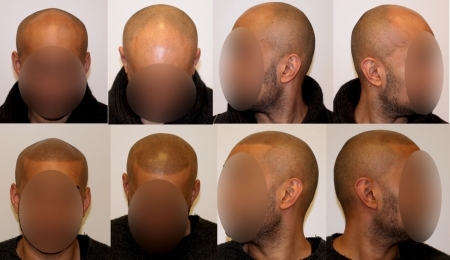 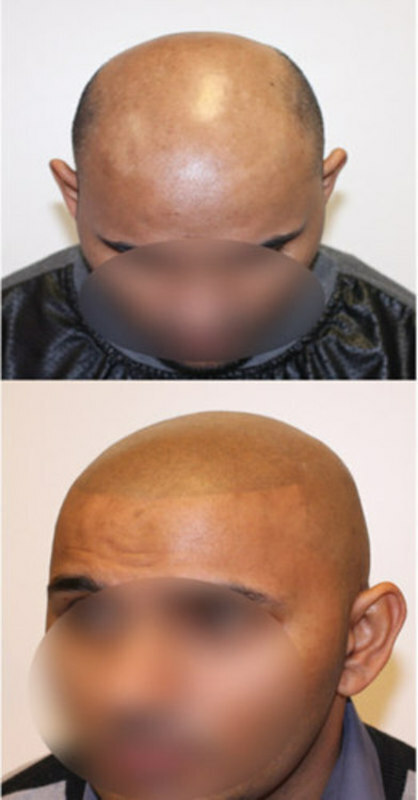 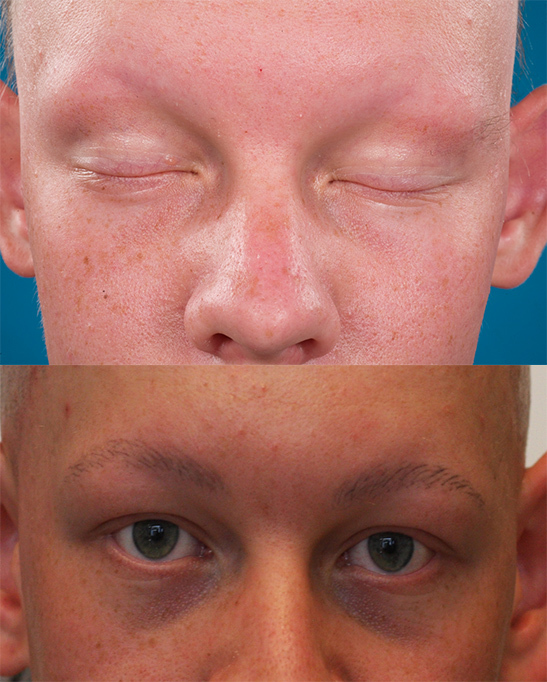 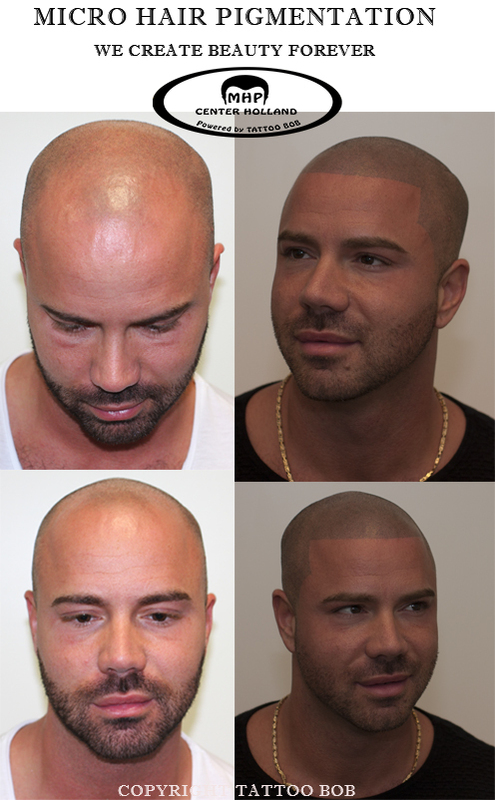 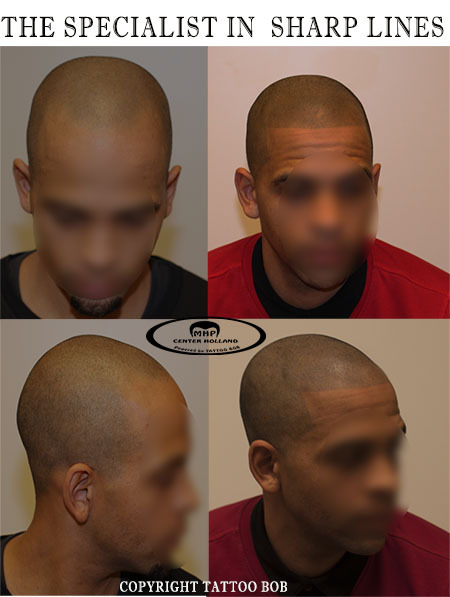 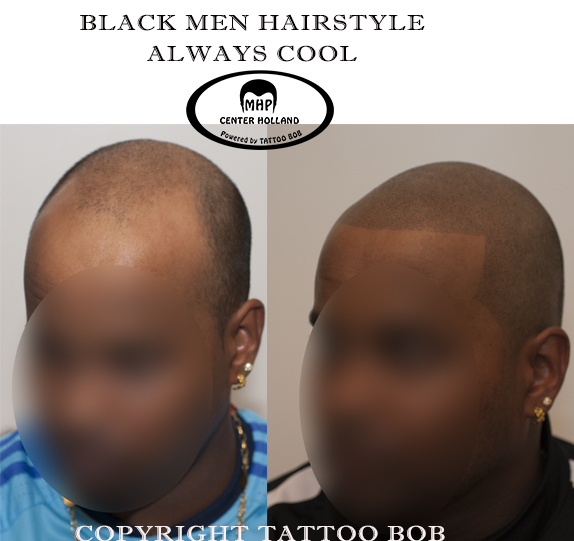 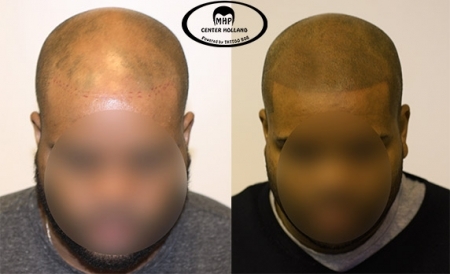 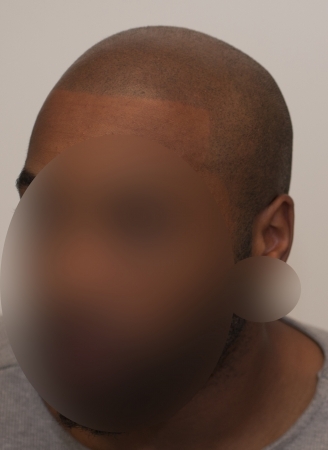 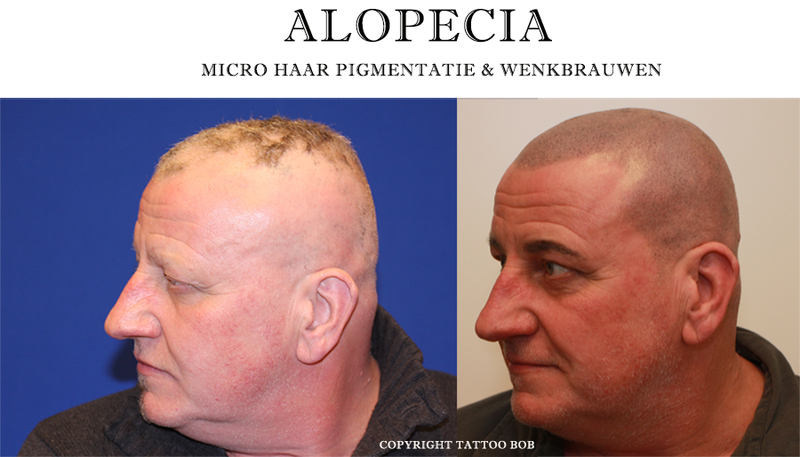 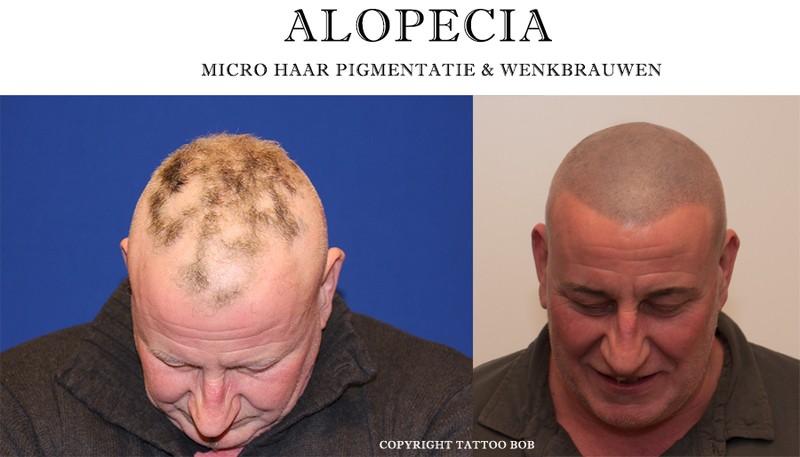 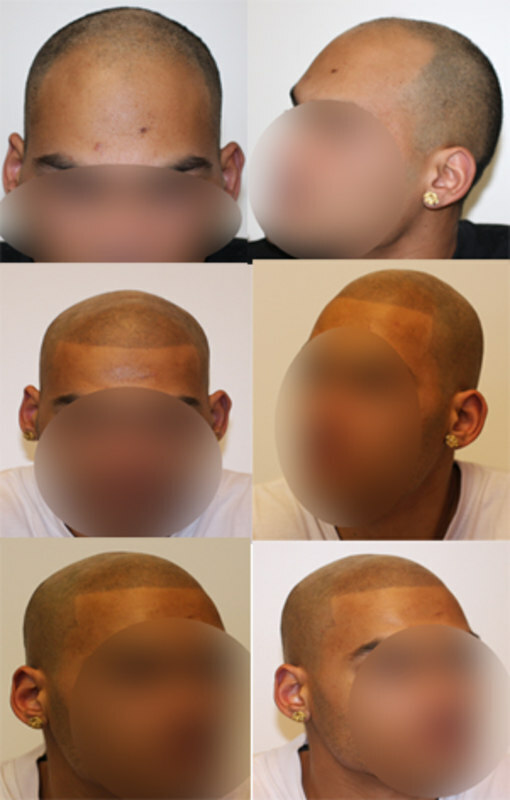 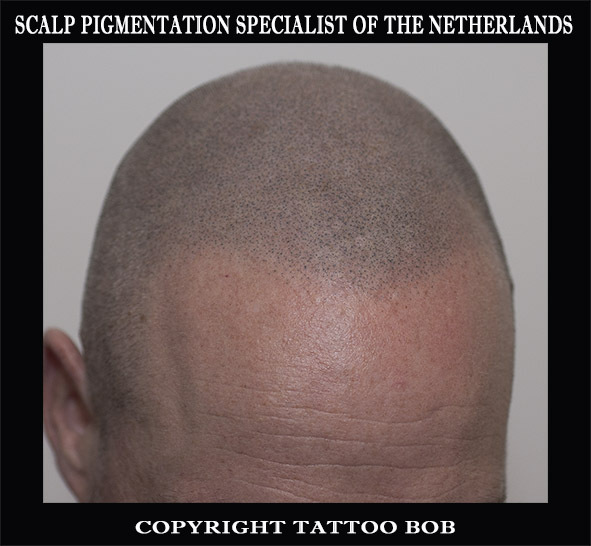 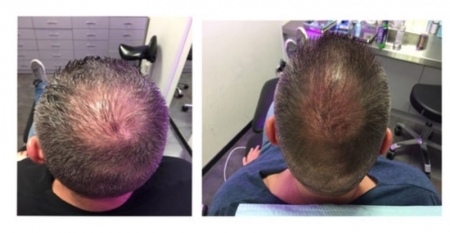 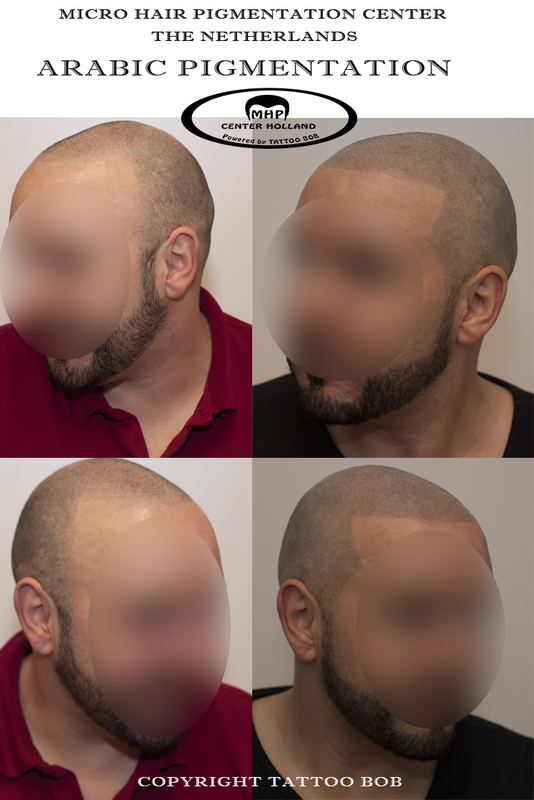 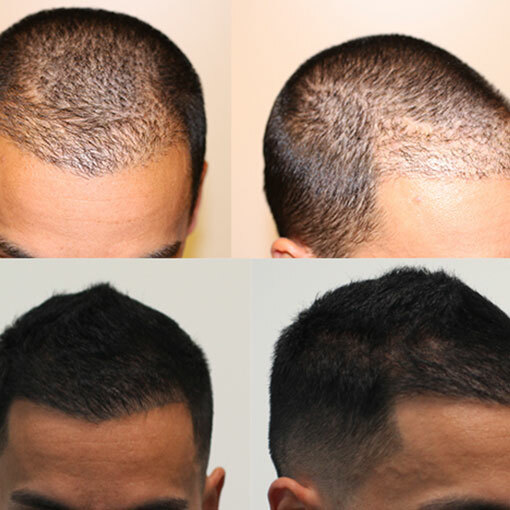 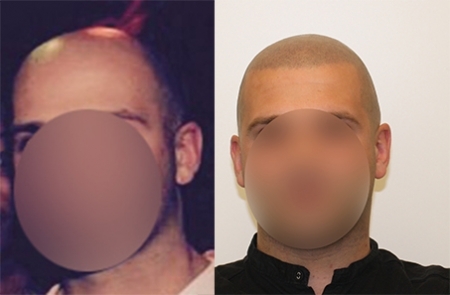 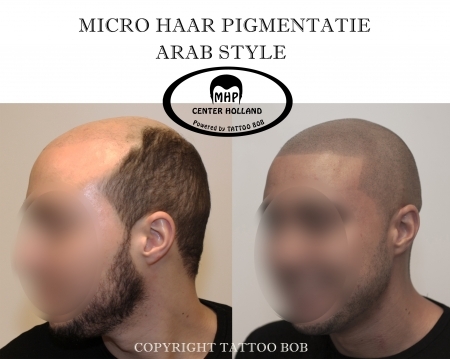 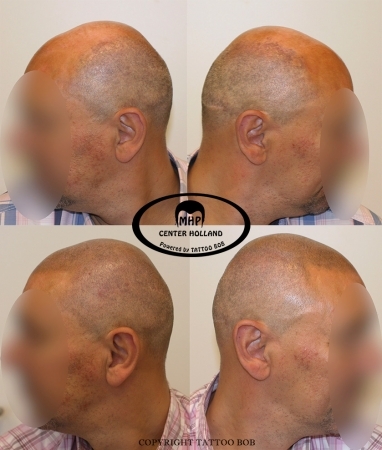 Micro Hair Pigmentation has long been extremely popular in the US, but has now also reached the Netherlands. 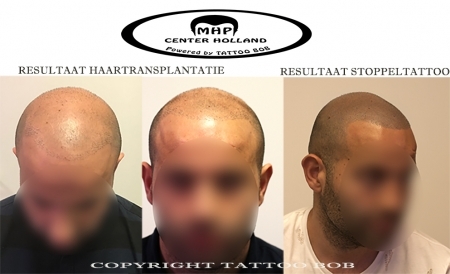 MHP Center Holland performs this treatment already for some time in the Netherlands, only without adhering a name to it. 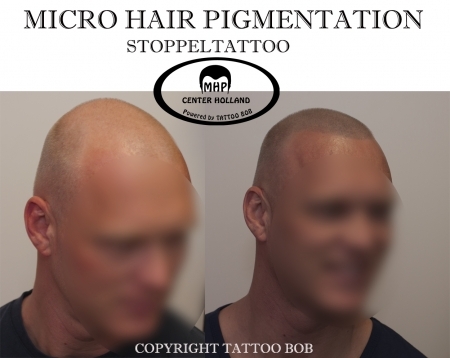 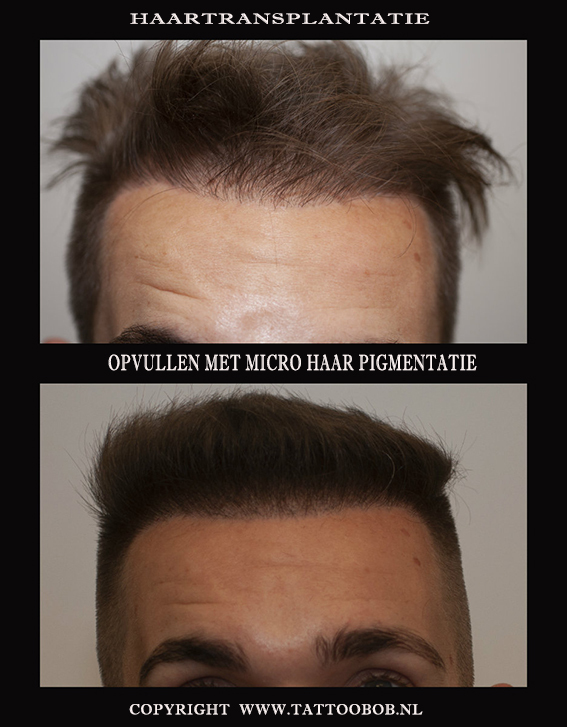 However, from now on, Micro Hair Pigmentation is also becoming a real trend in the Netherlands and Europe with unprecedented revolutionary results!